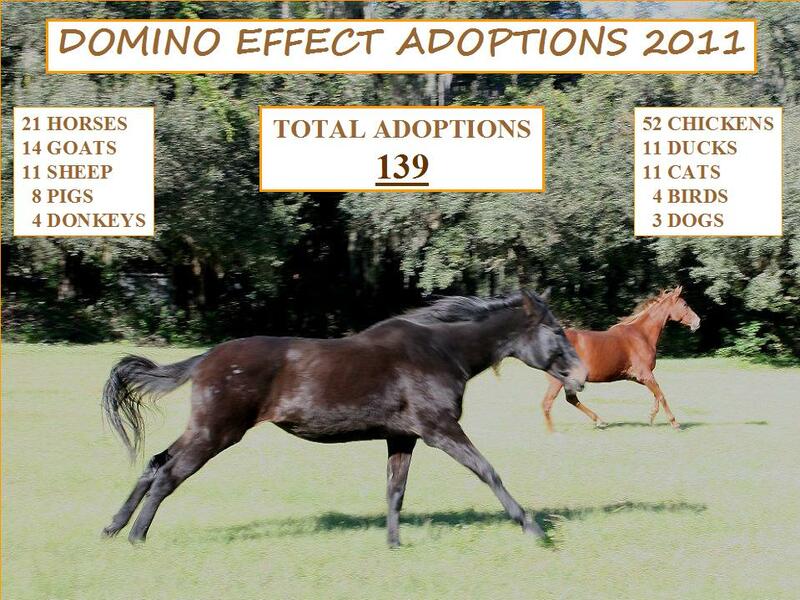 The Domino Effect Rescue Ranch is a Christ-Centered facility with a mission to first rescue, rehabilitate, and find “forever homes” for the animals that are taken in to our care. 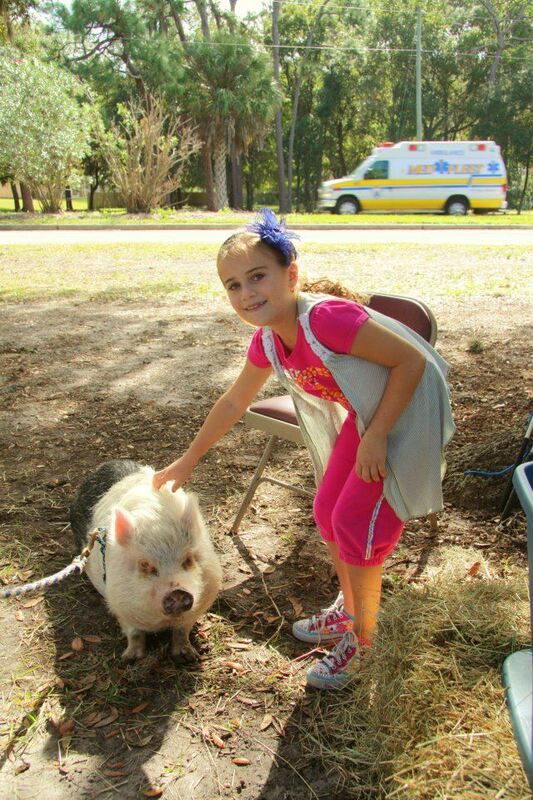 Secondly, our mission is to give back to the community by educating and entertaining through interacting the animals with the community as a public service. This not only serves as a therapeutic tool to the public, but also helps to rehabilitate, humanize, exercise, train, and evaluate the animals, so that we can better place them in more suitable homes that will best fit their needs. 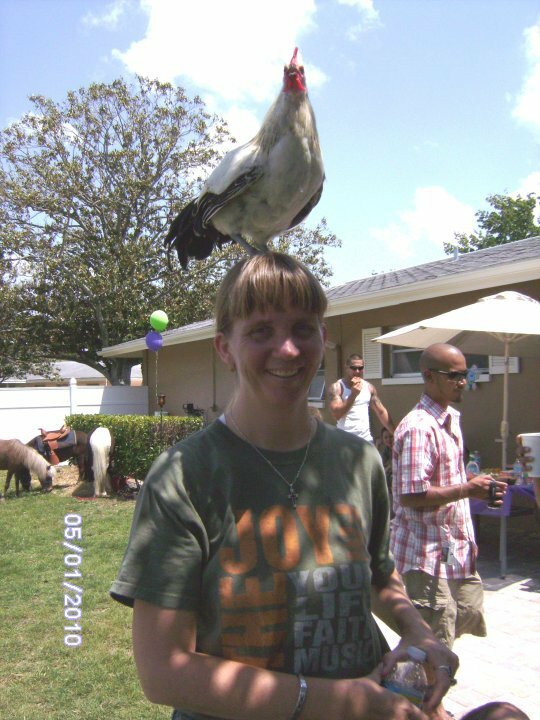 After opening the Domino Effect Rescue Ranch in December 2009, we filled up quickly with donkeys, goats, sheep, llama, ducks, chickens, and pigs., as our facility is open to all types of domestic farm animals and some wildlife. 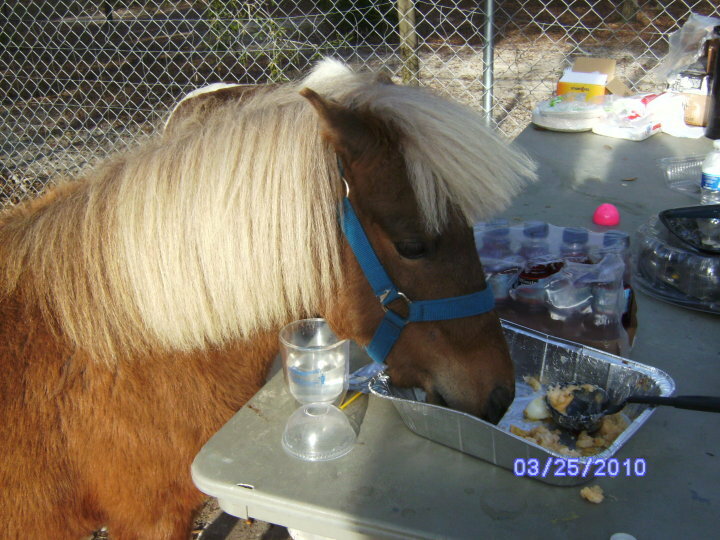 And the miniature horses out to entertain for a little girl’s birthday party. On Memorial Day weekend 2010, we invited families to come up and campout with the rescued animals while enjoying the moonlight and country setting. 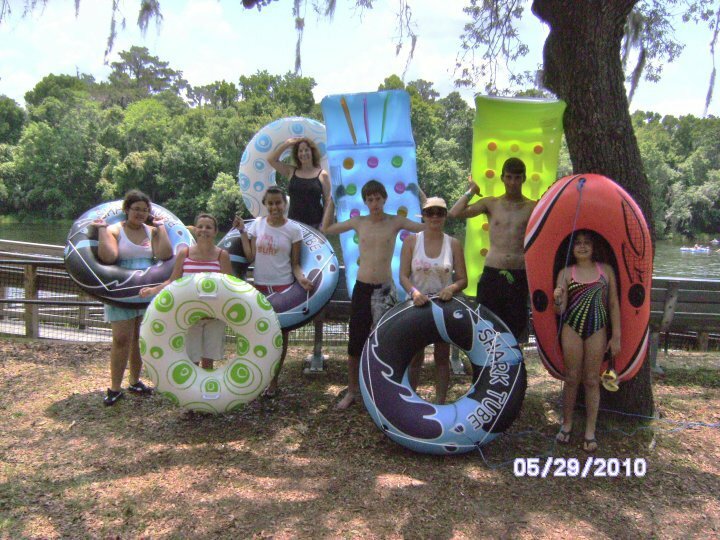 The next morning we were off to Rainbow River in Dunnellon, Florida to enjoy the springs. 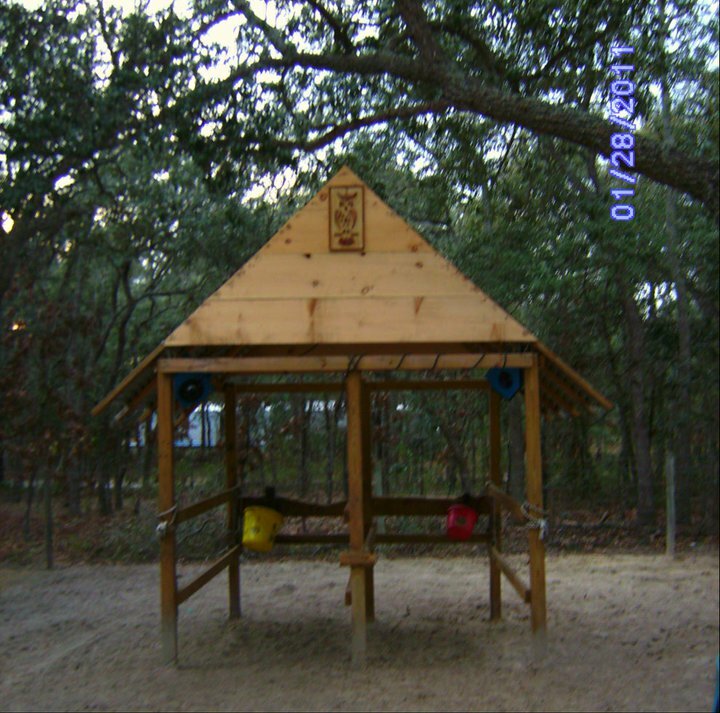 The rest of 2010, we spent building, fencing, and getting established here in the community through local networking. 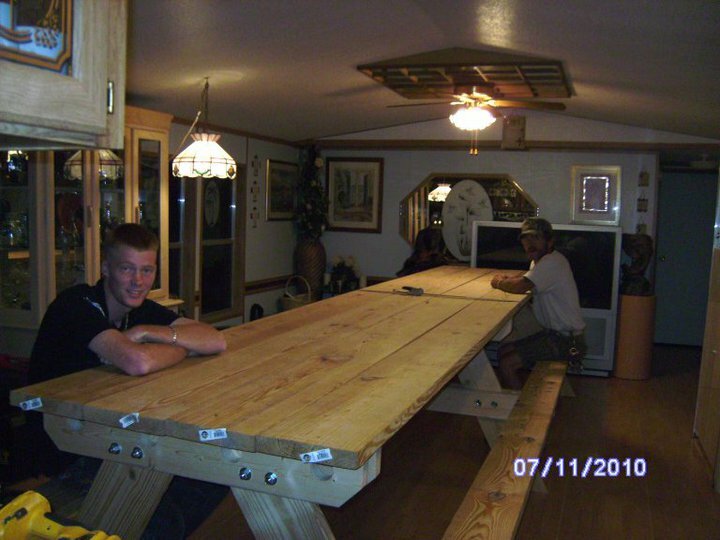 Bob built a table to seat 20. In January 2011, we held our first Domino Effect Volunteer Meeting and luncheon, many of which joined us for our in-house and outdoor events for the year 2011. 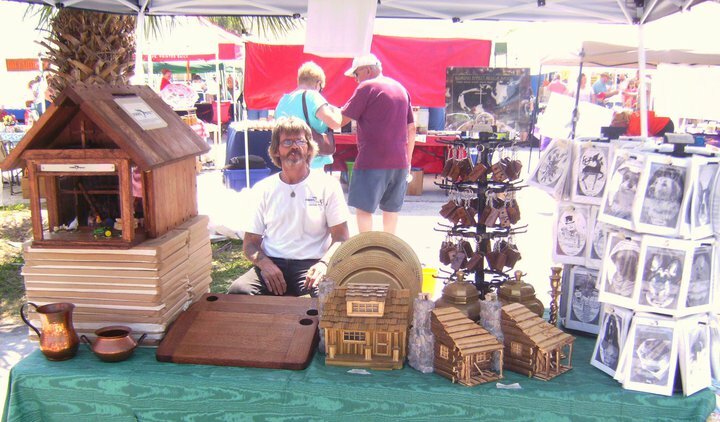 In March 2011, we attended the Chasco Fiesta Arts & Crafts show where we set up a table with hand-made oakwood specialty items designed here at the Domino Effect Rescue Ranch to help raise funds for the support of the rescued animals. Two, bottle fed, baby goats joined us and we quickly became the center attraction, as the babies warmed the hearts of many. 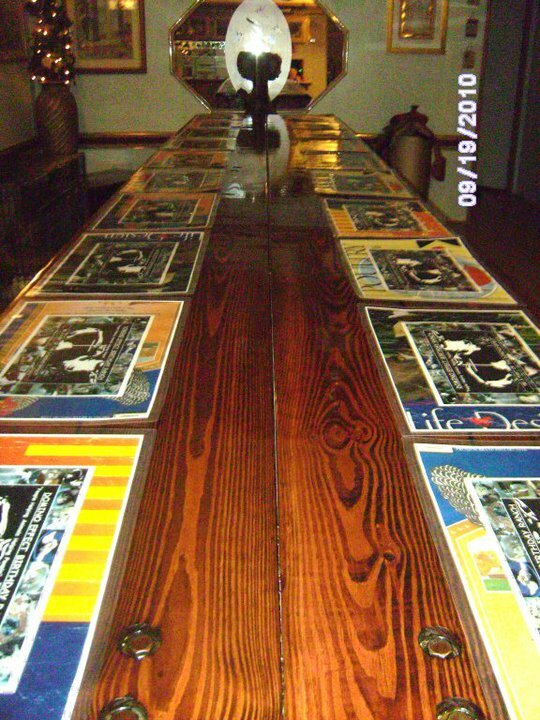 In May 2011, we held our first In-Home Domino Effect Birthday Party with a cookout at the hand-built, indoor, oak wood, 16-foot picnic table. 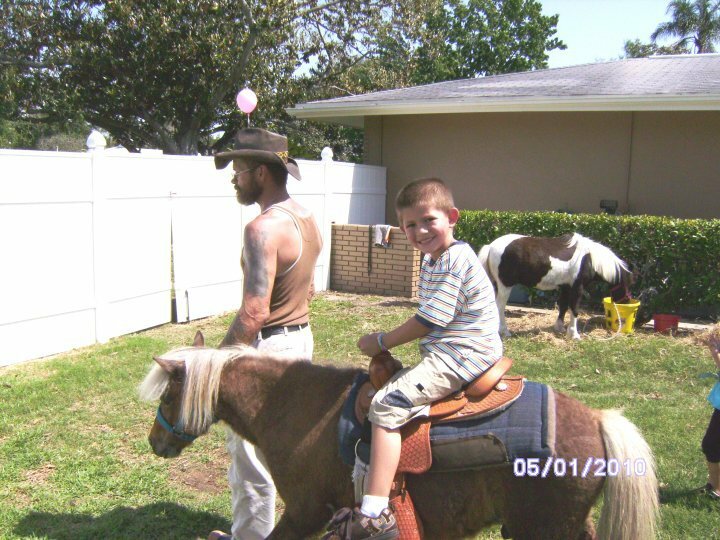 And horsey rides for the kids with the rescued animals to join in as the theme and main attraction of the birthday party. 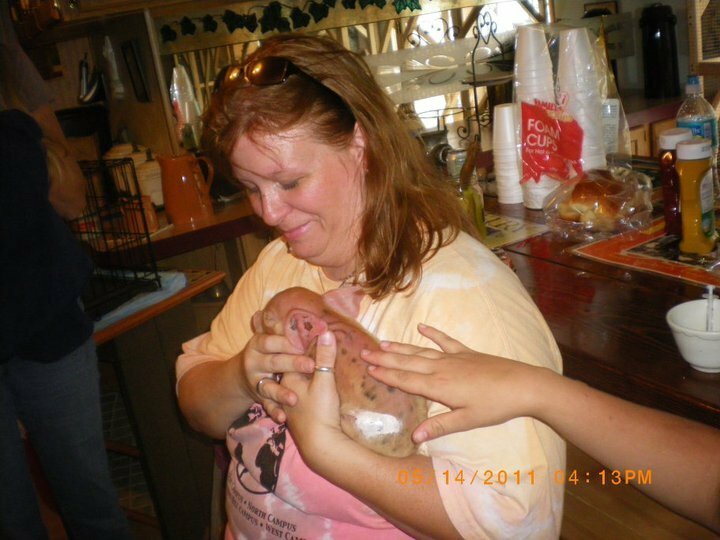 Towards the end of the summer of 2011, we were busting out at the seams with many animals looking for new homes. 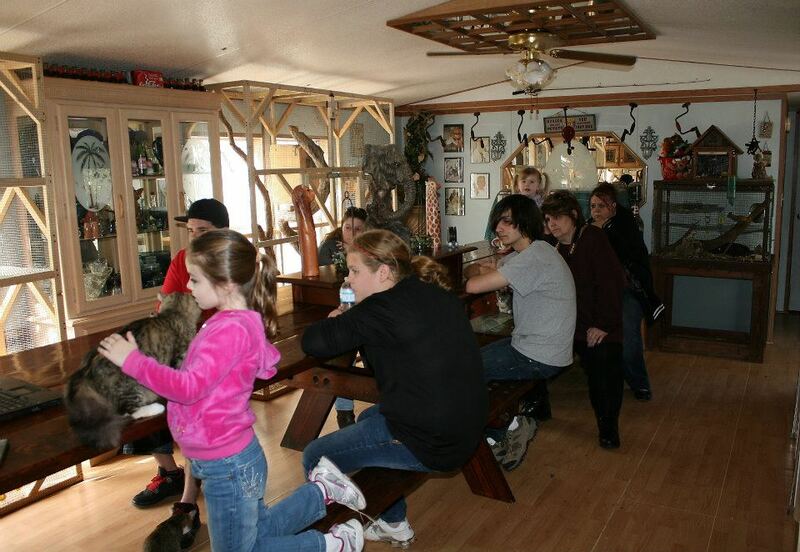 In August 2011, we started a series of a dozen Domino Effect Adoption/Open House days every Saturday for 12 weeks. And see what we were about. While others came out inquiring on possible future adoptions. 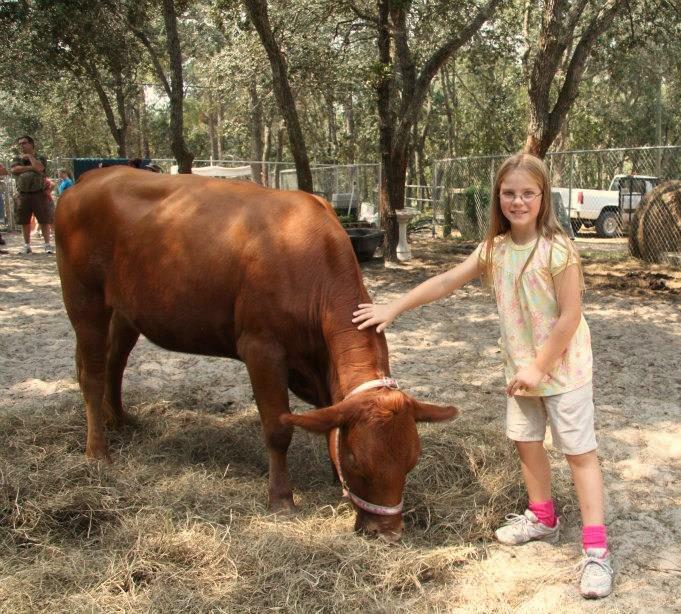 This 12-week event proved to be very fruitful to the ranch, the animals, and to the public. We adopted out well over 100+ animals in this 12-week period. And sharing special moments with them that they will cherish the memories for a lifetime. 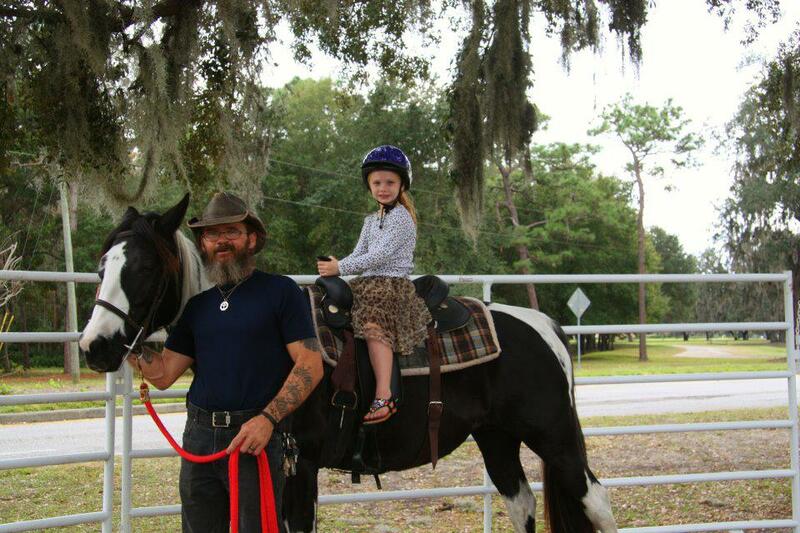 Sound Rider ~ Happy Horse Event Hosted by The Giddy Up Gals. In October 2011, the Giddy Up Saddle Shop came out for an educational event to teach us, our volunteers, new horse owners, and the public the proper techniques on saddle and bridle fitting, proper diet and nutrition, wound care, and proper riding techniques. 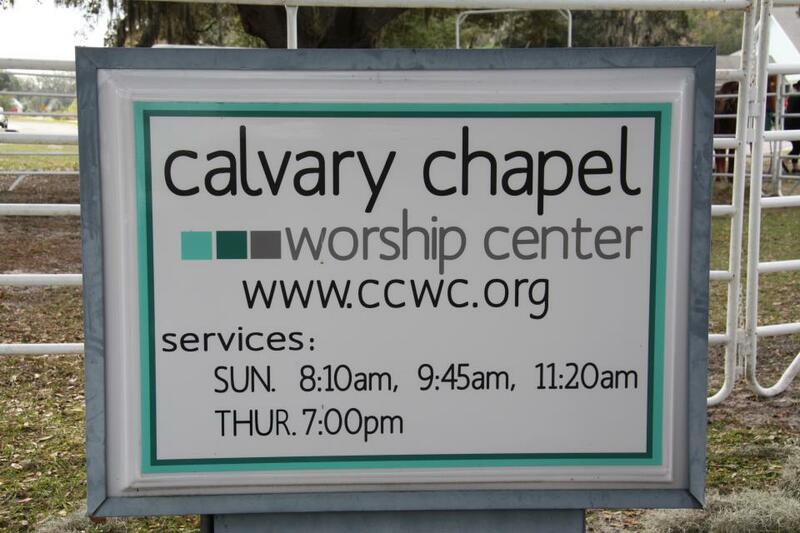 In November 2011, we attended our first fall festival at CCWC, a local church we used to attend. 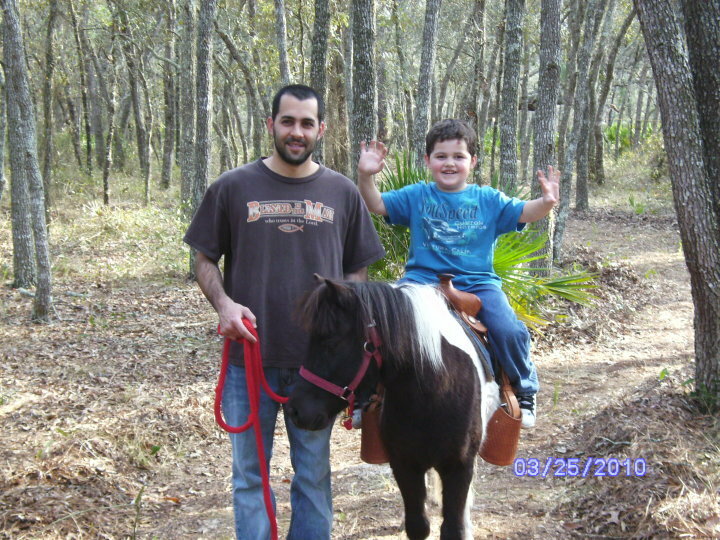 We gave close to 100 children horse rides. 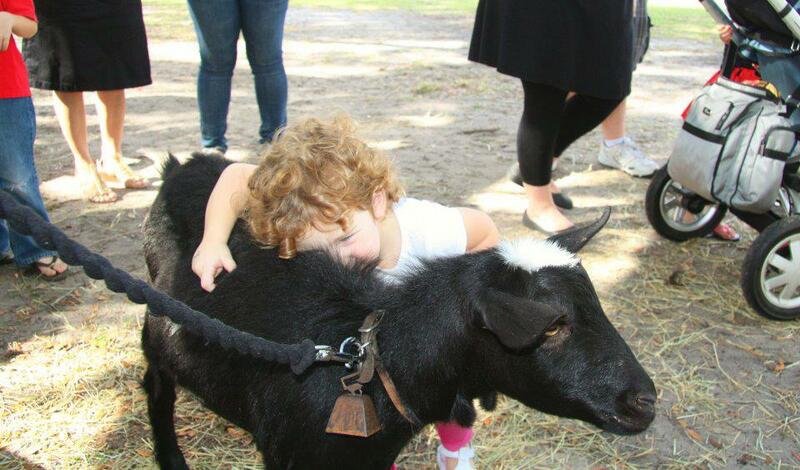 And Noah, the goat, joined us as well and walked around on a leash meeting and greeting the families around us. Brought 10 of their residents on a field trip up to the ranch for a morning visit. All, of which, interacted with the horses and had their pictures taken with them. In December 2011, we held our first Domino Effect Christmas Party. 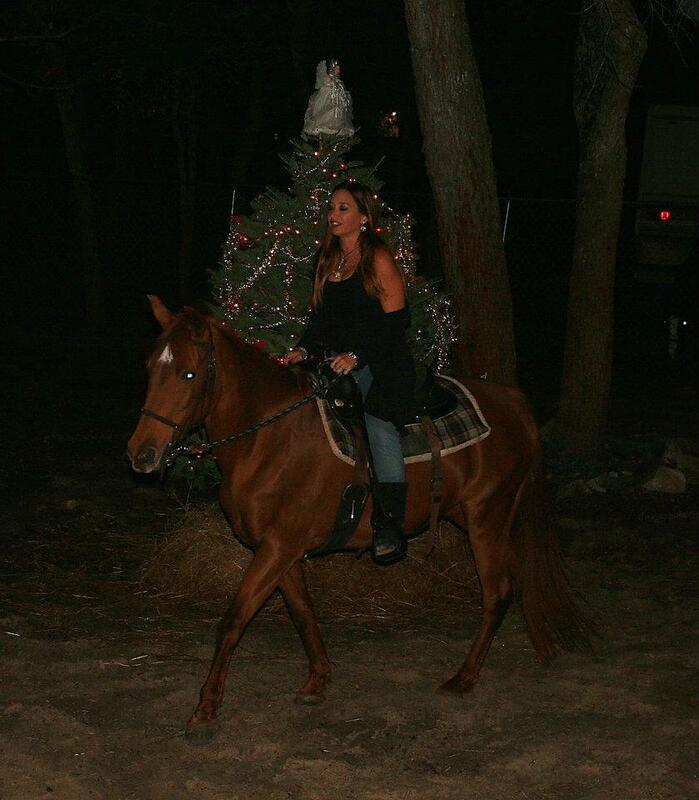 Then outside to ride the horses around the Christmas tree at nighttime with Christmas gifts for all of the children. We started the year out with taking groups out trail riding local and later will schedule field trips to take groups to campgrounds with trail riding abroad. 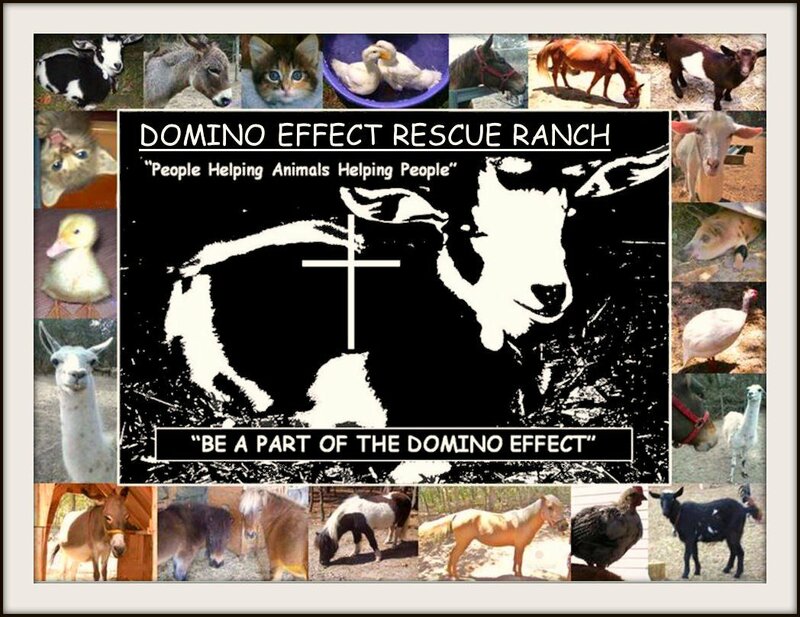 We frequently hold contests for free giveaways and offer online picture-personal customized products to cherish their special moments with a special picture-personalized novelty item purchased to donate funds towards the support of the rescued animals here at the Domino Effect Rescue Ranch. 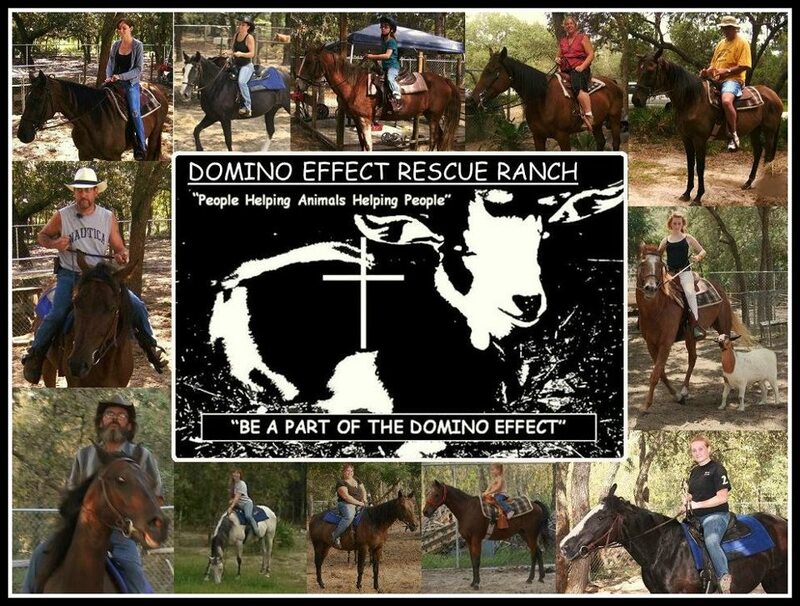 In the future we hope to be signed up and on the list for the Hernando County Probation Office to offer the public a place to work off their community hours here at the Domino Effect Rescue Ranch. We want to offer them the opportunity to comply with the terms of their probation, as well as educate them about the care of these animals in hopes to give them a more valuable perspective towards nature and God’s beautiful creatures. Their connection makes a difference in these animals’ lives and ultimately in their own. 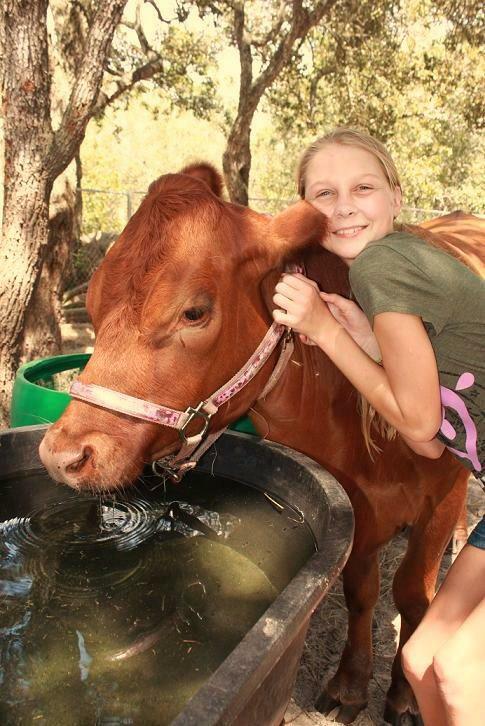 As people join in on our daily activities and events, they are better able to see the needs here at the ranch. 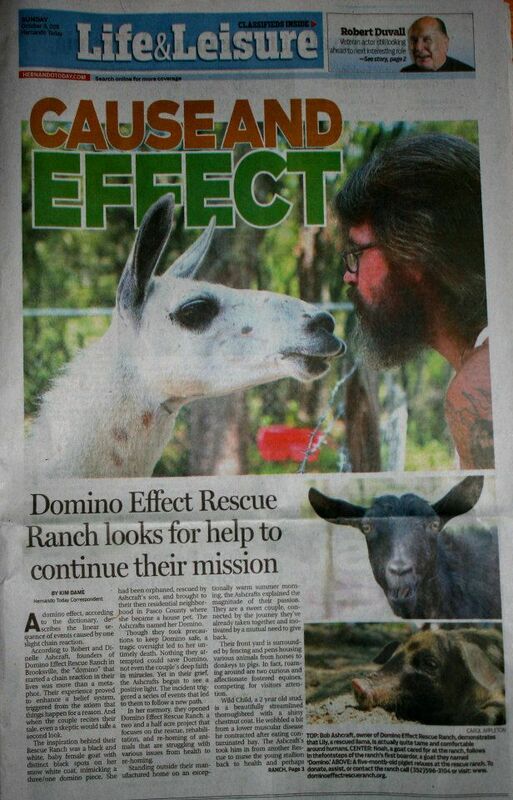 Domino Effect Rescue Ranch–Be A Part Of The Domino Effect/Nonprofit Org. Almost 10,000 pictures since December 2009. Last summer I completed my Associate of Arts and graduated with honors this Fall, December 11, 2015. I am currently working towards a bachelors degree and should complete this in May 2017. God has blessed Bob and I abundantly. We look forward to what the future holds. A few months back in November I shared a story with a cliffhanger ending. Today, 7 months later, we look back at the truth of the fraudulent, twisted lies that Carrie Young swept under the rug, hoping never to be uncovered. As I briefly catch you up to speed, I take you back to the summer, 2014. Carrie was charged with Social Security fraud and within 30 days later asked to leave the 40-acre property that her and Allan Wilson leased since September 2011. Shortly after her move, the owner of the Lake Lindsey Equestrian Center bulldozed the home and the 20+ stalls to the ground. 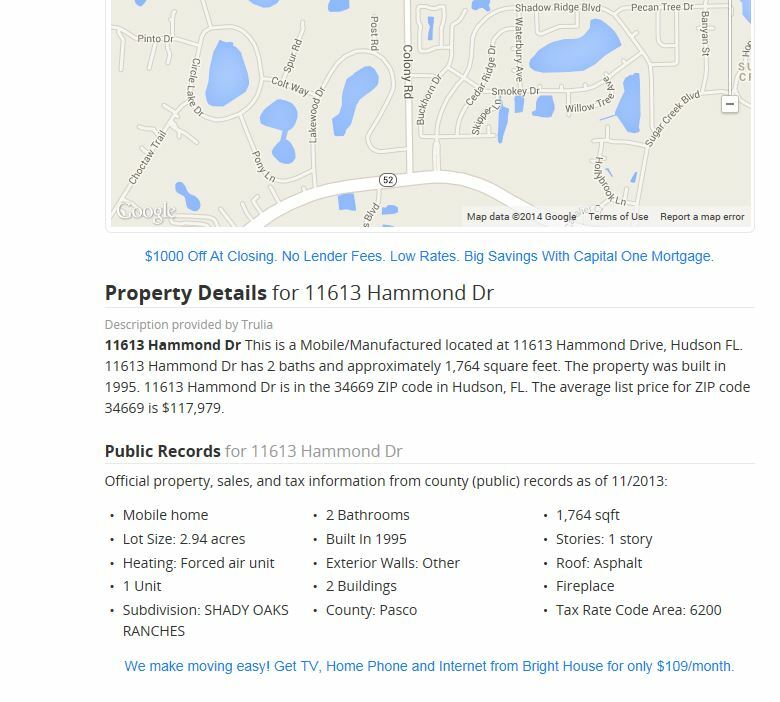 They quickly found a beautiful, 5-acre, wooded property off Lake Lindsey at 16139 Seminole Boulevard, Brooksville, Florida. Carrie and Allan relocated Ohana Rescue to this location in July 2014. After their first 3-months’ stay, Carrie was two months behind on the rent. The owner called her asking for the rent. A few days later Carrie contacted her with complaints of broken pipes and an infestation of black mold discovered in the ceilings, walls, and floors. She noted that she was refusing to pay the rent until the owner took care of the issues at hand. 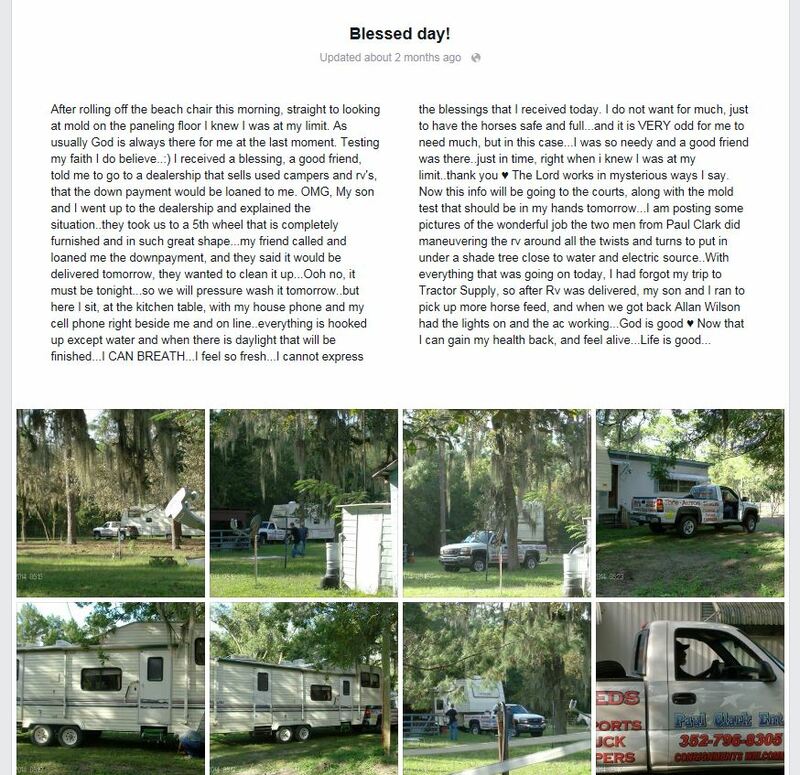 She requested that the owner either replace the trailer with a new one or drop her monthly lease to $450. 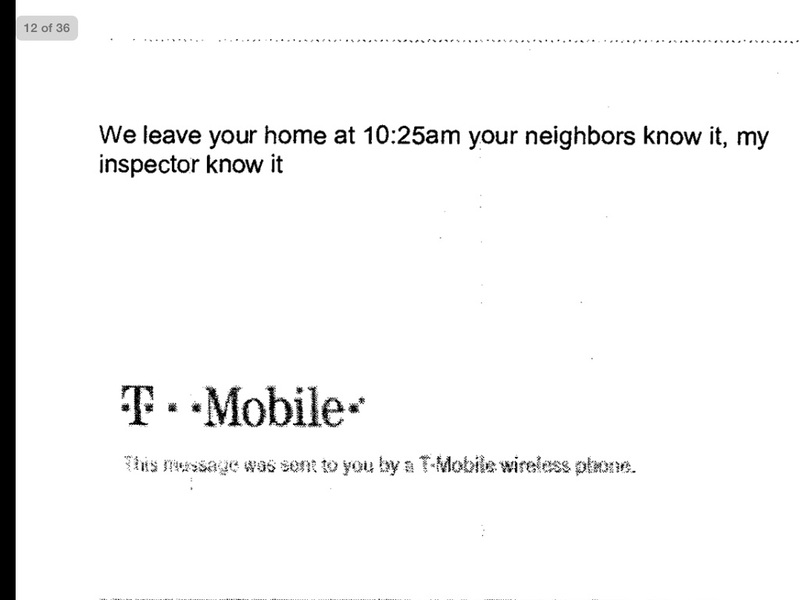 The owner sent Carrie a letter requesting to have the home inspected by her insurance company. Carrie and Allan left early in the morning on the day of the appointment and locked the gates behind them. Later she answered the Realtor’s texts stating that she had been home the whole day, but was not aware of anyone at the gate. The neighbor next door verified the time of departure that Carrie and Allan left their home that morning and their time of arrival later that day. The owner’s attempt to inspect the home failed due to Carrie’s lack of cooperation. 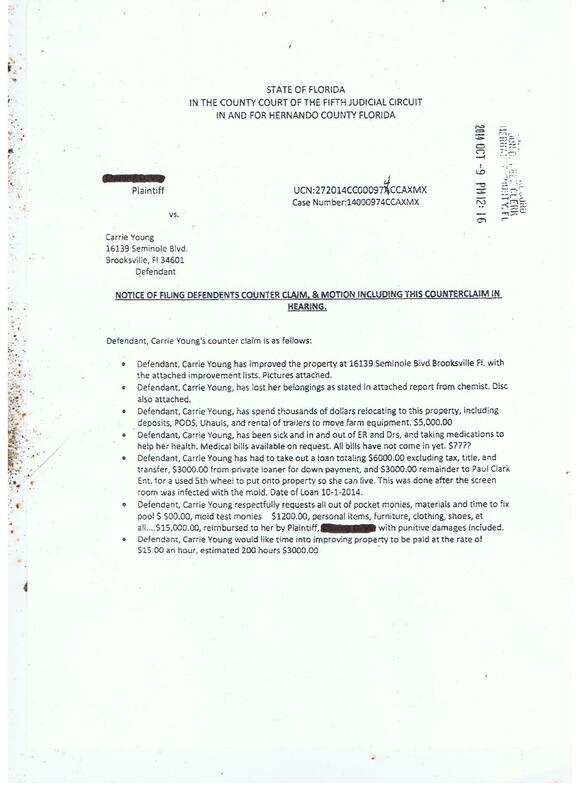 The owner then filed an eviction in the courts against Carrie Young for nonpayment of two months’ rent and refusal to pay. Along with a personal letter to the judge explaining what Carrie’s intentions were. 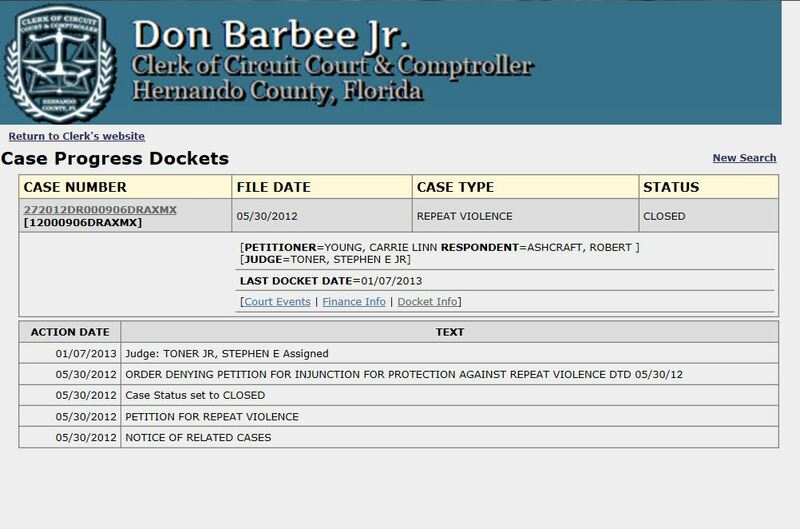 The docket information can be found at Hernando County Clerk of Circuit Court. In the meantime, Carrie played on the public’s sympathy with her lies and deceit. She told the public that the home was infested with black mold. She shared a half dozen pictures of what she labeled black mold. She said that she had shortness of breath, a continuous cough, and felt very ill. She claimed to have had numerous visits to the hospital and stated that the “black mold” was hazardous to her health. She told the public that the black mold in the house had destroyed her belongings and everything she owned had to be burned or hauled off to the dump. She publicly stated that she hired and paid a mold specialist $1200 out of her pocket to come in and test the levels of the house for black mold. The results were astounding, as she stated the levels were so high the place should be condemned. 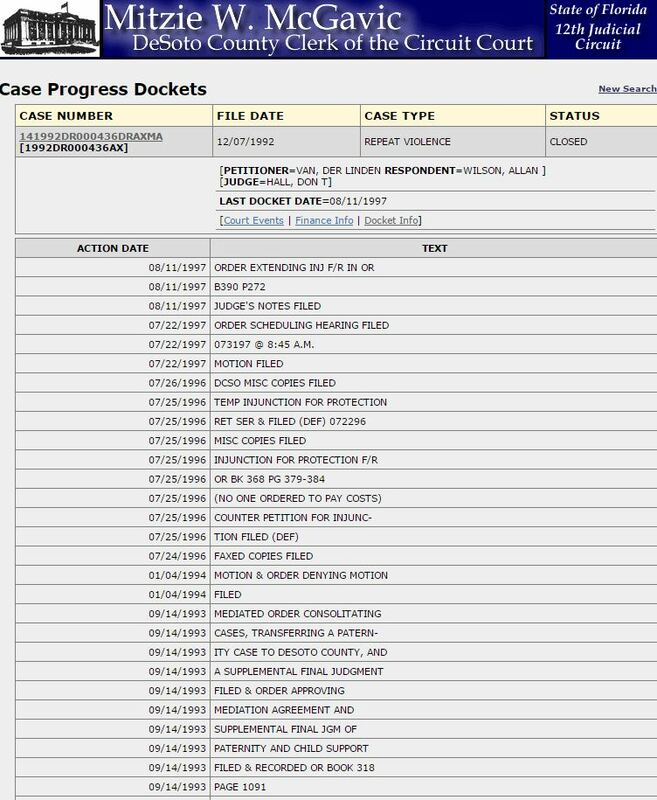 Docket information can be seen at Hernando County Clerk of Circuit Court. Many people donated hundreds of dollars to help Carrie move from the “mold house.” As I followed her page, I too was truly convinced that the home was infested with mold, except the more I researched, things did not add up. She filed a counter-suit against the landlords, first in a small claims court. The judge redirected her to a higher court after evaluating the thousands of dollars she was suing for. 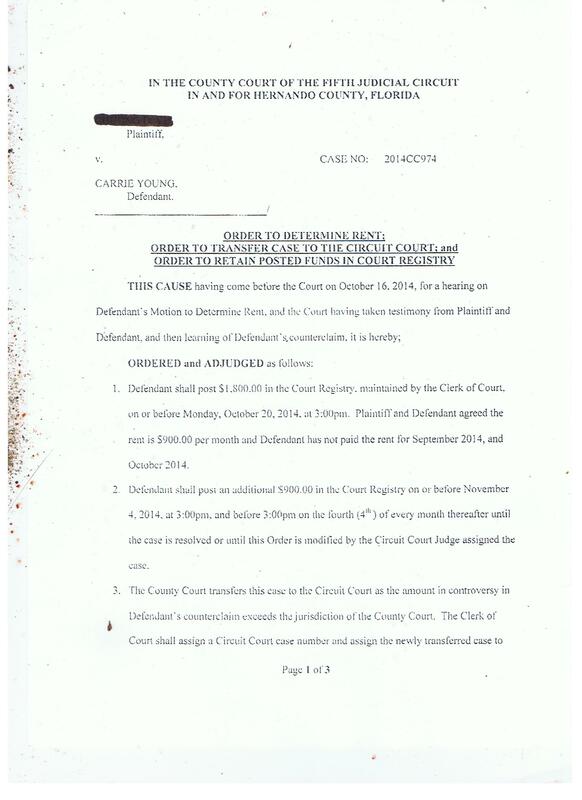 Carrie then refiled in the higher court against the landlord, suing them for thousands of dollars for damages and loss of all her belongings, medical bills, and the loss of funds they spent to move to the property on Seminole Blvd that was infested with mold. For months the court battle continued and Carrie posted on social media, as if she was winning her case. She told the judge in November 2014, she had vacated the property due to the house being inhabitable. With this news, the landlord scheduled an appointment with her insurance company to have the home inspected for black mold. The owners rescheduled an appointment with the insurance inspector, since Carrie stated that she was no longer living at the residence. The inspector arrived at the owner’s property on Seminole Blvd. 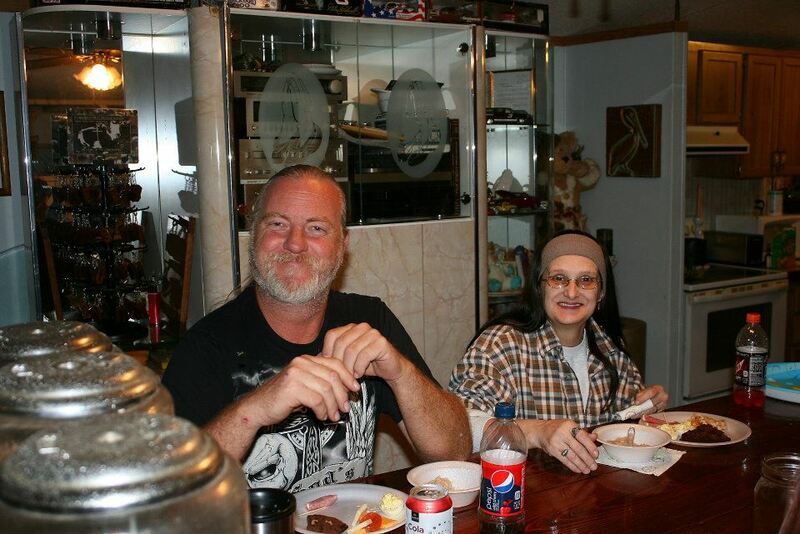 He found that Carrie and Allan were still living in the home. He inspected the home thoroughly and did his necessary tests. He then photographed every inch of the home and Carrie’s belongings that were in the home. The tests came back negative showing absolutely NO MOLD, as well as the “many” photographs he took of the home and Carrie’s belongings showing absolutely NO damage from black mold on anything. 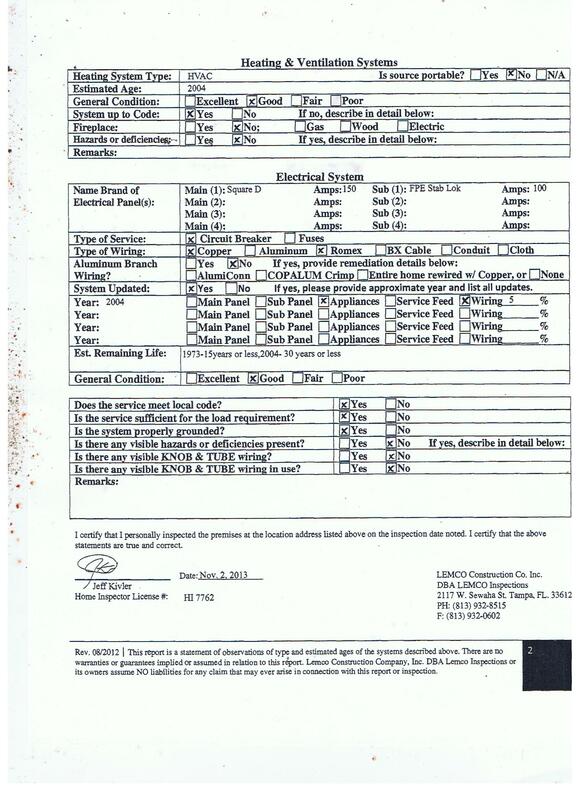 Document of final report showing NO MOLD in the home. Pictures taken by insurance inspector of the inside and outside of the house documenting ABSOLUTELY NO MOLD or damage to Carrie Young’s belongings. At the next hearing date the landlords presented their evidence to the judge. Carrie’s attorney resigned from the case after he realized it was all a scam and she had lied. The judge quickly closed down Carrie’s lawsuit and reopened the eviction case against Carrie Young that the landlord originally filed. 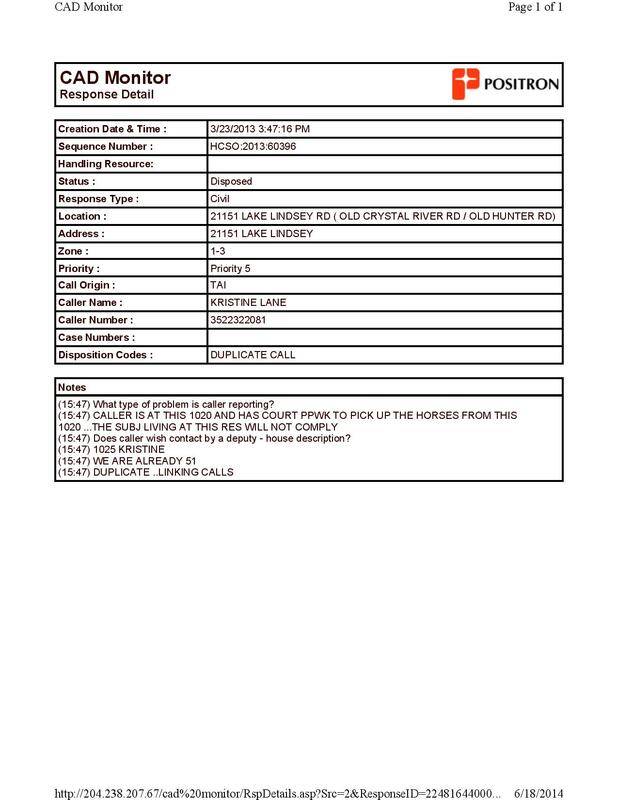 On a Sunday afternoon we were contacted by the property manager who found our name connected with Carrie Young’s here on the Internet. He contacted us to ask questions and find out more about why this person would carry out such a horrendous lie against these good people who own this property. In his research over the Internet, he found where Carrie Young had just recently been charged with several accounts of fraud against Social Security. He forwarded this information to me, so I could look it over as well. Carrie stalled the courts for 3 months, using the horses as leverage, to keep from immediately being evicted from the property. The judge didn’t want to throw her onto the streets with the horses not having any place to go. She took advantage of this time to raise more money to move and find another place of residence. Finally, Carrie was given a deadline and had to vacate the property by January 31, 2015. 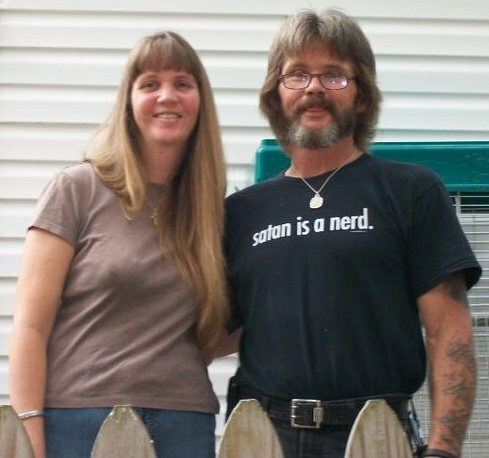 Carrie and Allan were trying to raise $12,000 for a down payment on a property nearby. The home on Seminole Blvd was rented to Carrie and Allan fully furnished including a riding mower, boats, and other outdoor accessories. Seminole Home before Carrie and Allan moved in. It was fully furnished with riding mower, boats, etc. Carrie held a huge garage sale selling everything inside and outside of the house that the owners had furnished the property with for lease. She begged for money on social media to help her move her rescue for the second time in one year. They could not reach their deadline to raise the $12,000 down payment on the property nearby, so they were denied approval for a loan. Shortly after this, Allan Wilson announced that he would be going back to North Port and leaving Ohana Rescue to Carrie Young. 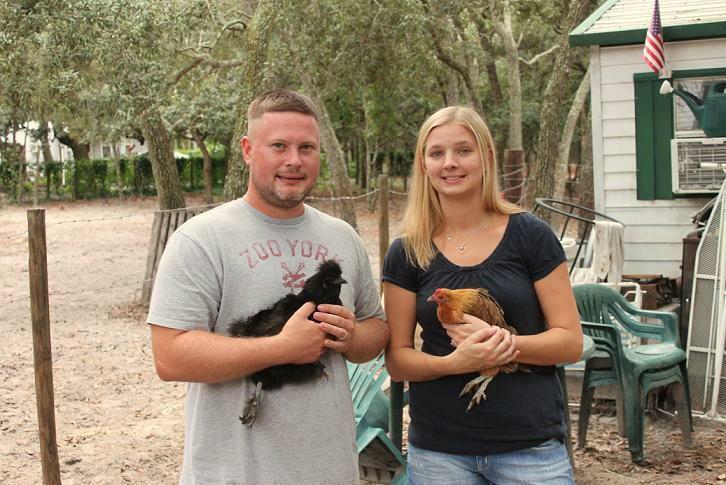 Carrie found a home in Bushnell, Florida, just 5 miles from the Seminole Blvd. address. The home sits on 0.9 acres and she rented a 5-acre pasture for the horses. She advertised on Craigslist for people to come pick up for free everything she could not sell for money, leaving heaping loads of garbage behind. 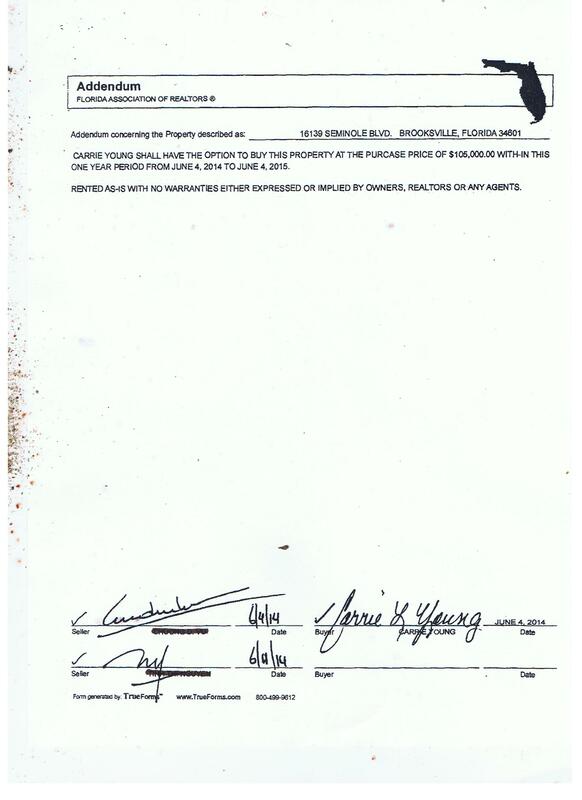 Carrie Young vacated the property on January 31, 2015. We met with the landlord and the property manager to see the property the very next morning on February 1, 2015, at 10:00 am. Carrie had destroyed the property beyond belief. The fans and variable speed control switches were cut and ripped down from the walls and ceilings. The lights were ripped off the walls and ceilings leaving a gaping hole. The thermostat was missing, as well as the screen door. The back door was broken from someone kicking the door. The carpets were saturated with dog urine and feces with great big, black stains. The floors, walls, counters, refrigerator, stove, bathrooms, etc. were covered with a thick layer of dirt, hair, and grime. The linoleum floors were black from dirt, hair, and dog urine, as well as several holes in the floor leading to the ground beneath the trailer. The smell was horrible. Outside resembled much of the same damage. Although, there were truckloads of garbage scattered around the property, as well as a pool with thick, green slime from months of neglect. The pool screens were slit to make an easy exit to remove her furniture from the pool house. Horses chewed the privacy fence into pieces and chewed the bark off the trees, killing the magnolia trees in the front yard. Garbage, debris, and furniture piled up around the property. 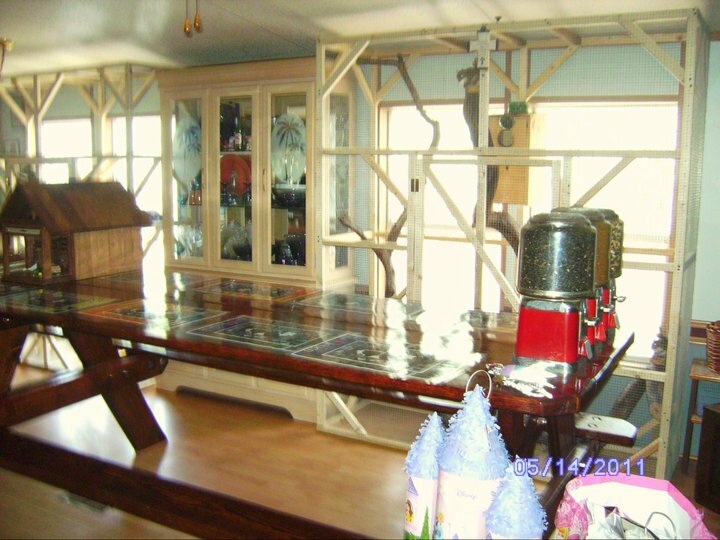 Screens torn down, so they would have easy access to remove furniture from the pool room. It was an absolute mess that included intentional vandalism to the property. I took a few pictures that morning, as well as videos to document the absolute filth left behind. 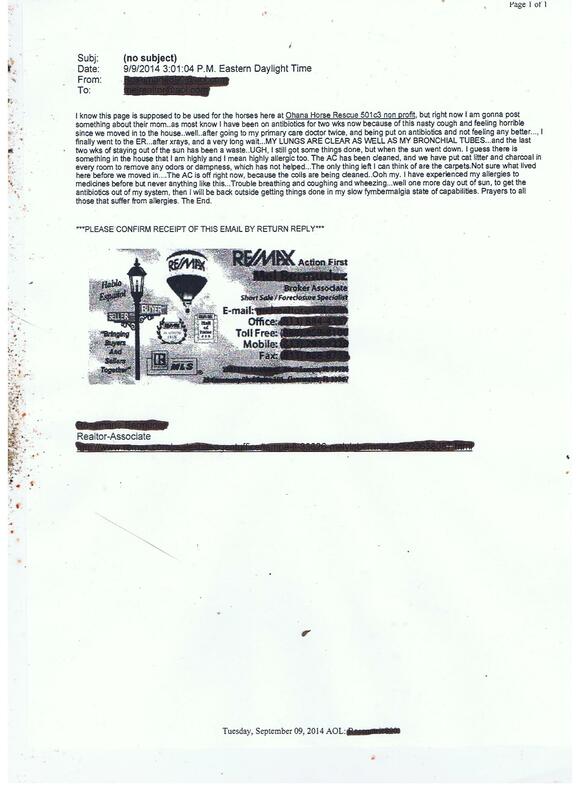 Furthermore, the landlord sent me pictures of the home before Carrie Young move in, as well as pictures of the home and Carrie’s belongings that the Inspector took showing absolutely NO mold. I researched the company where Carrie claimed to spend $1200 to have the home inspected for black mold. The number published for this business is an inoperable phone number. I looked up this company on Sunbiz to see if it was a legitimate company. The business was opened as a new entity in August 2014, the very same month dating after the landlord’s letter to Carrie threatening to evict her for nonpayment of rent. The company’s president and vice president’s address were both ironically from Carrie’s hometown, Hudson, and Allan’s hometown, North Port, Florida. 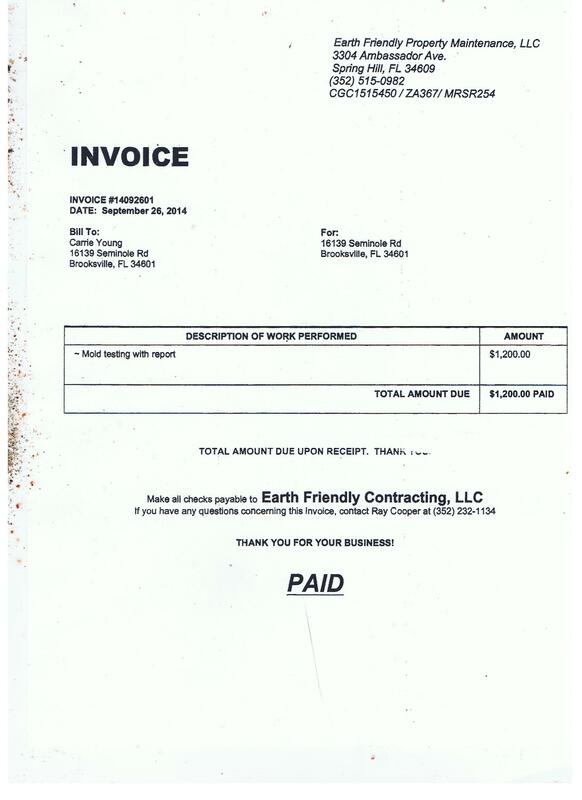 Carrie posted this invoice out on social media to persuade the public that she had paid $1200 to have the home inspected for mold. What she did NOT post were the test results of the “high” life-threatening, toxic levels of black mold they allegedly found, as well as stating the home should be condemned. After seeing the property with my own two eyes, I went home to match up Carrie’s photos she had posted on social media of the “mold house.” Amazingly enough, the pictures she posted online do NOT match up anywhere on the property. The porch photo is NOT the same wood or porch. The insulation falling from the ceiling is no where to be found. However, the cabinet that has the scrub marks dug into the paint is indeed in the kitchen, but not freshly scraped and nothing surrounding it that resembles black mold. The ceiling panels in the bedroom were moved around to appear she was up there searching for mold, but there is NO evidence in the ceiling either of mold. Carrie posted pictures that didn’t match up with the property, so she could gain sympathy and donations from the public. I can only assume that Carrie’s one and only picture she took of a box of shoes with mildew on them was probably something she had packed away in a shed or brought there from somewhere else. Carrie posted these pictures to mislead the public and plead for sympathy in order to draw in funds for her personal gain. After meeting the landlord, we were offered the property at Seminole Blvd. We quickly turned them down, as neither Bob or I wanted to clean up and fix the mess that Carrie Young had left behind. A few weeks later we decided to consider the offer and contacted the owners. We met with the owners on a Sunday afternoon, just a few weeks after Carrie Young moved. They made us an offer we could not refuse and in return we would restore the home and property back to livable conditions. Restoring the home and property was an extensive task that Bob and I took on. The first task was to clean the house from top to bottom to eliminate the dog odor and urine. I scrubbed every nook and cranny and found absolutely NO MOLD anywhere inside the home. The carpets had to be stripped down to the bare-wood floors to rid the dog urine and odor that could be smelled outside the home. The carpet and padding was ripped out and rolled. The underside of the carpet, padding, and wood floor was clean with NO MOLD anywhere. The linoleum had to be removed and the wood floors had to be patched where the holes in the floor were. There was NO MOLD underneath the linoleum floors, around the holes in the floor, or under the trailer. The only thing we found underneath the trailer that appeared as if it didn’t belong there was this poor creature who looks like “someone” must have scared him to death. The wood floor under the carpet in the bathroom was still damp from a recent flood in the bathroom, but no mold was found anywhere. The patches had to be filled and the floor was leveled with compound. All floors after carpet and linoleum were removed had absolutely NO black mold and were very clean underneath. New carpet was installed in the bedrooms after the floors were prepped. Wood-grain linoleum was installed throughout the living room, dining room, and kitchen. The lights and fans were ripped from the ceiling, including the thermostat taken off the wall. Since the home did not have drywall ceilings with braces, Bob had to mount the fans and lights against a square of plywood to brace and secure them in place. The wallpaper was peeling and covered with cobwebs, with a film of dirt two feet above the floor from the dogs rubbing against them. The wallpaper in several rooms had to be stripped down to the original paneling underneath. It took over a month to clear the pool up from the thick, green algae, dirt, and leaves in the pool. Pool accessories were left behind with algae growing on them. The pool screen was ripped out and cut in several areas to convenience in and out traffic. The pool pump had been tampered with and inoperable at first sight. When the pool starts to get dirt and debris in the bottom of the pool, this is what vividly appears in the bottom of the pool. “Someone” was so kind as to carve “F*** You” in the bottom of the pool. When the water was turned on, we discovered a pipe that was pulled loose underneath causing leakage and flooding underneath the trailer. The hot water heater was pulled loose, lights were not working, and breakers were shorting out. One of our volunteers fixed these things and got everything in working order, including the hot water to the shower by the pool. Bob has fixed lights, pool light, sprinkler systems, solar heater, fences, pole barn, and planted a garden. Every animal has shelter and the landscape here is absolutely beautiful. It will take months to undo the damage that Carrie sustained here at the Seminole Blvd address, but the end result will be well worth our time. Within the first few weeks we lived here, the cops showed up on two different occasions in search for Carrie’s son. 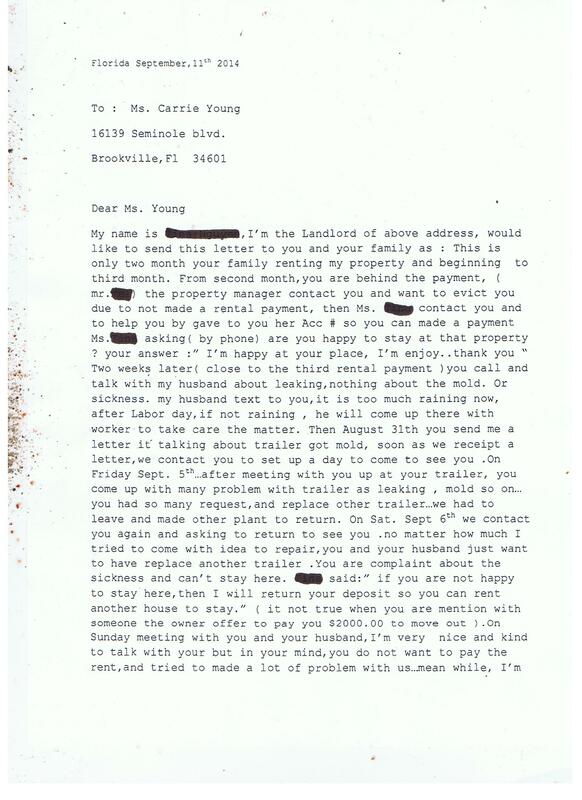 Carrie had given the detention center her old Seminole address several weeks after she had moved to her new address. Carrie has also updated her address on her renewal for the corporation on Sunbiz. 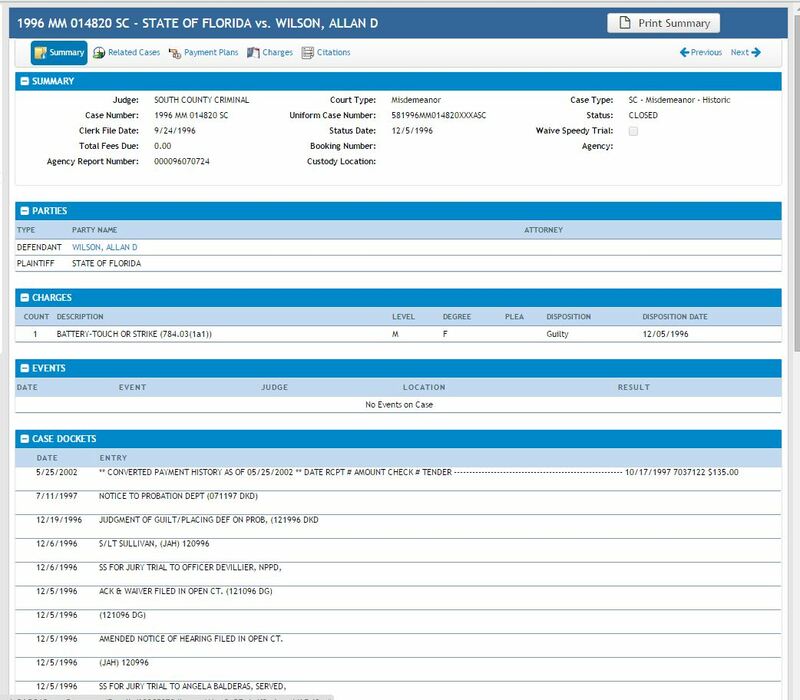 Although, the address that Carrie updated her license was Cr 663, Brooksville, Florida, 34605, which is NOT her correct address. Her correct address is 7211 Cr 647ce, Bushnell, Florida, 33513. 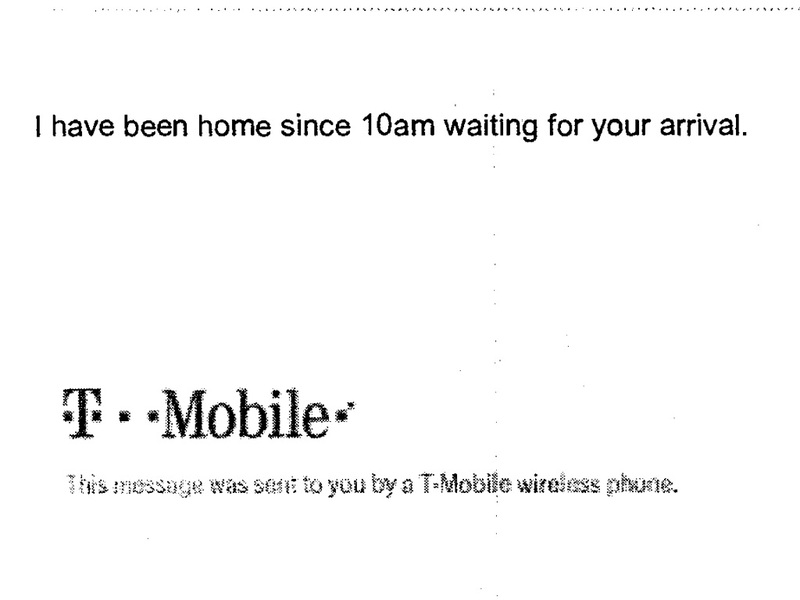 I’m not quite sure how she misjudged her correct address, including the town she lives in. I guess it must be her fibromyalgia again that is clouding her memory or it could be that she is hiding out from Social Security or hiding her son. Regardless of her reason, you can see by the evidence in this blog that she is a habitual liar and will say and do just about anything to bring in money. I have been following Carrie and her stories for many years. There have been many stories that I have questioned in the past with loose ends and missing pieces to the puzzle. I have been told before that when Carrie gets in a bind, she will fabricate stories such as leaky faucets, broken pipes and fences, and other major issues pointing negligence at the owners. She has had several documented evictions in the past including the eviction from Seminole Blvd. As I scrolled through Facebook this past week, I came across a fundraiser by Carrie Young, which prompted me to tell my story. 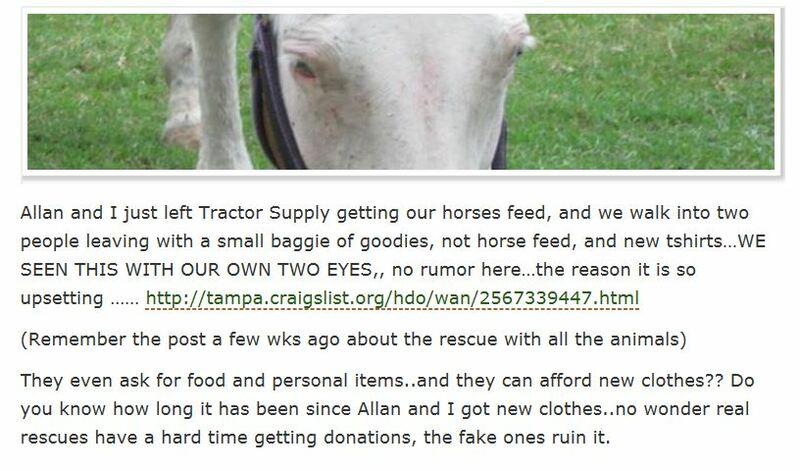 Carrie is posting on her page that her place has flooded and she has lost all feed, hay, and supplies. She claims that the water has risen above her floors and has destroyed her place. She claims that she is again suffering from “mold” allergies from the flooding damage that took place in her home. 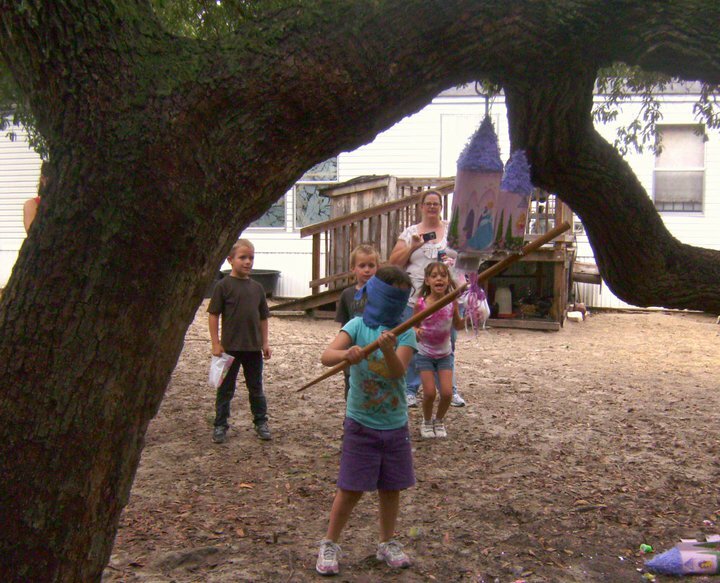 Carrie destroyed and vandalized the Seminole home after she was evicted from the home. Now Carrie is claiming that her new home of just 4 months has been flooded and she is again suffering from “mold” allergies. She has scammed the government and federal agencies, property owners, and individuals who have stepped out to help her. This fraudulent behavior must come to a halt before more innocent people are hurt. I do believe that Carrie will sell herself out to continue in her mission, but without a job and without an income, her efforts are useless. When you have to beg, lie, cheat, and steal to support the rescue, there comes a time where enough is enough. This is interesting, considering the vast amount of people I have seen this person hurt over the past 3 years. Did you consider the feelings of the woman with the 2 Labradors that you took in and promised to give a home, sold, and then refused to give her any information on their well being. She desperately searched for those dogs for at least 2 years afterwards over the Internet? Did you consider the feelings of the “many” individuals you have taken in horses from and in return cut all ties with them, trashed their name on social media, and refused to give them any information on the horses they surrendered to you? Did you consider the feelings of the other rescues who worked equally hard to be accepted at the fundraiser in 2012, but were denied because they were not registered as a 501c3 like you? Did you consider the feelings of the young lady who watched a horse get injured after an act of violence on your property? She called authorities to report the incident, but incident was ignored due to her age and credibility. Did you consider the feelings of the local rescue you shut down after you came in and took their horses and trashed them over social media after he was picked up for a DUI? 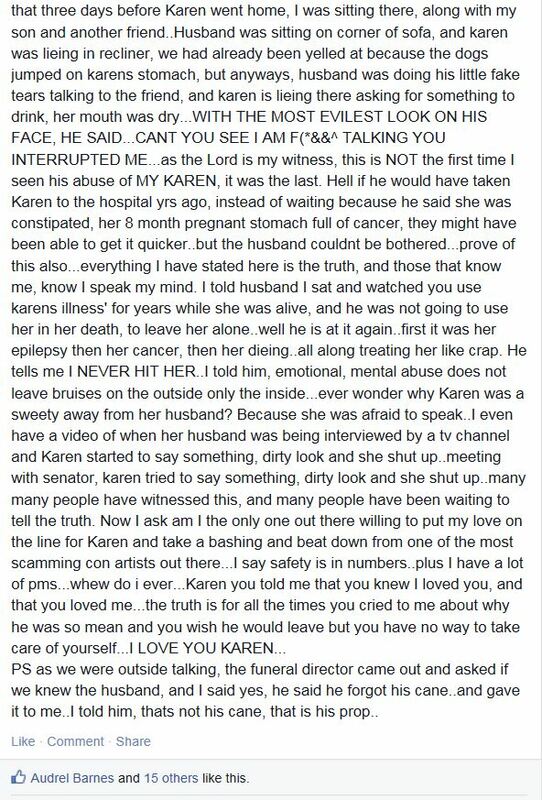 Did you consider the feelings of my husband and I during the past 3 years while you filed false reports against us to government officials and organizations, personal messaged and posted on social media false information to slander us, exposed our personal information to the public, and went on Channel 10 news with false information to sabotage our rescue. 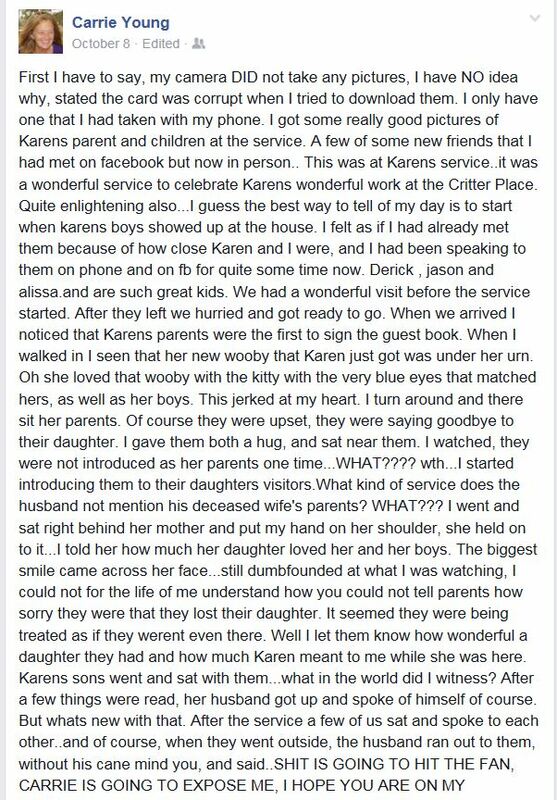 Did you consider the feelings of Ted and Karen after you befriended them, so Karen could keep tabs on our rescue for 3 years day and night, and then turn around and expose Ted and Karen’s personal relationship and dirty laundry on public media the night of Karen’s funeral for all to see? This, I believe, is calling the kettle black, and by far the cruelest thing I have ever seen you do, especially when your husband has 3 cases of domestic violence against 3 different women in 3 different counties, yourself included. Did you consider my husband’s feelings when you and your husband filed false reports of violence against him and lost in court after your husband pushed my husband at the Wagon Wheel Feed store and the owner’s wife told you both you were no longer welcome in their store? My husband has NEVER touched you or your husband and neither of us would ever physically harm you. Did you consider the feelings of your landlord, after her home was deliberately sabotaged, so you could have an alibi for not paying the rent and sue her for thousands of dollars? Did you consider the feelings of the several families who have shown up at your property after finding out their horse were in your possession and you refusing to give them their horses back? 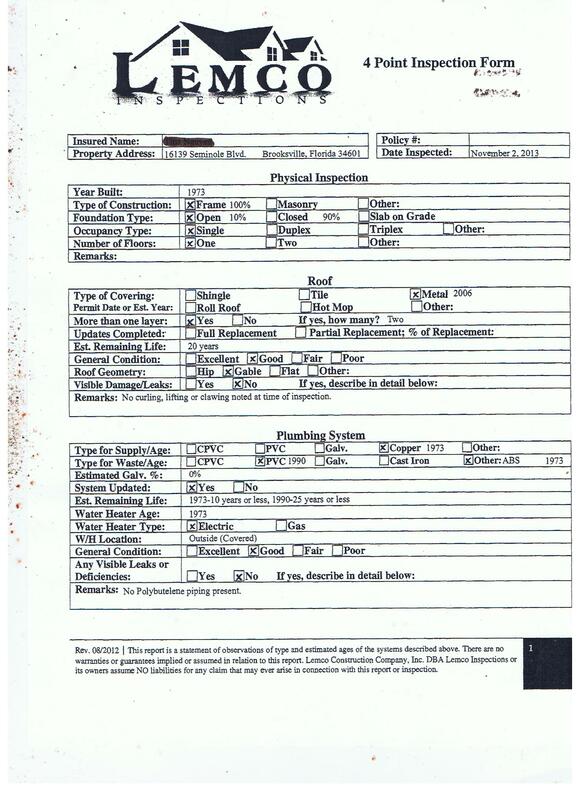 They filed theft reports with animals control. Did you consider the feelings of the “many” people who have sympathized with your fictitious pleas for help, so you could draw in funds needed for other non-related financial debts? Did you consider the feelings of those who legitimately need social security, but have not yet been awarded, due to the many people like yourself who have abused the system and fraudulently collected funds when they were not eligible? Did you consider the feelings of those who have lost their animals and been reported to animal control after they have reached out for your help? Did you consider the damage you have done to other rescue groups, animal owners, volunteers, and donators you have hurt with your continual lies. The issues you are dealing with this year have been self-induced and are of no fault of anyone, but a lying tongue. ***NOTE*** Post above is based on factual evidence collected over the years and formulated in text by the author’s opinion only. Personal research should be made on the above person to form one’s own opinion. 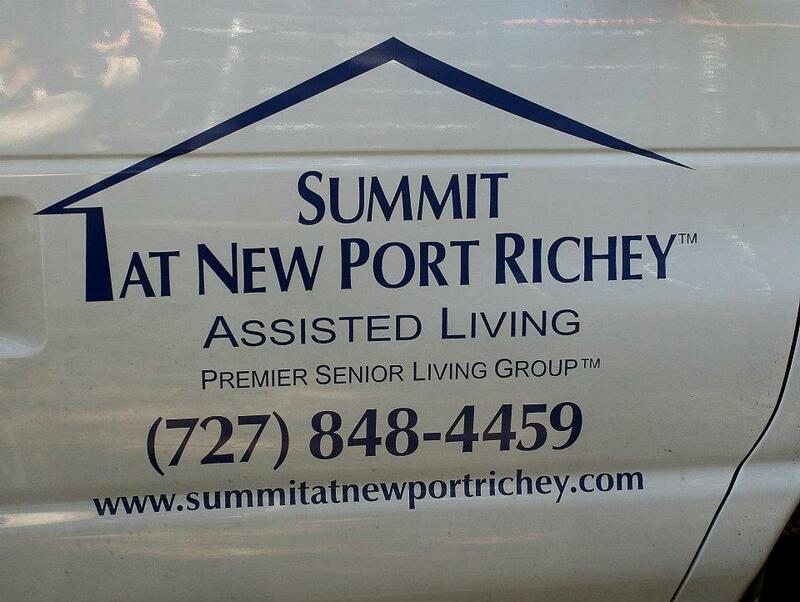 On Sunday, October 19, I was contacted by several people on behalf of the property residing at 16139 Seminole Blvd. I have been asked to set the story straight after false allegations and threats have been made by the tenant. Many Facebook viewers have been sympathetic to Carrie Young’s urgent cry for help. Since August 2014, Carrie has been complaining of being ill.
She claims her illness has led from hospital visits, medications, to vacating the house. After being almost 2 months late on the rent and the landlord threatening to evict Carrie, Carrie discovers the house to be infected by mold in the walls and ceiling. On Social media she posts that her home is covered with mold. She claims that her landlord refuses to do anything about it. She raised $1500+ from the public to vacate the property, but later decides to reside at the property in an RV that was donated to Ohana Rescue. She made a public statement that she has hired a mold specialist to test the home and was told that all of her belongings were ruined and the home should be condemned. She also states that this matter is being dealt with in the courts. However, it was her landlord who took Carrie to court for an eviction for nonpayment of her rent for two months. Carrie filed a motion to countersue and raised $2200 from a social network after pleading that Ohana Rescue would lose their home if she doesn’t come up with the funds by Monday. 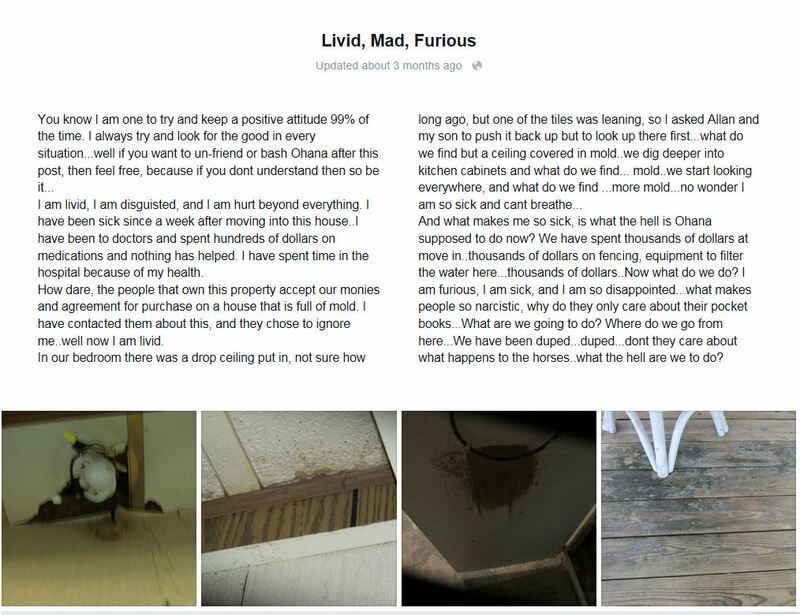 She posted pictures of ceiling board that appeared to be black, claiming the walls and ceilings are covered with mold. This mold, she claims is responsible for her severe illness. In the meantime, The landlord has received threatening emails and phone calls, as well as harassment through cyber bullying. Carrie claims she is alone in this mess with no one willing to take responsibility. However, this could not be any further from the truth. The landlord’s homeowners insurance covers mold. She made an appointment with a mold specialist to inspect the home. She notified Carrie of this appointment and appeared at the property, only to find that the gates were padlocked and no one was home. 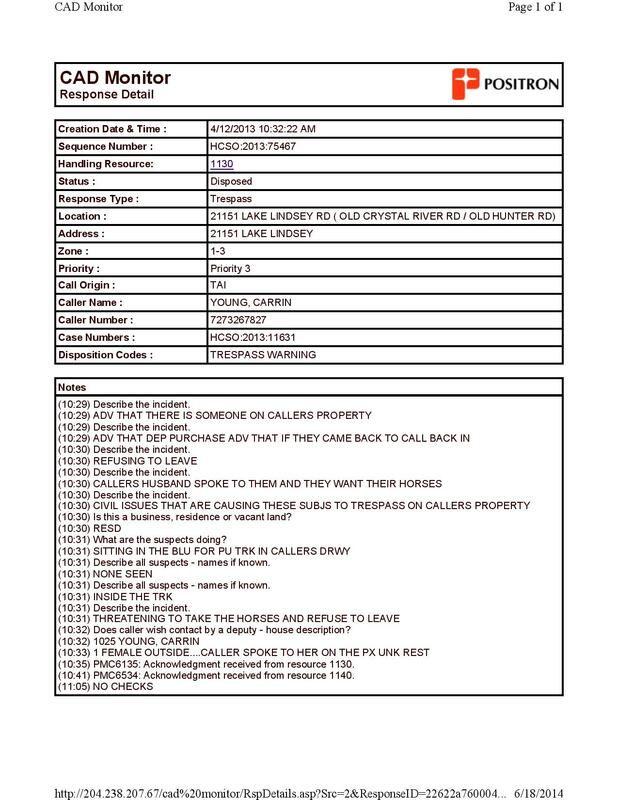 The neighbors confirmed that Carrie and Allen left the home at 8:45 in the morning before the scheduled 10:00 appointment. They are still trying to access the property, but are unable to do so due to padlocks and inability to contact Carrie. Before Carrie Young moved in, the home passed an annual 4-point inspection. Carrie Young and Allan Wilson met with the realtor to see the home. They moved in with hopes to one day purchase the property. 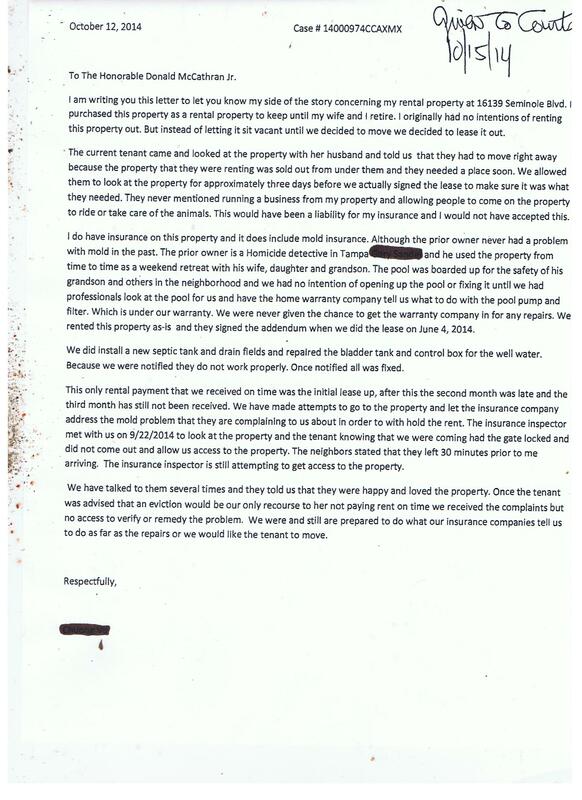 Carrie mentioned several problems with the home and property and the landlord sent out companies to do all repairs. After Carrie moved in and got settled, she fell behind on her rent after the second month. 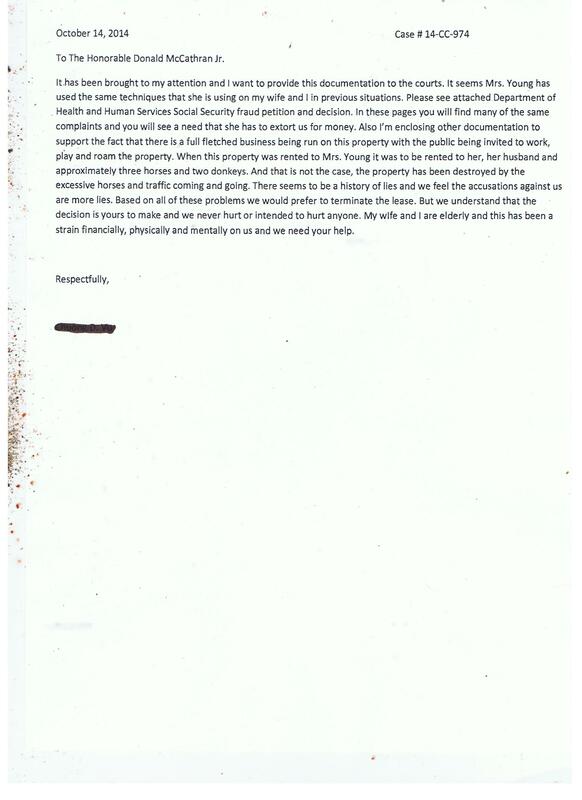 After the second month the landlord contacts her about having to evict her for nonpayment of the rent. 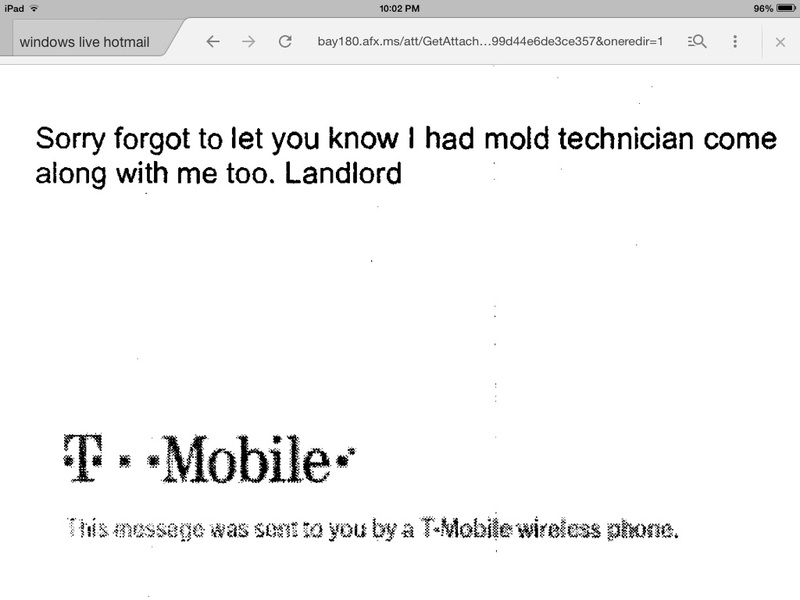 Two weeks later before the third month’s rent is due, Carrie calls the landlord complaining of a leak, but says nothing about mold. 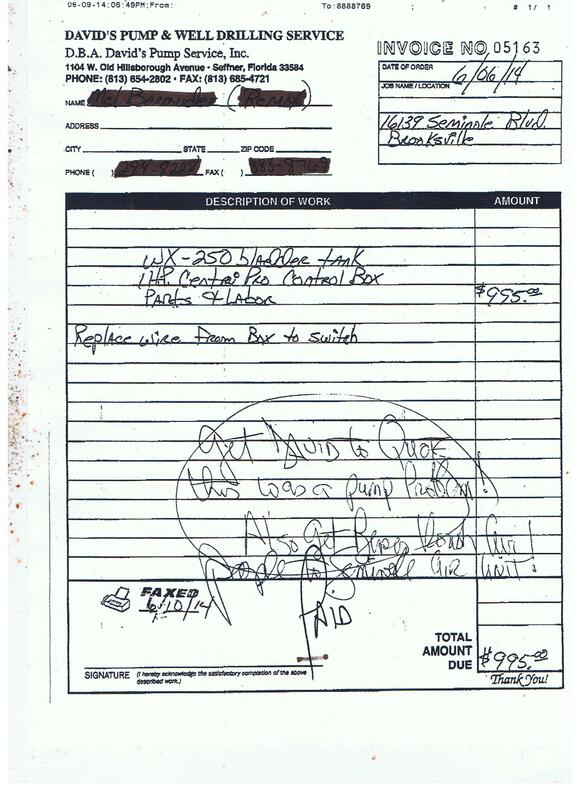 On August 31, 2014, before rent is due, Carrie claims the home is infested with mold. The landlord tries to work out this problem with her, including sending a mold specialist out to inspect the property for her insurance company, but she is unable to access the property. Depending on the results of the testing, she has offered to replace the trailer and/or give Carrie her deposit back, so that she can move. If the landlord cannot access the property to test the home for mold, she cannot fix or replace home without documentation for her insurance company. 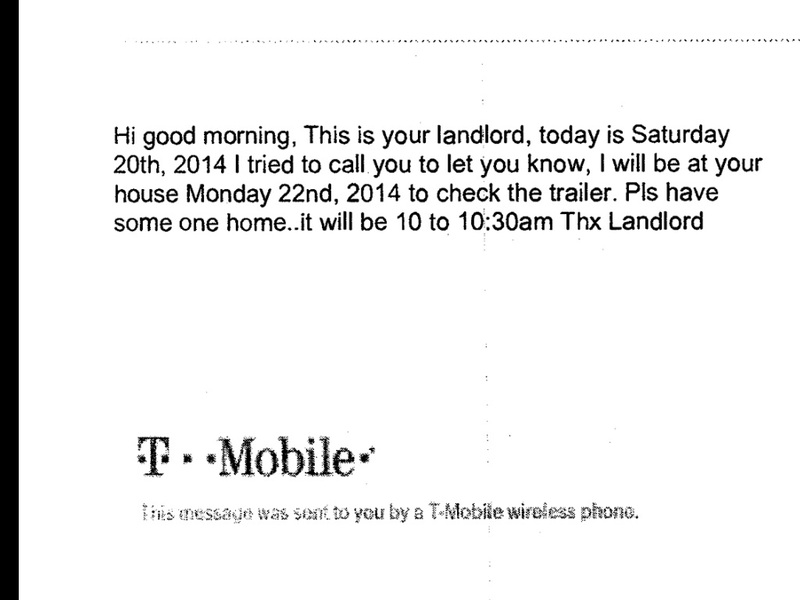 The landlord attempts to contact Carrie through email and sends her this letter. 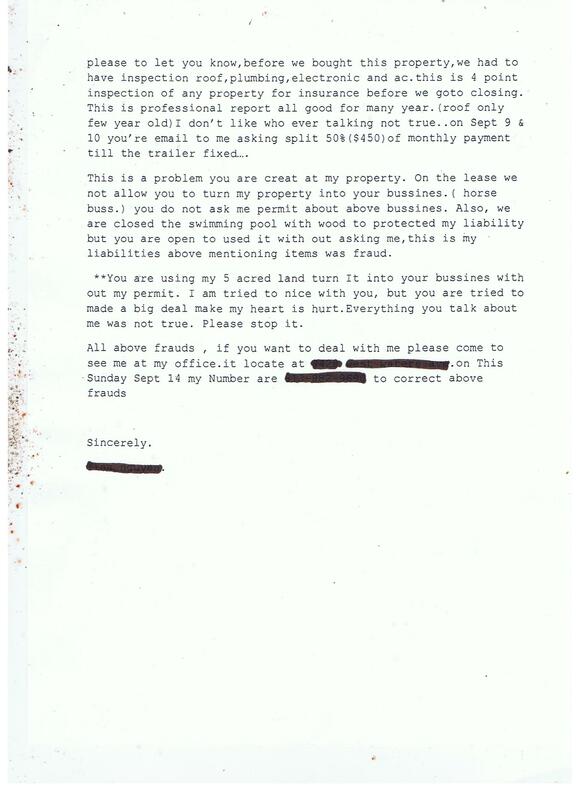 It is also noted in the letter that Carrie Young did not have her permission to uncover the pool. 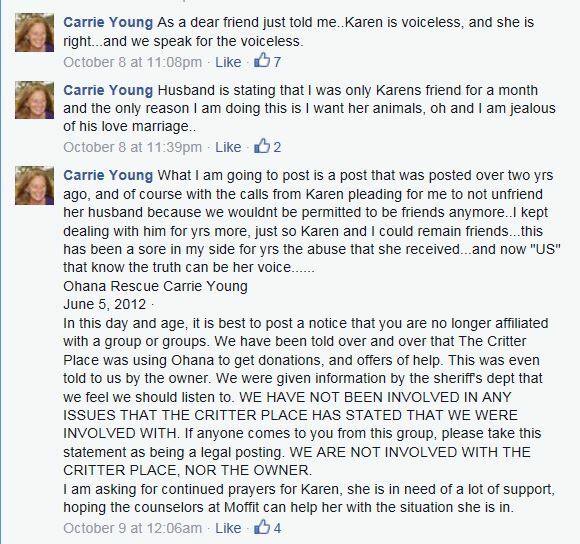 She also makes note that she did NOT know that Carrie was moving in with the intentions of running Ohana Rescue from her property. 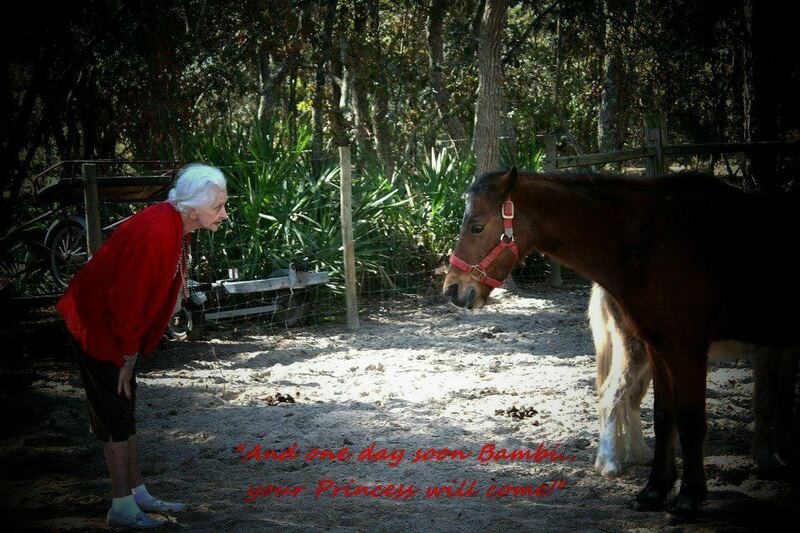 She was told that it would be Carrie and her husband only, along with 3 horses and 2 donkeys. She states that she did not have her permission to run a business from her property and her insurance does not cover the property as a public facility with people interacting and riding horses. After the landlord filed an eviction on Carrie Young, Carrie filed a countersuit against the plaintiff to cover personal damages. Therefore, the landlord sends several letters to the judge in defense to their case. Carrie Young submits to the courts an invoice for a mold inspection done on the home. Results of the test should be available after October 2nd, but none have been submitted. In conclusion, there are many questions that one may ask. If the home is infected with mold and should be condemned, why can’t the owner access the property to do the necessary tests for her insurance company? Why would the tenant spend $1200 to test the home, when landlord must order these same tests for the insurance company, so that the insurance will cover the repairs, etc? If the mold specialist has deemed the house condemnable, why hasn’t the county been notified to condemn the home? If Carrie Young was given the opportunity to receive her deposit back, as well as raise money from the public to move, why didn’t Carrie move and fight the case in court while living in a safer environment? 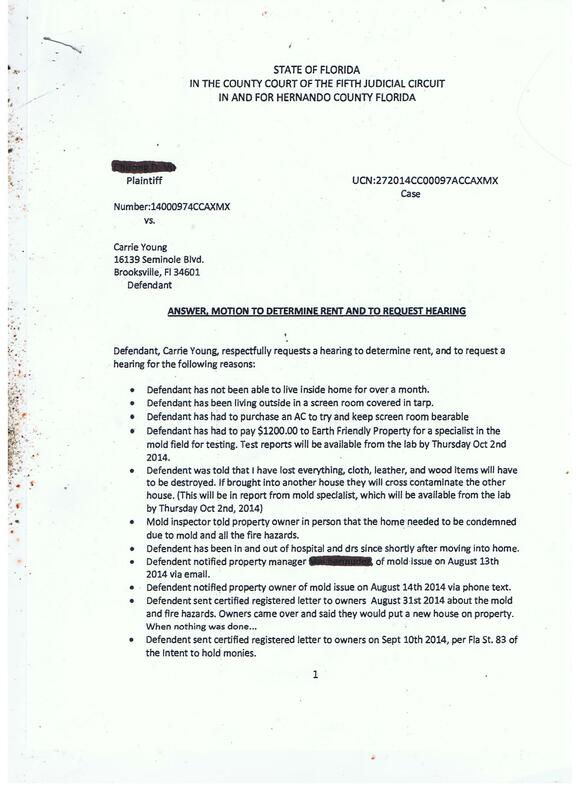 If the home is infested with mold, why didn’t Carrie take the landlord to court instead of filing a countersuit after the landlord took her to court to evict her for nonpayment of rent? If Carrie refused to pay rent after discovering the mold, why was she already 1-1/2 months behind on the rent before the mold was discovered? 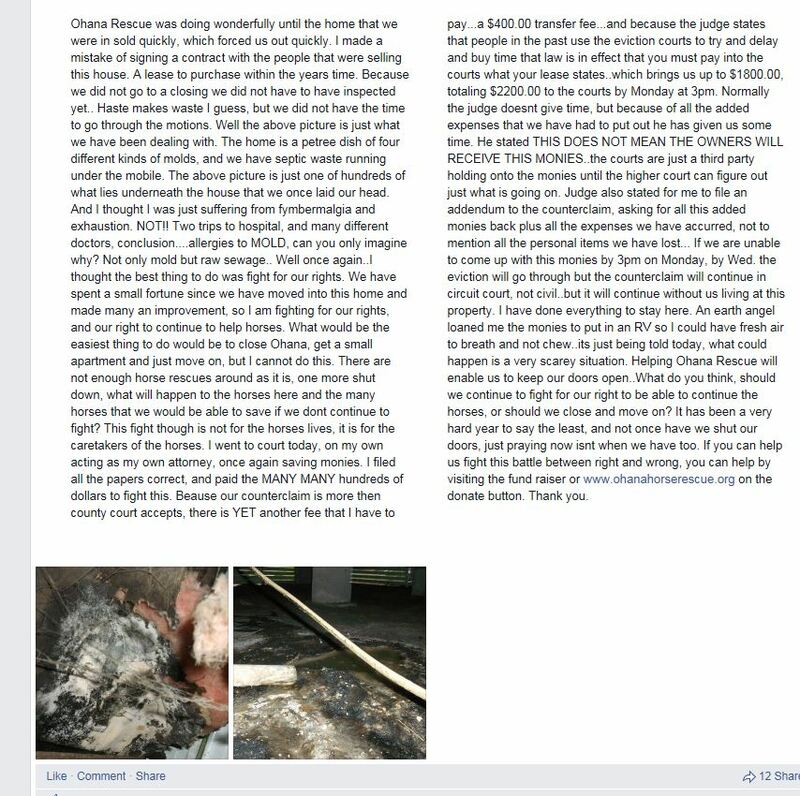 Why did Carrie have to raise money for her rent to pay the courts, if the issue at hand was “mold?? It seems that the landlord had no recollection of Carrie owning and operating a nonprofit 501c3 horse rescue before moving in. Why would a tenant not mention this important factor such as running a business, moving large animals on and off property, and inviting the public to the property for riding events, etc.? Does Carrie have insurance to cover damages and injuries that may be caused by running an equine business from her home? Did her fibromyalgia cause mental confusion that she again “forgot” to tell the landlord about the horse rescue that she runs? Did she also forget to mention that her son would be staying with them as well? Carrie told the landlord that she had 3 horses and 2 donkeys that would be residing on the property, but when Carrie moved to the property, she moved in with 8 horses and 2 donkeys. 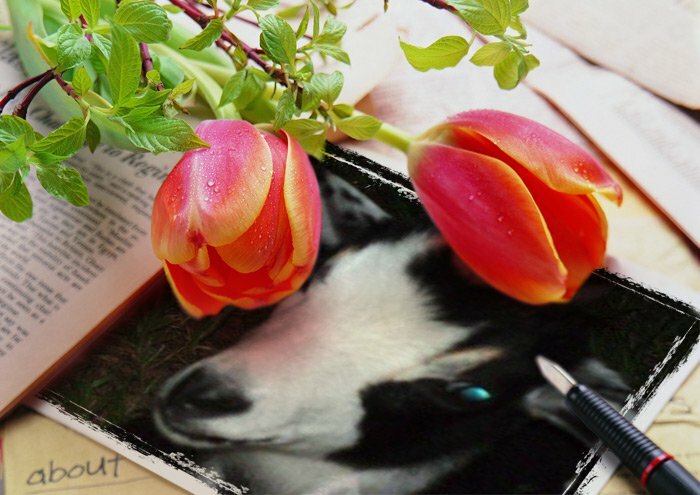 Could it be possible that her memory has been clouded from her illness and she didn’t know how to answer the questions for the property rental regarding her business, how many animals she takes care of, and how many people live with her? Carrie posted on her Facebook page that someone “donated” an RV for Carrie to reside in. Carrie is now suing the landlord for $6,000 for the RV. Was this a donation or a loan? 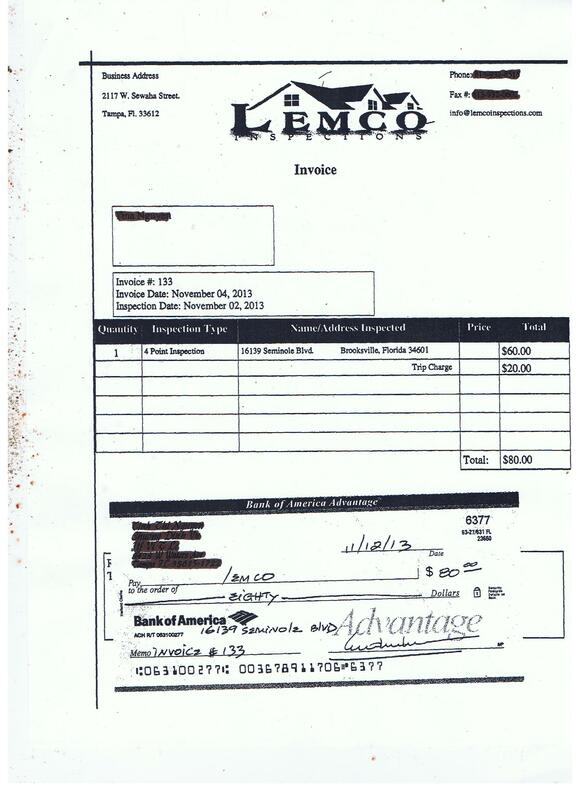 Is the landlord liable to pay for an RV that was “donated” to Carrie after she offered to give Carrie her money back? Carrie is asking for $3,000 to be reimbursed to her at $15 an hour x 200 hours for the improvements made to the home, pool, and property. Carrie is asking to be reimbursed for the pool expenses, but yet she did not have the landlord’s permission to uncover the pool. Carrie also signed an agreement that she was leasing/buying as is, but now feels entitled to receive monetary gain for work she has done for her own benefit that was not contracted out by the landlord. Carrie is also on disability and should NOT be working to receive funds for a paid job without first contacting disability. Carrie claims that she has been in and out of the hospital with medical illness due to mold in the home. She is asking to be reimbursed for all medical expenses. If Carrie is receiving disability and has for several years, it’s probably safe to say that Medicaid is covering her medical expenses. Is she asking the landlord to cover her medical expenses, so that she can pay back Medicaid for her medical bills? If the landlord is responsible for her medical expenses, shouldn’t the medical reports document and reflect her illness to be caused by mold? If her personal property has been destroyed by mold, she therefore should expect this property to be replaced? Has she proved that her personal belongings, besides her “boots” have been ruined by mold? We will follow the court proceedings in hopes that some of these questions may be answered. Is Carrie Young entitled for time, money, and damages caused by mold or is the landlord entitled to ask Carrie to move, so that she can have access to the property, so she may inspect and repair all damages? Recently it has been brought to my attention that the case has closed and the final report has been made. 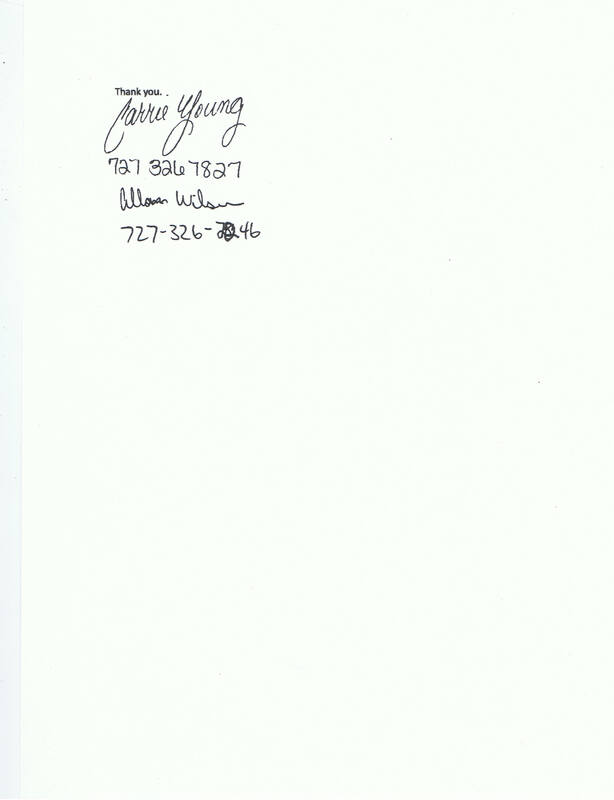 Below is the final report regarding the Social Security fraud committed by Carrie Young. During a Report of Continuing Disability Interview, SSA 454-BK [SSA IG Ex. 1], [Respondent] stated that [she] had difficulty walking, especially on uneven pavement. On an Adult Function Report – SSA Form 3373 completed and signed on February 4, 2013 [SSA IG Ex. 5], [Respondent] stated that [her] daily activities consisted of lying around. [Respondent] stated that if [her] fibromyalgia was not flaring up, [she] could read, use the computer or go for a ride, indicating that those were the only three activities [she] engaged in most of the time. On this Report [Adult Function Report – SSA Form 3373] [SSA Ex. 5], [Respondent] stated that [she] did not take care of any pets or other animals. When a Disability Determination Service examiner called [Respondent] on January 29, 2013 and [Respondent] answered the phone “Ohana Horse Rescue”, the examiner directly asked [Respondent] if [she] took care of any animals. [Respondent] falsely stated that [she] did not. On a Reconsideration Request letter that [Respondent] submitted on March 29, 2013 [SSA Ex. 8], [she] stated that [she] was depressed, did not have a normal life, and had problems being around people. [Respondent] stated [in SSA Ex. 8] that [she] forgot to go shopping because [her] mind and memory were affected by [her] illness and that [she] was constantly tired. SSA Ex. 15, at 1-2; SSA Br. at 1-2. The SSA IG requests that I approve a total CMP of $5,000 for each of the six allegedly false statements or representations, a total CMP of $30,000. SSA Br. at 1. 15 The SSA IG has the burden to establish by a preponderance of the evidence, that is, that it is more likely than not, that Respondent made the six allegedly false statements or misrepresentations; that she knew or should have known that the statements were false or misleading; and that the statements were material to a determination of whether Respondent would continue receiving DIB. Act § 1129(a)(1); 20 C.F.R. §§ 498.102(a), 498.215(b)(2) and (c). I conclude that the SSA IG has met its burden for three of the six alleged false statements or misrepresentations. b. Facts In January 2011, SSA awarded Respondent DIB retroactive to January 2009, based on her fibromyalgia, fatigue, and chronic pain. SSA Ex. 15 at 1. Based on an anonymous tip that Respondent was operating a horse rescue while receiving DIB, the SSA IG began an investigation of Respondent in early 2013, at about the same time as Respondent was subject to a CDR. SSA Ex. 1, SSA Ex. 9 at 2-3, Tr. 349. SSA terminated Respondent’s DIB on March 18, 2013, based on the determination that she was no longer disabled. SSA Ex. 13 at 2; Tr. 300. On March 29, 2013, Respondent submitted a Request for Reconsideration, Form SSA-789-U4 that she signed and dated March 25, 2013, with her argument attached. SSA Ex. 8. She stated that her “memory seems to be effected more, most likely because I am constantly tired.” SSA Ex. 8 at 2. She also stated that she was “depressed and I cannot live a normal life . . . . I have problems being around people anymore. I have issues walking for a long period of time, so forget going shopping.” SSA Ex. 8 at 2. SSA denied the reconsideration request, and Respondent then appealed the cessation of her DIB to an ALJ in a proceeding separate from this one. Tr. 301. Analyst Kerns testified that on January 17, 2013, she began to investigate the fraud allegation against Respondent related to Respondent’s operation of the horse rescue while receiving DIB. SSA Ex. 38; SSA Ex. 45 at 6, 47. 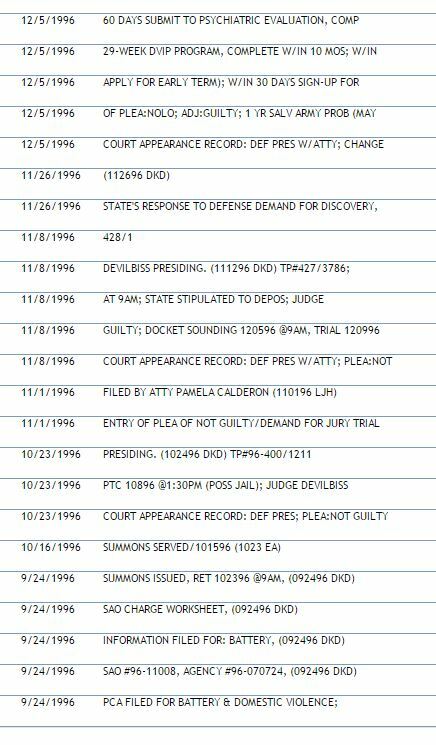 Analyst Kerns reported the results of her preliminary web-searches to SA Miller. The CDR was already in progress and being conducted by the SSA field office. SA Miller opened a formal CDI investigation. Analyst Kerns continued to work the case after SA Miller opened the formal investigation. SSA Ex. 45 at 8. 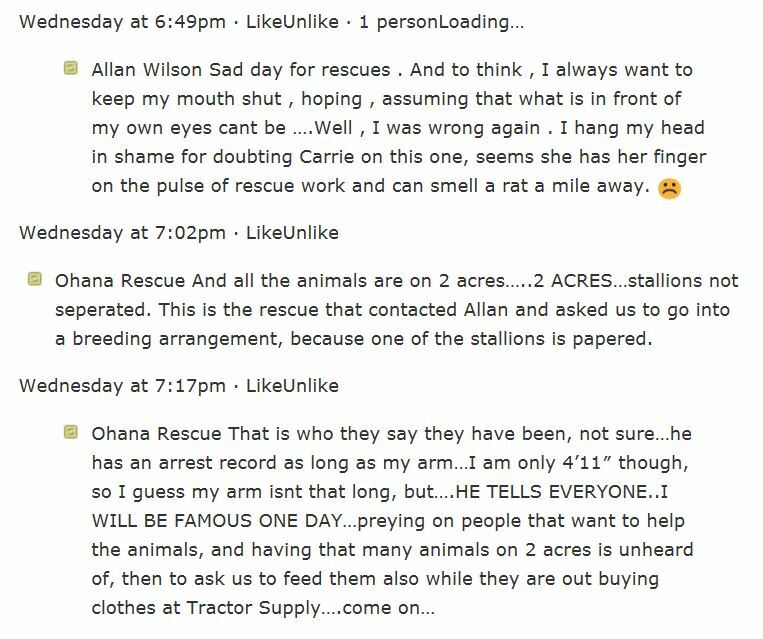 In the course of her investigation, Analyst Kerns located several websites that referred to Respondent and “Ohana Horse Rescue.” SSA Ex. 38 at 1; SSA Ex. 45 at 7-8. 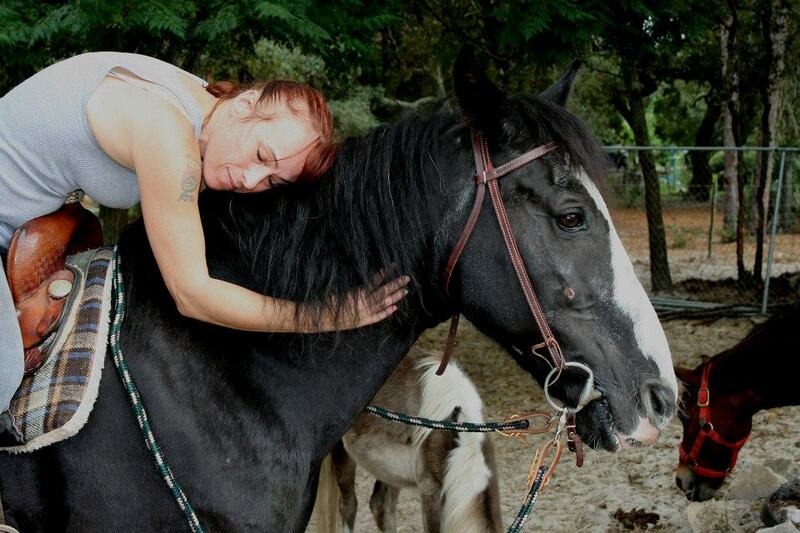 She found a Facebook account named “Ohana Rescue Carrie Young,” which included thousands of photographs, several of which had been posted in December 2012 showing Respondent bathing horses as well as three photographs with an embedded date of January 12, 2013, showing Respondent leading a horse across a paddock, standing next to a horse, and sitting on the ground near a horse. SSA Ex. 45 at 8-13; SSA Ex. 40 (CD 2 of 2); SSA Ex. 22. Analyst Kerns testified that she located a Facebook page for Respondent that stated Respondent founded, owned, and operated Ohana Rescue. SSA Ex. 45 at 14; SSA Ex. 23. Analyst Kerns read from a Facebook post dated November 19, 2013, which she testified exemplified the general type of _______________ 16 postings she saw on the Facebook page in January 2013. SSA Ex. 45 at 16. She testified that based on her review of the Facebook page for “Ohana Rescue Carrie Young” between October 2012 and January 2013, she observed that new posts were made almost daily. SSA Ex. 45 at 17. 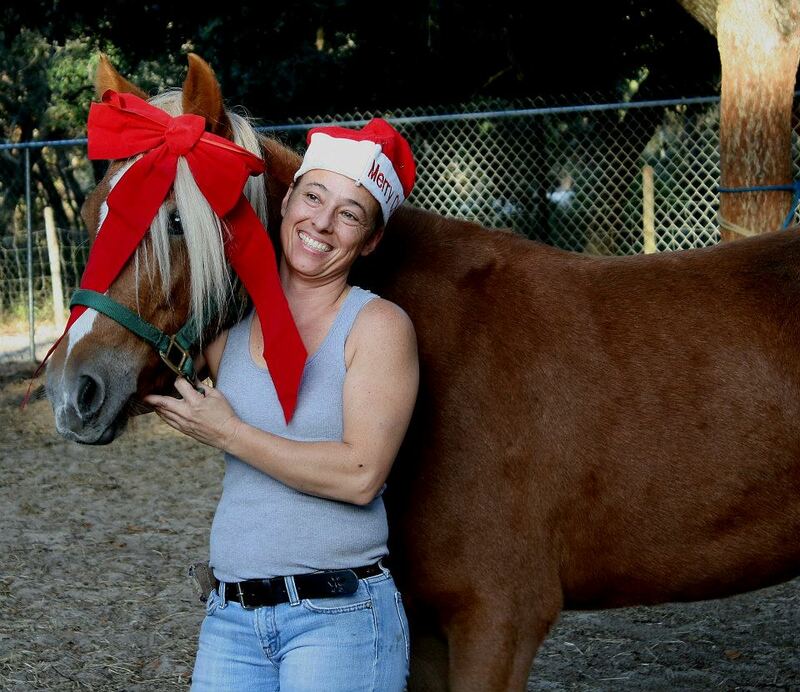 Analyst Kerns later found several news articles posted online and linked to the Ohana Rescue website, which discussed Respondent and her horse rescue operation. SSA Ex. 45 at 19-24. The articles were from November 2011, October 2012, April 2013, and July 2013. SSA Exs. 24-28. 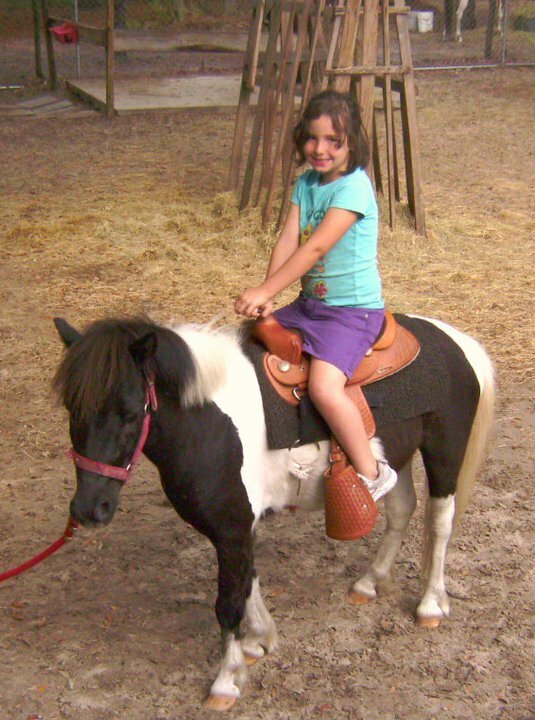 Analyst Kerns testified that she also found videos posted on the Facebook page, including one that showed Respondent standing and grooming a horse using a “shredder” with two hands, and another video, posted on March 3, 2012, which showed Respondent riding a horse, then dismounting it by sliding down the side of the horse and landing upright on her feet. Another video showed Respondent standing up on a large, square piece of wire fencing and being dragged on that fencing behind a golf cart. SSA Ex. 45 at 25-33; SSA Ex. 40 (CD 1 of 2, Runtime 07:31-11:50).10 10 Respondent later testified that being pulled behind the golf cart on the piece of fencing is referred to colloquially as “cowboy surfing.” Tr. 389. Analyst Kerns admitted in response to my questioning that her duties with CDI involved obtaining evidence of the activities in which her targets engaged, and not making a medical assessment or determining the target’s residual functional capacity.11 11 Residual functional capacity “is the most you can still do despite your limitations,” physical and mental, caused by “impairment(s), and any related symptoms, such as pain.” 20 C.F.R. § 404.1545. Supp. Tr. 43-44. Analyst Kerns inferred that Respondent posted all the content to her Facebook page. She testified that she did not have a Facebook page but she understood it was possible for others to paste to the owner’s Facebook page. She believed the Facebook postings were important both for the activities depicted and the mental activity required to maintain the Facebook page. SSA 45 at 48-50. DDS Examiner Timothy Bane testified by telephone. He testified that he conducted the initial CDR for Respondent. As part of the CDR a work history report form, a functional report form, and a pain questionnaire were mailed to Respondent with instructions to complete and return the forms. Tr. 292. Examiner Bane testified that as part of the CDR he called Respondent by telephone on January 29, 2013. He testified that Respondent answered the telephone stating “Ohana Horse Rescue.” SSA Ex. 39 at 2; Tr. 297-98. Among other questions about her activities of daily living (ADL), he asked her whether she took care of any children or animals. According to Examiner Bane, she denied caring for children or animals. SSA Ex. 39 at 2; Tr. 298. He testified that Respondent’s entitlement to DIB ceased on March 18, 2013, but she had a pending appeal of that determination. Tr. 300-01. In response to my questions, Examiner Bane testified that it 17 was not part of his duties to make determinations regarding an individual’s residual functional capacity as that task was done by the medical examiners. Tr. 306-11. He testified that Respondent’s records show that she was granted disability in 2011 by an ALJ because the ALJ concluded that she had a residual functional capacity for less than sedentary activity and could not maintain a 40-hour per week work schedule. Tr. 310. He testified that her entitlement ceased in March 2013, because it was determined that her functional capacity had increased and she could return to her past relevant work as a credit manager. Tr. 320-21, 344-45; R. Ex. 13. He testified that he made no determinations as to whether Respondent would have trouble sitting, standing, or lying down; whether she had difficulty with ADLs; whether she had trouble with her memory or depression; or whether she was constantly tired. Tr. 325-26. Examiner Bane testified that it was his job to collect information and pass it on to the medical doctors. Tr. 325, 343. Respondent does not deny that she completed a CDR Report, Form SSA-454-BK, marked and admitted as SSA Ex. 1, although the CDR Report is not signed or dated. In Section 10 of the form Respondent describes her daily activities. In the narrative she states that if she is able to sleep she gets up at 8 a.m.; she tries to clean if she does not hurt; she loves to read a book but requires drops for dry eyes; her son and girlfriend live with her and sometimes they go for a ride to town or in the golf cart; and she tries to sit at the computer. She stated that she wears eye-glasses and uses a cane when her leg hurts. She checked “Yes” blocks on the form indicating difficulty with ADLs, including difficulty walking, and wrote that her difficulty walking was “especially on uneven ground.” SSA Ex. 1 at 10-11. Respondent does not deny that on February 4, 2013, she completed a “Function Report – Adult,” Form SSA-3373-BK. SSA Ex. 5. Question 6 of the Function Report asked Respondent to “[d]esribe what you do from the time you wake up until going to bed.” Respondent wrote that she: Lay around, try to walk around if dry eyes from fybermalgia [sic] aren’t bothering me, I can read. Play game on computer if they don’t hurt. Maybe go for ride in car. SSA Ex. 5 at 2. Question 8 of the Adult Function Report asked Respondent – “Do you take care of pets or other animals?” Respondent checked “No.” Question 9 asked Respondent – “Does anyone help you care for other people or animals.” Respondent checked the box next to “Yes,” and, wrote “son will feed.” SSA Ex. 5 at 2. Elsewhere on the Function Report, Respondent stated that she felt “I have lost my life. Can’t be around people anymore, can’t live normal.” SSA Ex. 5 at 5. She also stated she can only walk for “a few minutes” before needing to stop and rest. SSA Ex. 5 at 6. 18 Examiner Bane testified regarding the statements made in the forms completed by Petitioner, that he did not make any determination about their truth or falsity because that was not his job. Tr. 306-08. He explained that the statements made in the forms were reviewed in conjunction with Respondent’s medical records by medical doctors. Tr. 307, 325-27. In response to my questioning, Examiner Bane acknowledged that Respondent’s statement that she had to lay down during the day was not inconsistent with fibromyalgia, but he personally did not attempt to determine the truth of her statement. Tr. 309. On February 25, 2013, as part of the investigation into the fraud allegation against Respondent, Investigator Thomas Montgomery went to a local Publix Supermarket and obtained video surveillance footage of Respondent in the store on January 6, 2013 and January 21, 2013. SSA Ex. 40 (CD 1 of 2, Runtime 00:00-07:30); Tr. 199-200. Investigator Montgomery testified that he determined the time and date of the Publix surveillance footage relevant to the investigation based on his review of records of Respondent’s use of her electronic benefits transfer (EBT) card. Tr. 200-05. There are two video clips and both show Respondent checking out of the store. The January 6 video shows Respondent waiting at the checkout aisle for about four minutes, carrying her purse over her shoulder, and accompanied by an unknown woman. After checking out, Respondent walks out of the store unassisted while the unknown woman carries out the grocery bags. SSA Ex. 40 (CD 1 of 2, Runtime 00:00-05:18). The January 21 video shows Respondent again at the checkout aisle, alone, and carrying her purse over her shoulder. After checking out, she places five plastic grocery bags over her hand, forearm, and wrist, and walks out of the camera range. SSA Ex. 40 (CD 1 of 2, Runtime 05:2007:30). Investigator Montgomery described Respondent in the January 21 video as having an “unremarkable gait, carrying a large purse and alone, entered the grocery aisle. [Respondent] was captured bending and crouching to the floor to look at items on display.” SSA Ex. 37 at 2. Investigator Montgomery clarified at hearing that the “grocery aisle” to which he was referring was actually the checkout aisle shown in the video. Tr. 212, SSA Ex. 40 (CD 1 of 2, Runtime 05:37-05:39). 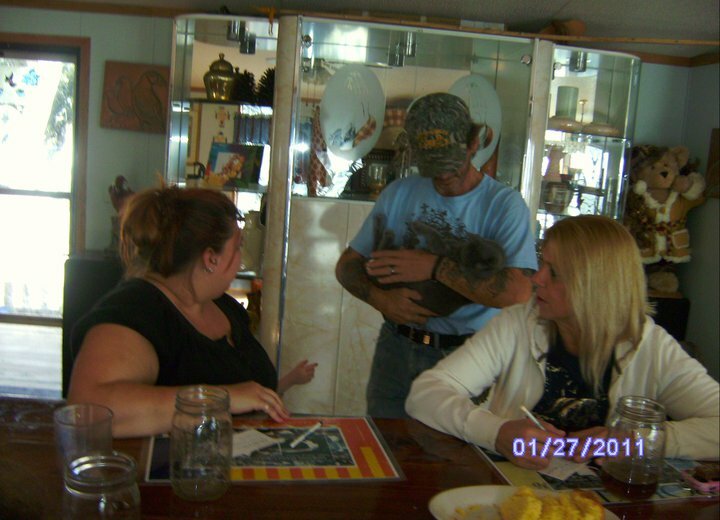 Investigator Montgomery and SA Miller interviewed Respondent at her home in Brooksville, Florida, on March 6, 2013. Tr. 67, 214. Both testified that Respondent met them outside of her house, although SA Miller clarified on cross-examination that Respondent’s husband first had to go inside the house to get Respondent because she was lying down in bed. Tr. 115-16, 215, 223. The substance of the interview was not documented, but SA Miller wore a hidden video-surveillance camera and obtained video footage of Respondent with no sound. SSA Ex. 40 (CD 1 of 2, Runtime 11:51-19:52). The investigators introduced themselves to Respondent and claimed they were investigating food-stamp fraud in the area. Tr. 67, 106, 215-16. Investigator Montgomery testified that Respondent’s handshake was “firm,” which to him indicated “that her arm strength is strong and that she had a firm, strong shake, and not a weak shake.” SSA Ex. 37 at 3; Tr. 238. Accordingly to both investigators’ testimony, they and 19 Respondent sat outside on a picnic table near Respondent’s house and went over her food stamp usage. Tr. 67, 216. Investigator Montgomery at one point asked if he could see the horses and Respondent agreed. Investigator Montgomery, SA Miller, and Respondent walked to a corral, which Investigator Montgomery estimated to be “150 feet across uneven terrain.” SSA Ex. 9 at 8; SSA Ex. 37 at 3, Tr. 220. SA Miller initially testified that there was a “slight incline” from where they were seated at the picnic table to the corral where the horses were located, but then clarified that the corral was down a slope from Respondent’s house and was on “uneven terrain.” Tr. 68-69. The investigators and Respondent stood near the corral on “grass and dirt.” Tr. 69. The Summary Report stated that Respondent “walked without assistance with an even fluid gait, and did not appear to display any physical difficulties . . . . [Respondent] presented herself as a socially interactive person; she was pleasant, friendly, polite and respectful.” SSA Ex. 9 at 8. Both SA Miller and Investigator Montgomery testified that neither of them observed Respondent having difficulty walking on the day of the interview. Tr. 69, 219. In response to my questioning, Investigator Montgomery testified that he learned to assess someone’s ability to walk from his colleagues in the CDI unit, as well as “a lot of conferences and evaluations, videos . . . to determine what is normal and abnormal.” Tr. 241-42. SA Miller testified that when they walked to the corral, Respondent was even with her and Investigator Montgomery, but when returning back to the house, Respondent was walking behind them because the investigators “thought it would seem odd if we lagged behind her . . . .” Tr. 69-70. SA Miller produced a copy of the video she obtained that day, offered as portion of SSA Ex. 40 (CD 1 of 2, Runtime 11:51-19:52), but stated that the video had been edited for time. Tr. 112. SA Miller testified that the only video footage deleted was nothing of significance and only showed the investigators, Respondent, and Respondent’s husband standing near the corral for approximately 15 minutes. 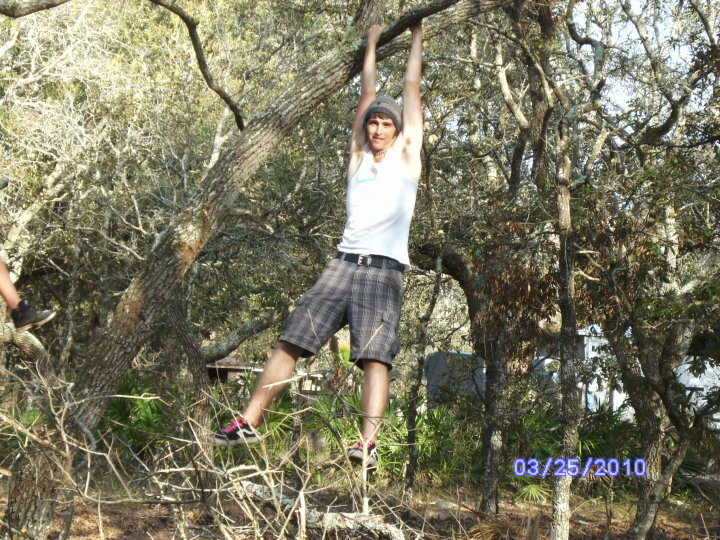 She also testified that no surveillance was conducted at the rescue and no other video was made. Tr. 112-13. Based on my review of the video SSA Ex. 40 (CD 1 of 2, Runtime 17:12 – 19:52), I find that the terrain on which SA Miller and Investigator Montgomery observed Respondent walk had a slight slope or grade. Although the camera angle was inconsistent, comparing the surface with the visible horizon, the grade was no more than a couple degrees and certainly less than five degrees. The assertion that the terrain was uneven is misleading. The terrain was mostly grass-covered, with what appeared to be an occasional flat stone visible in the grass. There were no obvious dips, mounds, ruts, or ditches apparent in the video. The terrain was not as smooth as finished concrete, but it was certainly not so uneven as to have prevented the use of a wheelchair. I further note that the video shows that during the walk from the picnic table to the horses, Investigator Montgomery walked beside Respondent to her left only a few steps and the remaining distance he was in front of Respondent. Therefore, Investigator Montgomery’s opinion regarding Respondent’s 20 gait and her ability to walk during his visit to Respondent’s home is of limited weight and credibility. Investigator Montgomery and SA Miller also interviewed Patricia (“Patty”) Eden, the owner of Wagon Wheel Feed Store in Brooksville, Florida, on March 6, 2013. Ms. Eden told the investigators that Respondent came to her store weekly and purchased about $300 worth of horse feed. The investigators reported that she told them that Respondent “appears fine” with regard to any apparent physical disability. SSA Ex. 10 at 2. Ms. Eden testified by telephone at the hearing. Ms. Eden testified that the bags of feed Respondent purchased weighed 50 pounds but her staff, not Respondent, loaded the bags into Respondent’s truck. Tr. 185-87. Once the feed was purchased, the purchaser would drive around the store to trailers outside, hand a ticket to the staff, and staff loaded the order into the purchaser’s vehicle. Tr. 192. She stated that from the front door to the counter of the store, where Respondent would purchase the feed, is about “five to [ten] steps.” Tr. 191. Ms. Eden acknowledged that Respondent was often at the store with her husband. Tr. 188. Ms. Eden testified that she had never been to Respondent’s home. Tr. 189. Investigator Montgomery interviewed Stephen Miller, DVM, a veterinarian in Trillby, Florida, by telephone on March 8, 2013. Tr. 220-21. Dr. Miller told Investigator Montgomery that he saw Respondent about once per month and that she did not show any apparent physical disabilities. SSA Ex. 10, at 2; Tr. 221. Dr. Miller testified at the hearing that he has provided veterinary services to horses at Ohana Rescue “a couple of times a month” for “a couple of years.” Tr. 82. Dr. Miller testified that either Respondent or her husband calls him if a horse needs medical attention, and that any care-related decisions seem to be “a mutual decision” between Respondent and her husband. Tr. 83, 85. He testified that based on his observations of Respondent, he had the impression that she was physically disabled, and that Respondent’s husband typically handles the horses while Dr. Miller is providing treatment. Tr. 84. He believed Respondent was “reluctant and unable” to handle the horses while they were undergoing treatment. Tr. 85-86. In response to my questioning, Dr. Miller clarified that Respondent “almost never” assisted him with the horses while he was providing care. Tr. 95. He also could not recall observing Respondent caring for the horses because he is “normally focused on the horse and what [he is] doing.” Tr. 96. 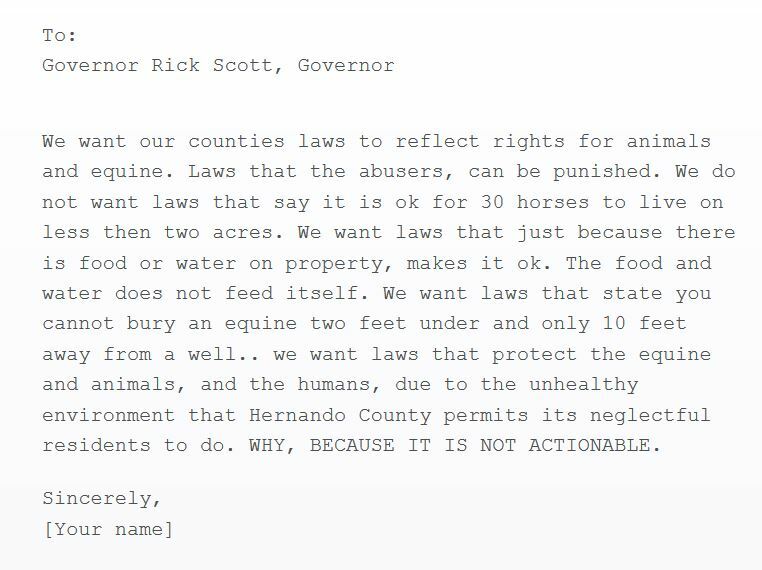 Dinelle Ashcraft, who owns and operates Domino Effect Rescue Ranch, a horse rescue in Florida, testified that typical daily activities of her horse rescue include mucking or cleaning out stalls, moving horses into the paddock, feeding them, and making sure they have clean water. Horses must be groomed and examined weekly. She also testified that she routinely runs errands to pick-up feed and hay. Tr. 129-30. Ms. Ashcraft stated that once hay bales had been picked up and brought to the horse farm, she must physically unroll the bales in different areas. Each bale, according to Ms. Ashcraft weighs between 800 and 1,000 pounds, which she asserted she can unroll without assistance. Tr. 134-35, _______________ 21 165. Ms. Ashcraft also testified that she must network using social media and advertise her rescue activities on a daily basis. Tr. 130, 137. I find that Ms. Ashcraft’s testimony regarding the operation of her horse rescue and her activities, while credible, is of minimal or no relevance as it sheds little light upon the operation of Respondent’s rescue operation or Respondent’s activities. Tr. 166-69, 171-72. 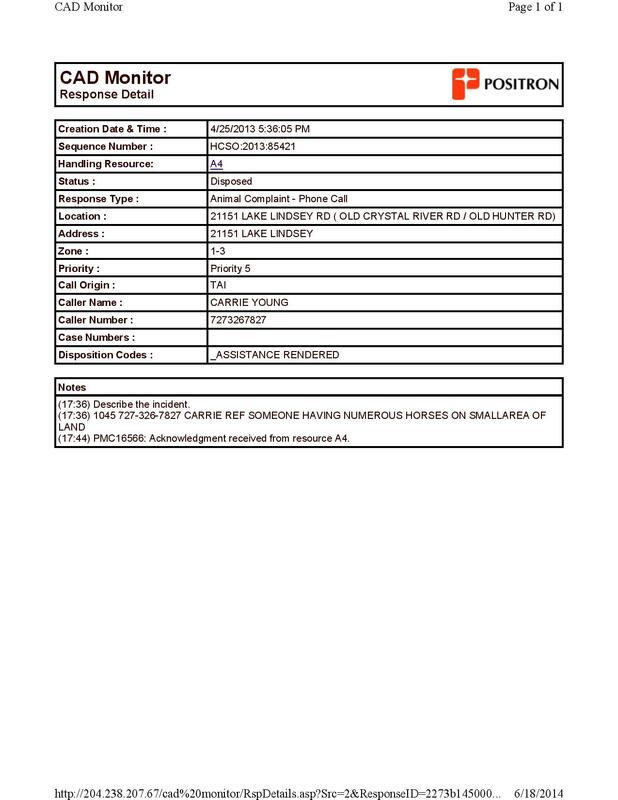 There is no evidence of any industry standard for operation of horse rescues and little evidence from which I might infer that the operation of Ms. Ashcraft’s rescue and Respondent’s rescue is similar, other than both have some horses that require feeding and care which takes money that is obtained through some form of fund raising. Ms. Ashcraft testified that she knew Respondent, but could not remember seeing her in person between January 2013 and March 2013. Tr. 138. Most of her interactions with Respondent were through social media, “because we have the same affiliates from the rescue and mutual friends and different things that were going on, [so] I made it my business to know what was going on, on her page.” Tr. 140. However, she could not recall with specificity items that Respondent had posted between January 2013 and March 2013. Tr. 140. Ms. Ashcraft testified that when she would review various postings from Respondent’s horse rescue, it appeared that there was a daily status update. Ms. Ashcraft acknowledged that she had no direct knowledge of Respondent’s daily activities or how she ran her own horse rescue, but only relied on Facebook posts – to which she admitted no knowledge of who actually posted them – to determine what Respondent did. Tr. 141-42, 168-69. 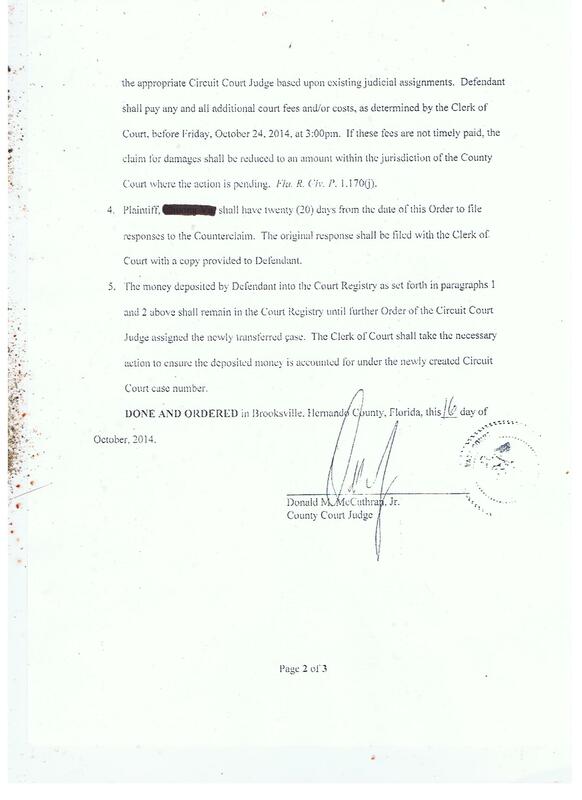 She testified that she saw Respondent and Respondent’s husband at the Wagon Wheel Feed Store once during the summer of 2013, once on an unspecified date at a dollar store in Brooksville, Florida, and on other sporadic occasions as she drove past Respondent’s property or at other supply stores, amounting to between 6 and 12 observations per year. Tr. 146-47, 153-54, 170. She testified that she once observed Respondent walk about “an acre”12 12 An “acre” is a squared measure, representing 43,560 square feet, often referred to as about the size of a football field, which without the end-zone is approximately 48,000 square feet (160 feet x 300 feet). Ms. Ashcraft could not provide an estimate of the distance in feet that she observed Respondent walk, but, in response to my questioning, she conceded that it might have been 200 or 300 feet but she could not recall with certainty. Tr. 174-75. on her neighbor’s property and walk up “three or four” steps on another neighbor’s property. Tr. 171. Ms. Ashcraft did not specify when she made these observations, but stated that one of the observations was “back in November.” She did not specify which year. Tr. 175. 22 Ms. Ashcraft further testified that Ohana Rescue has “attacked” her rescue for years through false allegations to various government offices, but that she did not have enough knowledge of Respondent to judge whether she liked Respondent personally. Tr. 157-58. She acknowledged, however, that she tries to avoid Respondent when possible. Tr. 161. The animosity between Ms. Ashcraft and Respondent is apparent and I give Ms. Ashcraft’s testimony less weight due to her lack of objectivity. 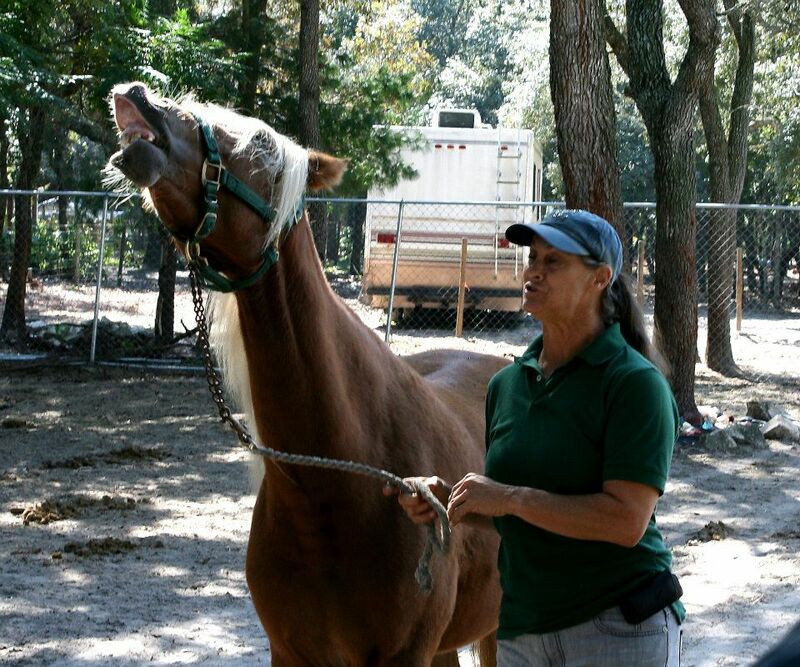 Respondent testified at hearing that she assists in feeding the horses at her rescue in the morning at 8:00 a.m. Tr. 356, 359. 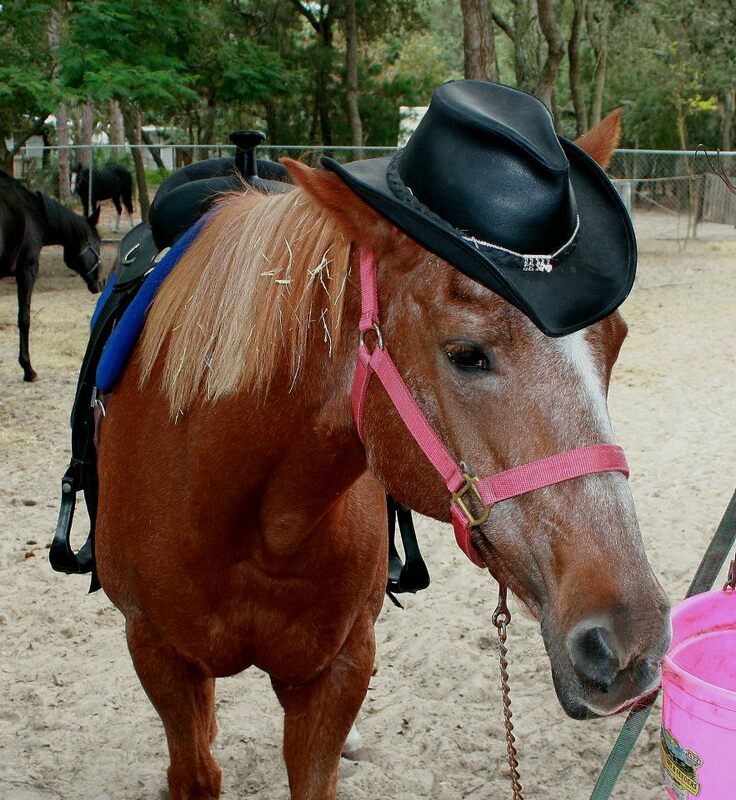 From September to October 2013, during which time she changed the feeding regimen, each horse was given a five-pound bucket of mixed ingredients. Tr. 361. Prior to September 2013, and after October 2013, the feeding regimen consisted of providing a scoop of feed to each horse, with each scoop weighing two pounds. Tr. 360-62. Respondent testified that her husband puts the grain on the back of the golf cart, and then Respondent and her husband drive to the horses and scoop the grain from the bag and place it into each horse’s bucket. Tr. 363. She also testified that her husband provides hay to the horses in the evening. Tr. 365. 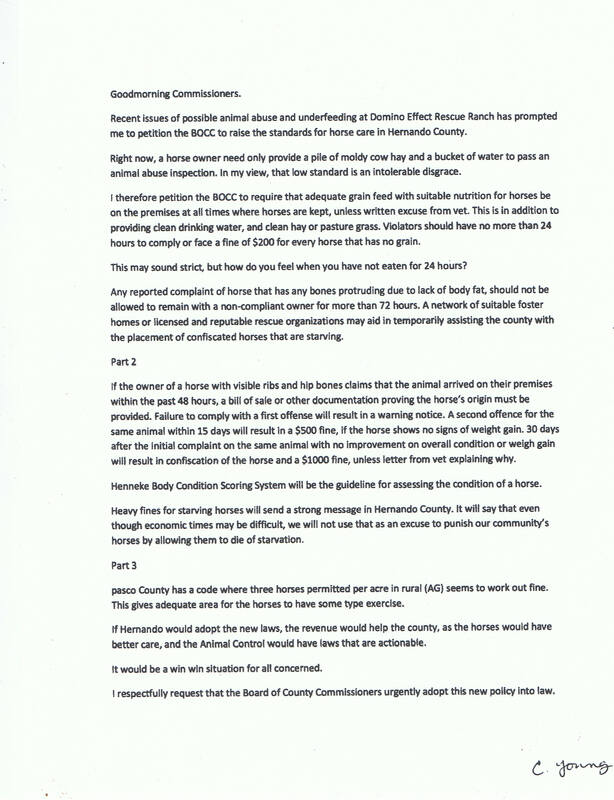 Respondent stated that she or her husband will provide medication to the horses, if needed, which consists of dissolving the medication in an inch of water, then dumping that water over the horse’s hay. She has also given injections to horses in the past, but the period is uncertain. Tr. 367. With regard to cleaning out the horses’ stalls, Respondent testified that volunteers or her husband usually do it. She asserted that she is unable to lift shovels of manure and put it in the golf cart or truck and so does not physically assist in cleaning stalls. Tr. 369. Respondent further testified that both she and her husband will pick-up horses in need of rescue, but she has never picked one up alone. Tr. 370-71. 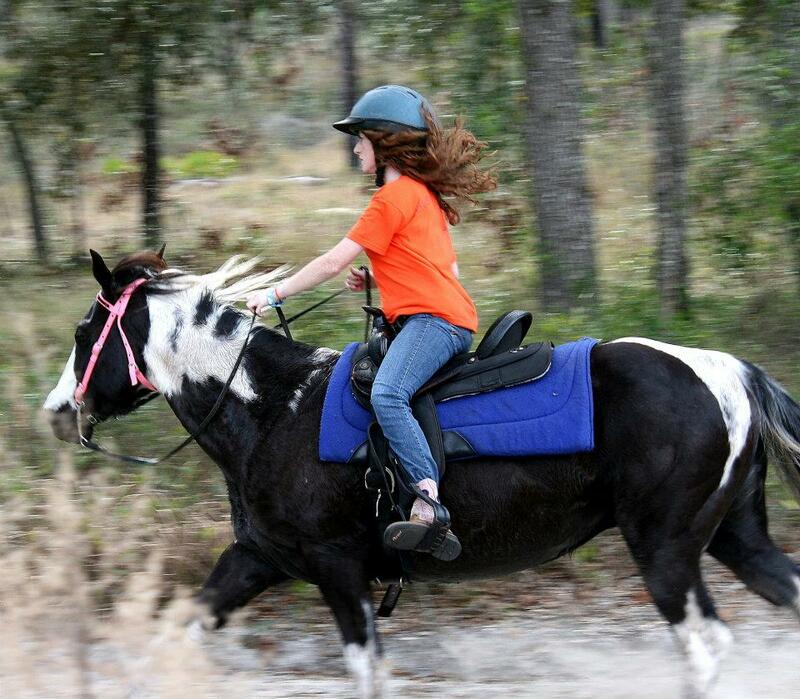 She acknowledged posting photographs online as well as posting stories or updates about the horse rescue online. Tr. 371-73. Respondent initially denied that she was responsible for soliciting donations for the horse rescue, but she acknowledged that in state non-profit registration forms she listed herself as being the individual responsible for solicitations. Tr. 374; SSA Ex. 20 at 3. 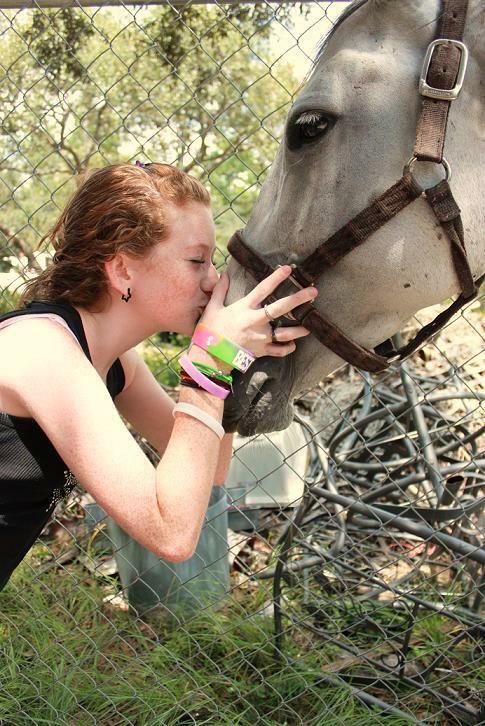 She testified that the horse rescue uses online fundraising through Facebook (“Fundrazr”) to solicit and receive donations, but limited her role as only establishing one or two such fundraisers. Her husband or volunteers have initiated other fundraisers. Tr. 380-81. Respondent further testified that her husband, son, and son’s friend all have access to the “Ohana Rescue Carrie Young” Facebook page and have all updated it on numerous occasions. Tr. 383-84. 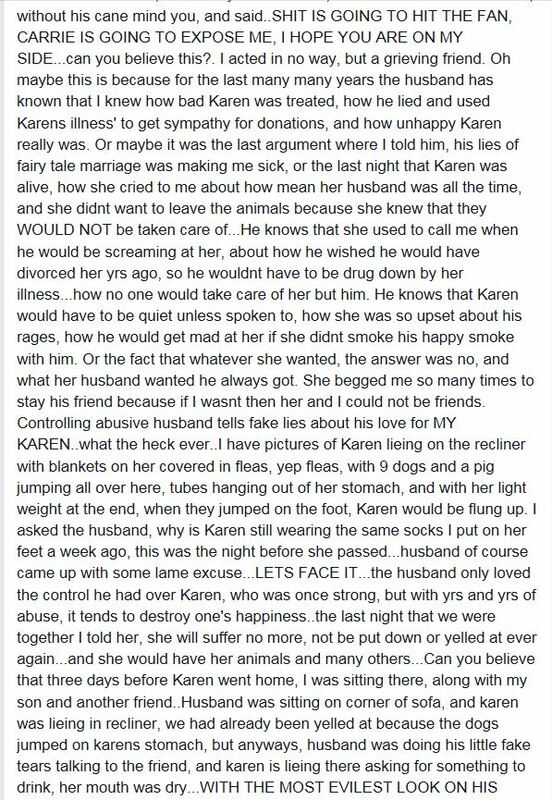 She denied making a post on Facebook during July 2013 that referred to constant work and “working myself sick” to run the horse rescue and suggested that her husband was more likely to have written that particular post. Tr. 410-11. 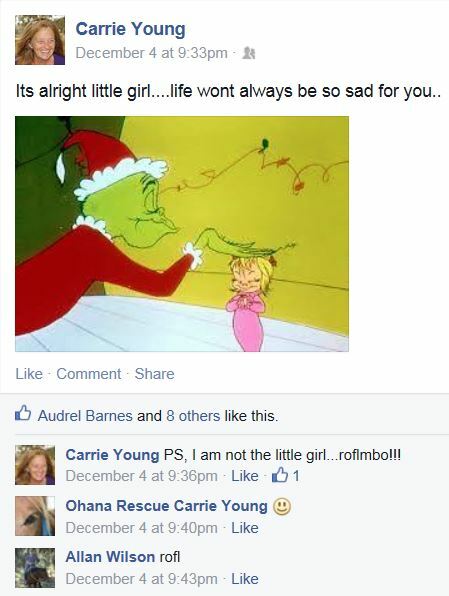 Respondent clarified that the Facebook name “Ohana Rescue Carrie Young” includes her name because “there’s another rescue by the name Ohana that was getting threatening emails, things posted on the [Facebook] wall. So, [Respondent’s] name is put on there specifically to differentiate the other rescue.” Tr. 412. 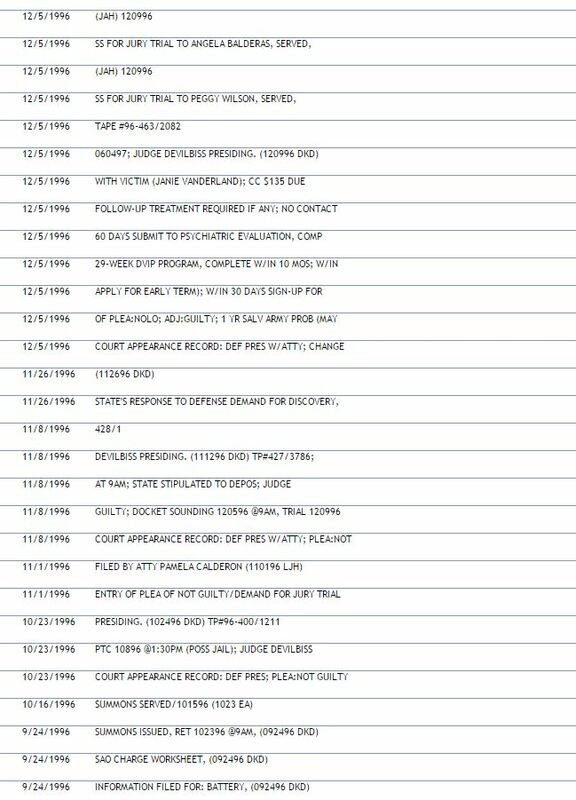 23 Respondent testified that some days she wakes without pain but is exhausted; other days she wakes with pain; and she lays down a lot. She asserted she does not have a happy life. Finally, she testified that she has good days and bad, and asserted that the videos posted of her “cowboy surfing” and riding a horse were from her birthday, a good day. Tr. 413. Respondent questions, why if she was trying to hide the fact that she had a horse rescue, there are videos, photos, and posts on her Facebook page. Tr. 414; R. Br. 2. Respondent testified in her case-in-chief that work at the horse rescue, including the website and taxes, is done by volunteers. She asserted that her pain is obvious in her face in the pictures in evidence. Tr. 418. c. Analysis The SSA IG alleges that in January, February, and March 2013, during the processing of her CDR, Respondent made six false statements or misrepresentations of material fact to SSA or agents of SSA on various forms and during a telephone conversation. SSA proposes a $5,000 CMP for each alleged offense. The SSA IG bears the burden to show by a preponderance of the evidence for each alleged offense that: (i.) Petitioner made or caused to be made a statement or representation of fact; (ii.) The statement or representation was a fact material to the determination of Petitioner’s continuing right to DIB; (iii.) The statement or representation was false or misleading; (iv.) Petitioner made the statement or representation – (a.) Knowing that it was false or misleading, or (b.) She should have known it was false or misleading, or (c.) She made the false or misleading statement with knowing disregard for the truth. Act § 1129(a)(1); 20 C.F.R. § 498.102(a). A “material fact” is one that the Commissioner may consider in evaluating whether an applicant is entitled to benefits or payments under the Act. Act § 1129(a)(2); 20 C.F.R. § 498.101. There is no requirement that the Commissioner actually considered a fact or representation in making a determination about benefit entitlement, the Act and implementing regulations merely require that the fact or representation be one that Commissioner may consider for it to be _______________ 24 “material.” “Representation” is not specifically defined in the Act or regulations.13 13 The SSA IG offered a definition for “misrepresentation” but without citation to source or authority. SSA Br. at 3. Therefore, I construe “representation” as used in the Act and regulation to be “[a] presentation of fact – either by words or by conduct – made to induce someone to act.” Black’s Law Dictionary 1327 (8th ed. 2004). Misrepresentation and false representation are treated as synonyms in this decision. The SSA IG has satisfied the elements for three of the six alleged offenses and Respondent has not met her burden to rebut the SSA evidence or to establish an affirmative defense. The SSA IG failed to meet its burden for three of the alleged offenses. The three false or misleading statements the SSA IG has proven are discussed first. i. 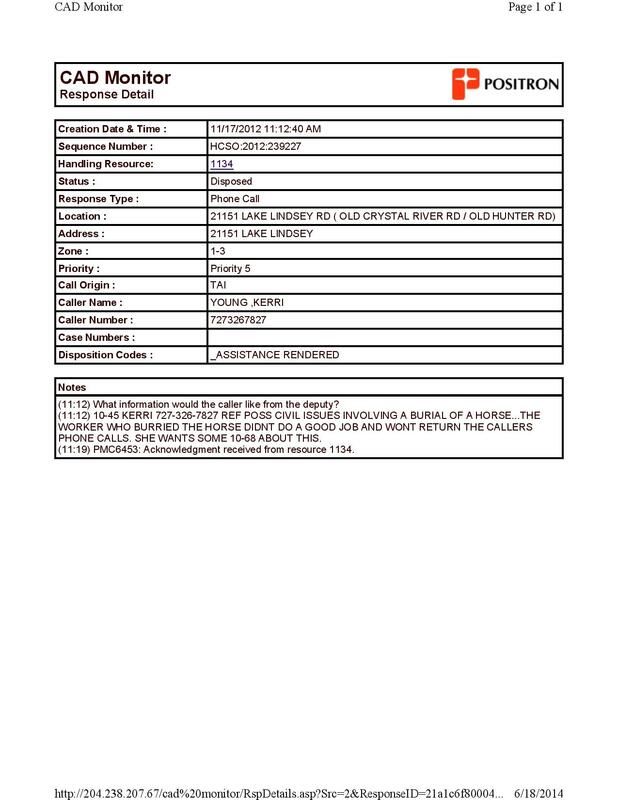 False statement on Function Report –Adult, SSA-3373BK, Item 8, on February 4, 2013, that Respondent did not take care of any pets or other animals. The SSA IG alleges that Respondent falsely reported on February 4, 2013, that she did not take care of pets or other animals. SSA Ex. 5 at 2. The SSA needs to prove by a preponderance of the evidence, that Respondent did care for pets or other animals, that Respondent knew or should have known that she took care of animals, and that the fact she took care of animals was a material fact that could be considered in assessing her continued entitlement to DIB. There is substantial, unrefuted evidence, certainly more than a preponderance, that at the time Respondent asserted to SSA that she did not take care of any animals, she and her husband ran a horse rescue on their property. Tr. 355-56. She acknowledged during the hearing that she participated in feeding the horses daily, and routinely provided them with medication. Tr. 356, 367. She also assisted in grooming them and buying their food. Tr. 184; SSA Ex. 10 at 2; SSA Ex. 40 (CD 2 of 2). The feeding, grooming, medicating, and other routine functions to assist in providing a healthy life for an animal constitutes “taking care of” that animal under any reasonable and ordinary meaning of that phrase. 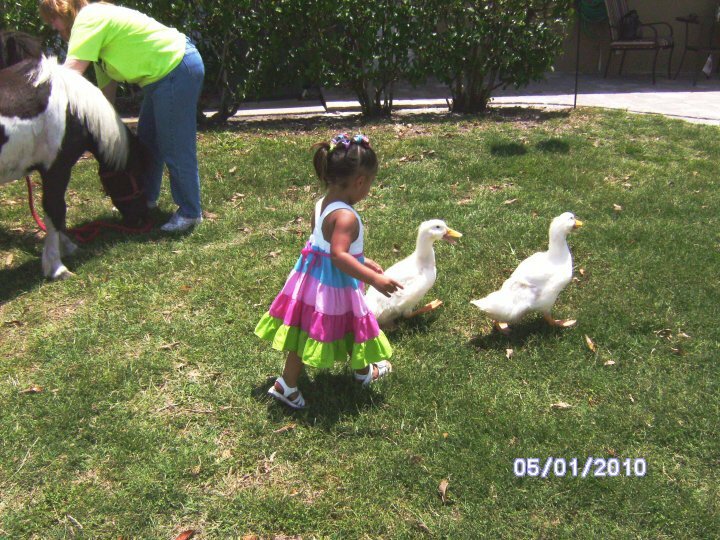 Therefore, the evidence in this case shows that Respondent more likely than not cared for animals in February 2013, she knew that she did so, and she falsely stated that she did not when she completed the SSA-3373-BK on February 4, 2013. Respondent’s care for animals, including the ability to feed, medicate, and groom another living being, may certainly have been facts considered by the Commissioner in reaching a 25 determination about whether Respondent was entitled to ongoing DIB. The false statement was made on the Function Report – Adult, that Respondent completed as part of the CDR process. Examiner Bane testified that the answers about a person’s ADLs are considered in conjunction with medical records to determine whether an applicant for benefits or continuing benefits is entitled to DIB. Tr. 229, 343. I conclude that the fact that Respondent fed and otherwise provided care to horses at her horse rescue was a material fact under the Act and regulations. By checking “no” as the response to the question of whether or not she cared for pets or other animals, Respondent made a false statement which she knew to be false. Respondent points-out that in response to question 9 on the SSA-3373-BK which asks “[d]oes anyone help you care for other people or animals” she checked yes and wrote that her “son will feed.” SSA Ex. 5 at 2. Respondent asserts that her inconsistent responses show that she simply answered the questions as she understood them. R. Br. at 6-7. Respondent’s inconsistent answers certainly should have provoked a request for clarification from SSA. 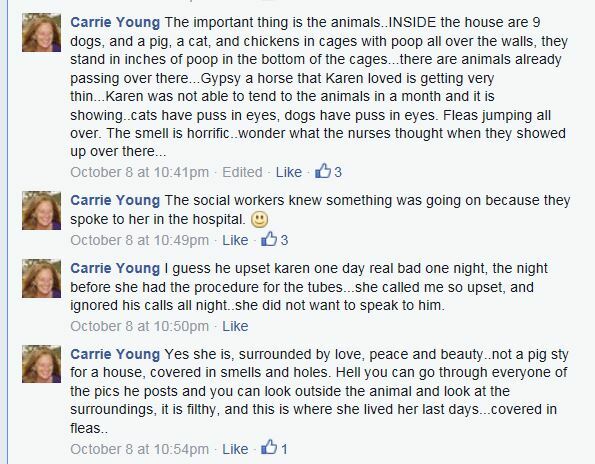 But that fact does not absolve Respondent for her clearly untruthful response that she did not care for animals. Based on the documents that Respondent has filed in this case, her interaction with counsel during the hearing, her examination of witnesses during the hearing, and her comments on her behalf during the hearing, it is apparent that she is above average intelligence. Respondent also has above average ability to understand these proceedings and the CDR process. Therefore, I find it not credible that she did not understand the question on the SSA-3373-BK – “[d]o you take care of pets or other animals?” SSA Ex. 5 at 2. There is no evidence of a mental impairment of such magnitude that may have caused Respondent to be unable to remember that she had horses at her house or that she helped care for those horses at the time she completed the form. Accordingly, I conclude that Respondent falsely stated on the SSA-3373-BK, Function Report –Adult, on February 24, 2013, that she did not take care of pets or other animals, she knew that her statement was false, and the fact is material to a determination of her continuing entitlement to DIB. The false statement is a basis for the imposition of a CMP. ii. False statement to Examiner Bane during a telephone interview on January 29, 2013, that Respondent did not take care of children or animals. 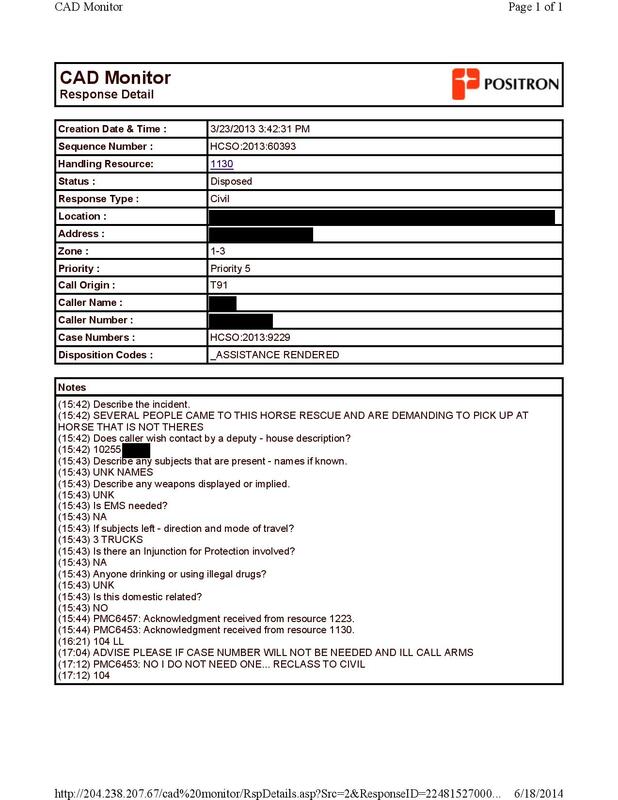 The SSA IG alleges that in response to a question of DDS Examiner Bane during a telephone interview on January 29, 2013, Respondent falsely state that she did not take care of any animals. SSA Ex. 15 at 2. In order to prove this allegation, the SSA IG must show by a preponderance of the evidence that Respondent took care of animals on about January 29, 2013, when she made her statement to Examiner Bane denying that she took care of animals. The SSA IG must also show that Respondent knew her statement was 26 false or misleading. The SSA IG must also show that the fact was material. Examiner Bane testified at hearing that he interviewed Respondent by telephone on January 29, 2013, and asked her whether she took care of any animals. Tr. 298. She told him that she did not. Tr. 298; SSA Ex. 39 at 2. I find Examiner Bane’s testimony to be credible and entitled to weight. Respondent does not directly dispute Examiner Bane’s testimony. The preponderance of the evidence is that Respondent stated to Examiner Bane that she did not take care of any animals. However, the preponderance of the evidence shows that statement was false as the evidence shows that Respondent and her husband ran a horse rescue on their property. Tr. 355-56. Respondent acknowledged during the hearing that she assisted with feeding the horses daily, and routinely provided them with medication. Tr. 356. 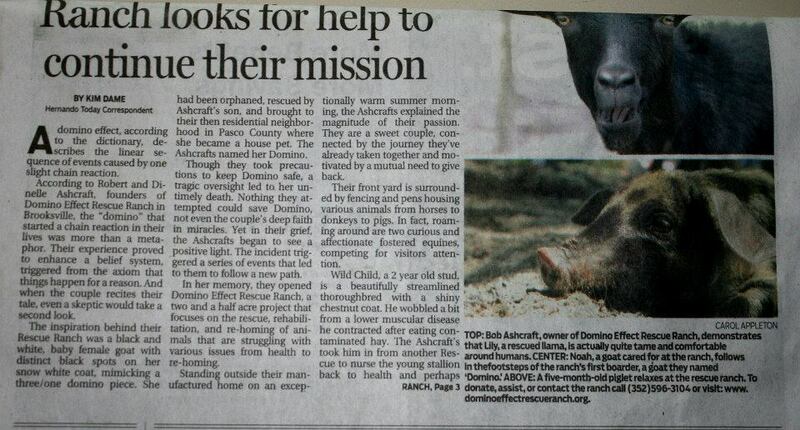 She also assisted in grooming them and buying their food. Tr. 184;SSA Ex. 40 (Disc 2 of 2). The feeding, grooming, medicating, and other routine functions to assist in providing a healthy life for an animal constitutes “taking care of” that animal under any reasonable and ordinary meaning of that phrase. Therefore, the evidence in this case shows that Respondent more likely than not cared for animals and falsely stated that she did not. A person’s ADLs are considered in conjunction with medical records to determine whether an applicant for benefits or continuing benefits is entitled to DIB. Tr. 229, 343. Therefore, I conclude that evidence of Respondent’s ADLs was material to a determination of her continuing entitlement to DIB. 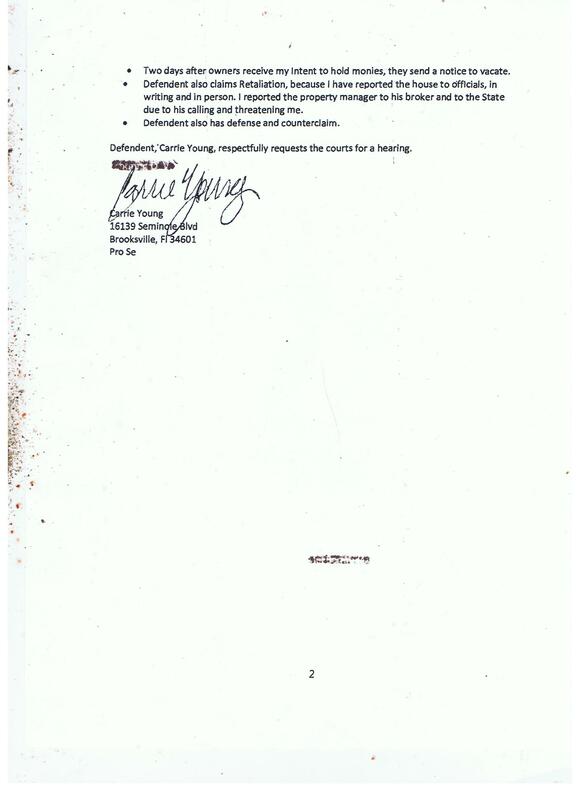 Accordingly, I conclude that Respondent falsely stated during a telephone interview with Examiner Bane on January 29, 2013, that she did not take care of pets or other animals, she knew that her statement was false or misleading, and the fact was material to a determination of her continuing entitlement to DIB. The false or misleading statement is a basis for the imposition of a CMP. iii. False representation on SSA-3373-BK on February 4, 2013, that Respondent’s daily activities were limited to lying around, and if her fibromyalgia was not flaring up, she could read, use the computer, or go for a ride. The SSA IG alleges that Respondent falsely represented her daily activities as being very limited when she completed the SSA-3373-BK on February 4, 2013. SSA Ex. 15, at 1. _______________ 27 Question 6 on the SSA-3373-BK asked: “Describe what you do from the time you wake up until going to bed.”14 14 Despite the breadth of this question, the form provides only four blank lines for a response. There is no indication that the response should be continued in the “Remarks” section or that the respondent should attach sheets to complete the response. The clear implication is that whatever description of activities is provided should be summarized in the small space provided and no detailed description is desired. Listing all ADLs, even for one severely disabled, would require far more than four blank lines considering such activities as waking, toileting, brushing teeth and hair, washing or bathing, other personal hygiene, eating meals, reading, watching television, talking on the phone, surfing the web, emailing, texting, napping, and similar activities that even many of the severely disabled undertake with and without assistance. Nevertheless, this does not excuse Respondent’s failure to mention her activities related to the horse rescue, which was admittedly, a significant part of Respondent’s life. R. Br. at 1. There is no dispute that Respondent wrote in response: Lay around, try to walk around if dry eyes from fybermalgia [sic] aren’t bothering me, I can read. Play game on computer if they don’t hurt. Maybe go for ride in car. SSA Ex. 5 at 2. To prove that Respondent’s response was a false or misleading representation of her ADLs, the SSA IG must show by a preponderance of the evidence that Respondent engaged in more activities on a daily basis than she stated and that her false or misleading representation was as to a material fact or facts. A person’s ADLs are considered in conjunction with medical records to determine whether an applicant for benefits or continuing benefits is entitled to DIB. Tr. 229, 343. Therefore, I conclude that evidence of Respondent’s ADLs was material to a determination of her continuing entitlement to DIB. The evidence before me is consistent with the ADL’s listed in response to Question 6 on the SSA-3373-BK. The evidence shows that Respondent was lying down during the day when investigators arrived to interview her at her home on March 6, 2013. SA Miller testified on cross-examination that Respondent’s husband first had to go inside the house to get Respondent because she was lying down in bed. Tr. 115-16, 215, 223. The video captured by SA Miller when she first met Respondent shows that Respondent was recently awakened judging from her appearance, including the state of her hair and eyes. SSA Ex. 40 (CD 1 of 2, Runtime 11:51-19:52). Respondent admitted posting items on Facebook and generally using the computer. Tr. 371-73. The video establishes that she 28 traveled by some means to Publix to shop for groceries, on one occasion by herself and on another with an assistant. SSA Ex. 40 (CD 1 of 2). The evidence also shows that Respondent traveled to the feed store. Tr. 188. The problem for Respondent, however, is that by limiting her list of ADLs she made a false representation as to the true scope and nature of her ADLs. For example, Respondent did not state that she went to stores, such as the grocery store and the feed store, to shop, which the evidence shows she clearly did. Respondent did not state she assisted with feeding the horses on a regular basis and engaged in other activities related to the horse rescue she and her husband operated. Tr. 356, 367. Respondent certainly knew of the activities she was doing on her horse farm on a daily basis, and she has never denied doing those tasks. 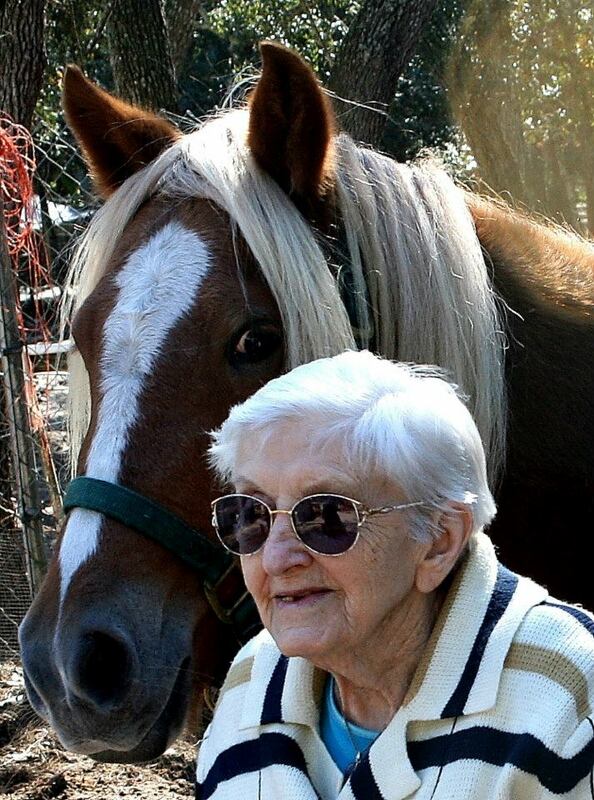 She has disputed whether she performs some of the more physically demanding activities related to running a horse rescue, such as training and handling horses, or cleaning stalls but she concedes to feeding horses daily and routinely providing medication to them if needed. Tr. 356, 367; SSA Ex. 40 (CD 2 of 2). A preponderance of the evidence shows that the absence of any activities related to the horse rescue from Respondent’s description of her daily activities was an incomplete and misleading representation of her true daily activities and she knew it. I conclude the SSA IG has established by a preponderance of the evidence that Respondent misrepresented material facts about her ADLs on February 4, 2013 in responding to Question 10 of the SSA-3373-BK. Respondent knew or should have known that her representation of her ADLs was false or misleading. Respondent’s misrepresentation was as to material facts that may have been considered in determining her continuing eligibility for DIB. Accordingly, there is a basis for the imposition of a CMP. iv. The SSA IG failed to make a prima facie showing of a basis for a CMP based on Respondent’s subjective complaints that she had difficulty walking, especially on uneven ground; that she was depressed, did not have a normal life, and had problems being around people; that she forgot to go shopping because her mind and memory were affected, and that she was constantly tired. The SSA IG alleges that Respondent made the following false or misleading statements or representations in connection with her CDR: she had difficulty walking, especially on uneven ground; she was depressed, did not have a normal life, and had problems being around people; she forgot to go shopping because her mind and memory were affected, and she was constantly tired. SSA Ex. 15. The SSA IG bears the burden of showing that each of Respondent’s statements or representations was false or misleading by a preponderance of the evidence. The SSA IG must show that it was more likely than not that Respondent: had no difficulty walking, even on uneven ground; was not depressed; _______________ 29 tired.had a normal life; had no problems being around other people; that her mind and memory were not affected; that she did not forget to go shopping; and that she was not constantly 15 15 The SSA IG must also show as an element that each of the allegedly false or misleading statements or representations of fact were material. Because I conclude that the SSA IG has failed to meet its burden to establish that the statements or representations were false or misleading, I do not discuss the materiality of these facts related to her ADLs. I conclude that the SSA IG has failed to satisfy his burden to show that these statements and representations were false or misleading. The SSA IG argument is that I should infer that the statements and representations are false or misleading because they appear to be inconsistent with the evidence of Respondent’s activities presented by the SSA IG and the fact that Respondent was involved in the operation of a horse rescue. Counsel for the SSA IG and I discussed at length my concerns about the SSA IG’s theory and the factual issues that needed to be carefully addressed. SSA Br. at 3, 16-19; Tr. 327-34; 384-85; 388-92; 396-406; 427-30. However, when the totality of the SSA IGs evidence is considered, one finds that it is very limited. The SSA IG evidence includes limited observations of Respondent, specifically a one-time visit by agents to Respondent’s home and horse facility and videos of discrete instances of the Respondent in a grocery store and engaged in activities at her home and horse rescue. While some of the activities depicted in the videos are inconsistent with Respondent’s subjective complaints of pain and limitation, Respondent is not charged with asserting that she never did any of the activities reflected. Rather, Respondent statements when fairly interpreted are that sometimes activities are prevented due to her symptoms of pain, fatigue, limited motion, and feelings of depression due to the impairments for which she was originally adjudicated to be disabled, that is, unable to sustain even sedentary work 40 hours per week. The SSA IG also relies upon screen shots taken from the internet that reflect discrete instances in time, some long before and others long after the period of the CDR, when Respondent engaged in some activity that she has not asserted she was unable to do due to her impairments. The SSA IG also attempts to rely upon the testimony of another horse rescue operator who admitted to never having visited Respondent’s facility, admitted to having no knowledge of how Respondent and her husband ran their facility, and who showed clear animus to Respondent. The SSA IG presented no medical evidence contemporaneous to the CDR from which it may be determined whether or not any of the impairments listed by Respondent have any medical basis or whether they are exaggerated. But there is no _______________ 30 dispute that she was adjudicated to be disabled due to the same impairments of which she continues to complain. The individual alleged false or misleading statements and representations require some limited discussion. The SSA IG alleges Respondent falsely stated that she “had difficulty walking, especially on uneven pavement.” SSA Ex. 15, at 1. In order to prove the allegation, the SSA IG must show by a preponderance of the evidence that Respondent did not have difficulty walking on uneven surfaces. Respondent points out that her actual statement to the SSA was that she had difficulty walking, “especially on uneven ground.” SSA Ex. 1 at 11 (emphasis added). Respondent has offered a definition of “pavement” as being “the hard surface of a road or street” and argued “pavement” is different than “ground.” R. Br. at 5. The distinction between “pavement” and “ground” is not material to the outcome of this case. Rather, the material elements of Respondent’s statement are that she had “difficulty” walking, especially when on a surface that was “uneven.”16 16 This misstatement is one of several instances in this case where the SSA IG has inaccurately recounted Respondent’s statements. However, the discrepancy between the charge and what Respondent actually reported does not affect the analysis. The evidence presented shows that Respondent was able to walk prior to and during the CDR and that she was, at times, able to walk without apparent difficulty on flat, even surfaces. However, the evidence does not establish that Respondent was able to walk on uneven surfaces without difficulty. Surveillance video footage of Respondent at a Publix Supermarket on January 6 and January 21, 2013, shows her standing for a few minutes without assistance, then walking out of the store without assistance or any apparent difficulty. SSA Ex. 40 (CD 1 of 2, Runtime 00:00-07:30). In the video, Respondent does not exhibit a limp, hesitation, or other outward display of pain or other difficulty while walking away from the checkout line. The floor of the supermarket appears flat and even. Therefore, this evidence shows that on January 6 and 21, 2013, Respondent was able stand and walk for several minutes without any outward signs of difficulty on a level and smooth surface. The evidence does not depict her ability to walk on uneven ground, nor does it show her ability to walk longer than a few steps within a few minutes. The video footage that SA Miller captured during her March 6, 2013 interview with Respondent shows Respondent walking on a slightly sloped grassy area. SSA Ex. 40 (CD 1 of 2); Tr. 68-69. SA Miller testified that the area was “uneven terrain,” but there are no clear undulations in the grass; rather, there appears to be a gradual, low-grade slope in the grass. The video is shaky, without audio, and it is difficult to discern whether 31 the video footage obtained by SA Miller and the related testimony at hearing about the interview does not show by a preponderance of the evidence that Respondent did that task with ease or otherwise without difficulty. Respondent had any limp or other noticeable difficulty walking. Investigator Montgomery, who was also present for the interview, testified that he did not notice Respondent having any difficulty walking but the video shows him walking beside or in front of Respondent, at least on the trip from the picnic table to the horses. Tr. 219. Respondent does not walk quickly in the video or ahead of the investigators as one would expect if she was leading them to the horses. Investigator Montgomery, testified that the three of them were even with each other while walking to the horses, but there is no evidence as to how quickly, or with what level of ease or difficulty Respondent walked. Tr. 69-70. As already noted, Investigator Montgomery’s testimony regarding the positions of the three as they walked from the picnic table to the horses is misleading. The video shows him to Respondent’s left and even with her only a few seconds the remainder of the time he was in front of her. The video also establishes that SA Miller followed Respondent as the camera perspective throughout the walk from the picnic table to the horses is from Respondent’s rear. Due to its poor quality, the video does not clearly show whether Respondent was in pain or had other difficulty while walking, such as grimacing, groaning, or similar signs of pain. Investigator Montgomery failed to elaborate upon how he concluded that Respondent was walking without difficulty, or how he was able to conclude that his brief observation of Respondent sufficiently demonstrated her ability to walk without difficulty at other times. Tr. 219. 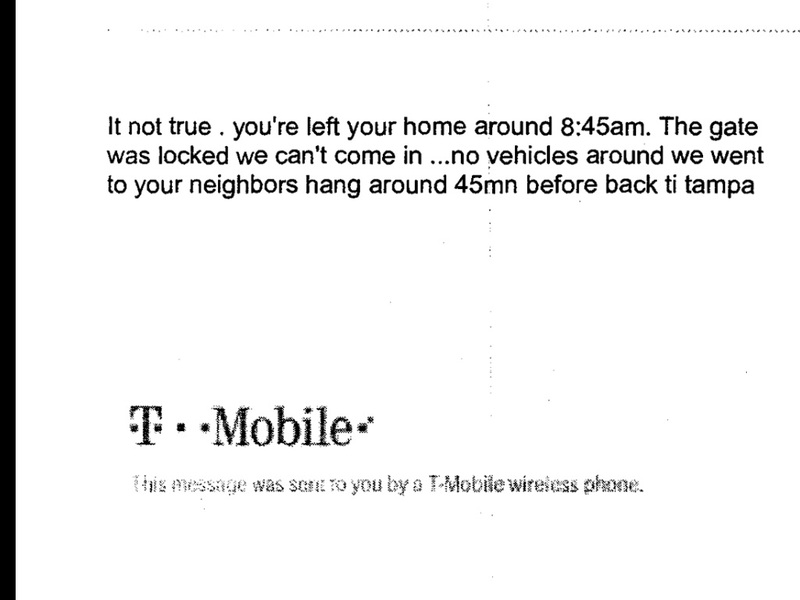 Therefore, while the video shows that Respondent could do a particular task for a brief period of time, i.e., walking approximately 150 feet on a slightly sloping but relatively even surface – Some social media photographs offered as evidence include imbedded date stamps of January 12 and 13, 2013, and are during the period when Respondent made her statements during the period of the CDR from approximately January through March 2013. SSA Ex. 40 (CD 2 of 2). One photograph shows Respondent standing and smiling near a horse, but it does not show her walking or show her on “uneven” terrain – the ground, while grassy, appears fairly flat. A second photograph shows Respondent walking, midstride, and leading the same horse on the same flat, grassy field. The third photograph shows Respondent seated cross-legged on the ground, smoking next to the horse. It is not clear exactly how many minutes or hours apart these three photographs were taken, but Respondent is wearing the same clothes and is near the same horse, which indicates they were taken within a short time of each other. However, these photographs depict a moment in time, likely a brief period in one day, but do not provide reliable insight as to the ease or difficulty with which Respondent was able to perform the tasks shown, whether this was sustained activity, or the frequency with which Respondent repeated these activities. Images of Respondent standing near a horse, leading a horse on flat ground, or sitting next to a horse show by a preponderance of the evidence that Respondent was able to engage in that activity at a particular time on a particular day, but those images do not prove that she could do so without difficulty. _______________ 32 Respondent also testified that she routinely takes pain medication that allows her to engage in more activities. I cannot draw an inference from the photographs that they reflect Respondent’s usual or regular level of activity or even that she was engaging in the activities depicted without pain or limitation. The photographs do not establish that Respondent can walk on uneven surfaces without pain, limitation, or other difficulty. Tr. 412-13. Despite the SSA IG’s position throughout this case, the mere ability to do an activity does not equate to the ability to do that activity with ease, without pain, limitation, or without difficulty. Absent evidence that demonstrates Respondent was able to walk on uneven surfaces without difficulty, the SSA IG does meet its burden with regard to this particular statement.17 17 I cautioned the SSA IG during the hearing in this case that the subjective nature of the alleged false statements or representations of Respondent made the SSA IG’s case significantly more difficult. Tr. 327-34; 384-85; 388-92; 396-406; 427-30. Had Respondent stated that she cannot walk or that she cannot walk without assistance, the evidence that the SSA IG presented in this case would have easily proven the falsity of those statements. But the fact that Respondent’s statements were subjective posed a serious evidentiary obstacle that the SSA IG did not overcome in this case. As I cautioned counsel at the hearing, it is difficult to show it more likely than not that an individual does not have a subjective feeling that pain is worse at one time or another or with certain activities, or that he or she feels unstable while walking, or uncomfortable in certain situations. The SSA IG is encouraged to more thoroughly consider what evidence is necessary to disprove subjective complaints, including appropriate medical evidence that may prove or completely disprove the existence of an underlying condition or impairment. The SSA IG has not offered any definition or standard that I may apply to determine the existence or non-existence of “difficulty.” The SSA IG does not attempt to quantify or define “difficulty” in the context of a CDR or standard by which difficulty may be measured. In this case, as a practical matter, the SSA IG’s failure to prove by a preponderance of the evidence the absence of difficulty and other subjective complaints prevents the SSA IG from making a prima facie showing. With the exception of the evidence already discussed, the cumulative evidence that the SSA IG points to in this case is worthy of only limited weight because nearly all of it is either undated or was obtained outside of any period of time that is relevant to Respondent’s statements in January, February, and March 2013, related to the CDR. Furthermore, the objective evidence that the SSA IG offers is so limited in time and focus that it is of minimal or no utility in attempting to show that Respondent’s subjective 33 complaints were false or misleading and that she knew them to be false or misleading. General assertions from witnesses that they did not observe Respondent with an apparent physical limitation do little to show whether she had difficulty walking on uneven ground. Dr. Miller testified that he, in fact, believed that Respondent may have had some type of physical disability based on her apprehension in handling horses while he was around. Tr. 84. Therefore, while I recognize that the cumulative evidence shows Respondent’s ability to walk before and after she made the February 4, 2013 statement, and that untrained individuals agreed that she did not exhibit outward signs of physical disability, I cannot find that the evidence shows it was more likely that not that she was able to walk on uneven ground without difficulty at the time relevant to the CDR and Respondent’s statements made during that time. The SSA IG alleged that Respondent made a false statement or representation when she stated that she was depressed, did not have a normal life, and had problems being around other people. SSA Ex. 15 at 2. To prove this allegation, the SSA IG must show by a preponderance of the evidence that Respondent did not feel she was depressed; did not feel she did not have a normal life; and did not feel she had a problem being around people. The actual statements in Respondent’s reconsideration request letter she sent to SSA on March 25, 2013, read: “I am depressed because I cannot live a normal life . . . . I have problems being around people anymore.” SSA Ex. 8, at 2. The SSA IG separated Respondent’s first sentence into two separate statements, changing “I am depressed because I cannot live a normal life,” to “you stated that you were depressed, [and] did not have a normal life”). The SSA IG evidence does not show that either version is false or misleading. The SSA IG did not offer any evidence, beyond mere speculation, that Respondent was not depressed, had a “normal life,” or did not have problems being around people. There is evidence that shows Respondent happy at specific times and that she could tolerate being around people at times. But there is no evidence – direct or circumstantial – that shows Respondent considered her life to be normal. There is no evidence that Respondent was not uncomfortable being around other people. Indeed Respondent testified that she did not have a “happy life” (Tr. 413), and the SSA IG has not disputed that Respondent suffers from various medical conditions, including fibromyalgia and chronic fatigue, which, on its face, is consistent with Respondent’s claim that she had feelings of depression because she did not have a normal life as a result of her medical conditions. Moreover, a serious problem with this allegation is that the SSA IG has not identified one specific statement of Respondent that was false or misleading. As stated above, based on the false statement that the SSA IG alleged Respondent made, the SSA IG would have to show that Respondent falsely stated or misrepresented that: (1) she was depressed; (2) she did not have a normal life; and (3) she had problems being around other people. SSA Ex. 15, at 2. The SSA IG has offered no evidence about Respondent’s mental health or psychiatric diagnoses. The SSA IG has offered no evidence of what a “normal life” is or what Respondent would have considered a “normal _______________ 34 life” to be, which leaves no standard by which any evidence can be evaluated.18 18 Counsel for the SSA IG highlighted, perhaps inadvertently, the problem with regard to this assertion when she argued that if Respondent was depressed, “or did not have a normal life, whatever that entails, these factors did not impinge upon her ability to continue running the rescue operation with her husband . . . .” SSA Br. at 15 (emphasis added). If counsel for the SSA IG concedes her ignorance as to what constitutes a “normal life,” it is baffling that she can nevertheless argue that Respondent lied about not having a normal life. Finally, the SSA IG has offered no evidence or argument that defines or provides a standard to judge whether one has “problems” being around other people or the absence of such “problems” in Respondent’s case. Indeed, the SSA IG conceded in its post-hearing brief that he is “unable to prove [Respondent’s] assertion that she has problems being around people.” SSA Br. at 15. Therefore, I conclude that the SSA IG has not met its burden to prove that it is more likely than not that Respondent had had no feelings of depression, no feelings that her life was not normal, and no feelings she had problems being around other people. The SSA IG also alleged that Respondent made a false statement or representation as follows: “[you] stated that you forgot to go shopping because your mind and memory were affected by your illness and that you were constantly tired.” SSA Ex. 15, at 2. Based on its allegation, the SSA IG has the burden to show by a preponderance of the evidence that Respondent did not forget to go shopping; her mind and memory were not affected by her illness; and she was not constantly tired. Before considering the specific charge of the SSA IG, I first acknowledge that Respondent correctly points out the SSA IG again incorrectly read Respondent’s actual statements. The actual statements in Respondent’s reconsideration request that she sent to SSA on March 25, 2013, that the SSA IG incorrectly paraphrased are: My memory seems to be effected more, most likely because I am constantly tired . . . . * * * * I have issues walking for a long period of time, so forget going shopping. 35 SSA Ex. 8, at 2. The two statements are not even in the same paragraph. Respondent did not claim that she is too forgetful to go shopping, as the SSA IG alleges. SSA Ex. 15 at 2. Rather, she stated that she does not go shopping because she has “issues walking for a long-period of time.” SSA Ex. 8 at 2. The SSA IG’s allegation that Respondent falsely stated or misrepresented that she “forgot to go shopping because [her] mind and memory were affected by [her] illness” is incorrect and inconsistent with the SSA IG’s evidence and the charge must fail. No evidence supports that Respondent actually made the statement as alleged. The SSA IG has also failed to present any competent evidence to prove the charge it did allege. The evidence does not show Respondent never forget to go shopping on some occasion, either due to her mind and memory or being constantly tired. The evidence does not show that Respondent’s mind and memory were unaffected by her medical conditions. The evidence also fails to show that Respondent was not constantly tired, either physically or mentally. I conclude that the SSA IG has failed to show it more likely than not that Respondent’s alleged statements and representations of her subjective complaints including, that she had difficulty walking, especially on uneven ground; that she was depressed, did not have a normal life, and had problems being around people; that she forgot to go shopping because her mind and memory were affected, and that she was constantly tired, were false. Accordingly, none of those statements or representations is a basis for the imposition of a CMP. 8. Pursuant to section 1129 of the Act, there is a basis to impose a maximum CMP of $5,000 for each of three false statements or representations made by Respondent, a total CMP of $15,000. 9. A total CMP of $15,000 is reasonable. I have concluded that Respondent made three false or misleading statements during her CDR that were material to a determination of whether she was entitled to continuing benefits. Accordingly, there is a basis for the imposition of a maximum $5,000 CMP for each false statement or representation. Act § 1129(a)(1 )(C); 20 C.F.R. § 498.103. I have the authority to affirm, deny, increase, or reduce the penalties or assessment that the SSA IG proposes. 20 C.F.R. § 498.220. In determining the amount of penalties or assessment my review is de novo and, just as the IG did when proposing penalties, I must consider the factors specified by section 1129(c) of the Act: (1) The nature of Respondent’s statements and representations and the circumstances under which they occurred; 36 (2) Respondent’s culpability, history of prior offenses, and financial condition; and (3) Such other matters as justice may require. While the SSA IG has the general burden of going forward with the evidence and the burden of persuasion as to nearly all issues, Respondent bears the burden of persuasion with regard to affirmative defenses and mitigating circumstances. 20 C.F.R. § 498.215(b). a. Nature of the statements and representations and the circumstances under which they occurred. Respondent made three false statements during the CDR in January, February, and March 2013. 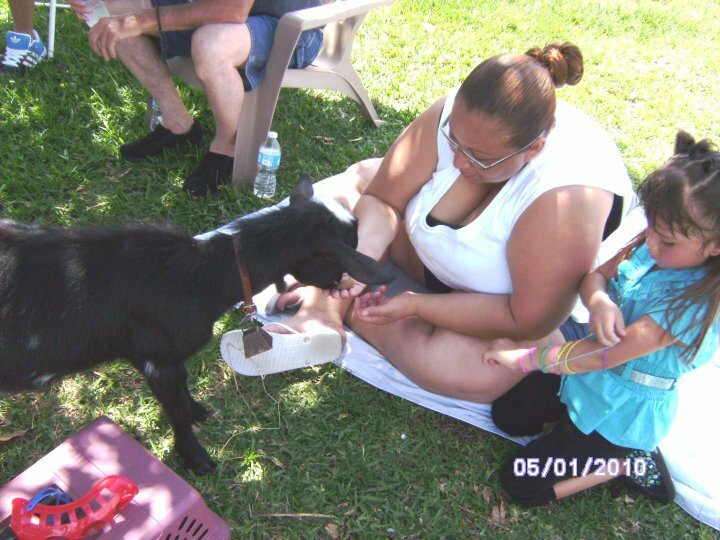 Two of Respondent’s false statements were denials that she provided care for any animals. During the telephone interview with a DDS Examiner on January 29, 2013, Respondent may have been taken off guard by the question about her care for animals, and may have simply responded “no” out of confusion. However, her repeated answer, in writing just five days later, that she did not take care of any animals indicates that Respondent was likely not confused about the question, but deliberately trying to understate her ADLs. Her understanding of the question is apparent when one considers that her response to the next question on the form as to whether anyone helped her care for people or animals was that her “son would feed.” CMS Ex. 5 at 2. 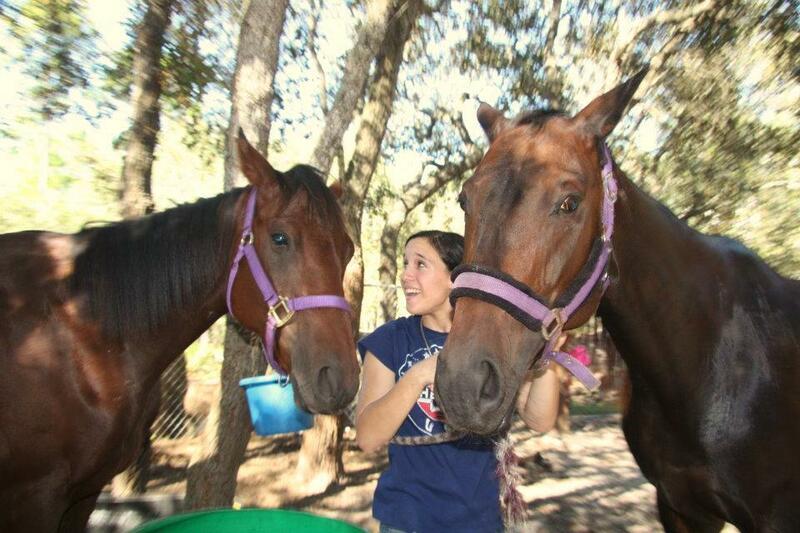 In fact, I have no doubt that on February 4, 2013, Respondent knew that she had multiple horses at her rescue that she helped feed and care for, even if her activities were limited. A “yes or no” question does not leave any gray area for explanation, such as she provided some care, but not as much as others, but Respondent did not add that caveat at any time. Therefore, while the nature of a “yes or no” response precludes the ability to clarify or elaborate, the absence of any mention on the form of her horse rescue and her activities, limited though the activities may have been, show a deliberate attempt to understate her ADLs. Respondent’s third false statement or misrepresentation was related to her daily activities, wherein she again understated her daily activities and functions. She did not mention anything about her horse rescue when asked to describe her daily activities, yet at the hearing she acknowledged that she had routine, if not daily, contact with the horses on her property. Tr. 355-56. Her response was in her own words, not merely a “yes or no” answer, yet she did not mention her apparent passion in life: the horse rescue. R. Br. at 1. Based on her omission of a very important and pertinent part of her life and daily activity, it is evident that Respondent was attempting to minimize her daily activities in an attempt to maintain her DIB. _______________ 37 b. Degree of culpability, history of prior offenses, and financial condition of Respondent. I have no evidence of any prior offense by Respondent. Respondent has not presented evidence about her personal financial condition. I do not consider evidence of the financial condition of the horse rescue as it is not clear that the resources of the rescue are lawfully available to satisfy personal obligations of Respondent and I do not intend to suggest that they are. But Petitioner has not asserted an inability to pay a $15,000 CMP or that the amount of the CMP should be mitigated because of her limited financial resources. I conclude that Respondent was culpable for knowingly making false statements or representations. As the video admitted as SSA Ex. 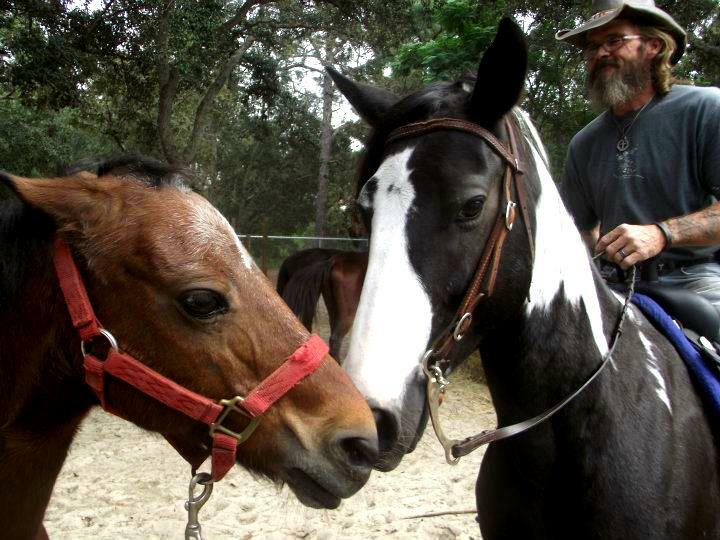 40 shows, Respondent’s residence was within 150 feet of her rescued horses. Respondent also admitted during the hearing daily contact with the rescued horses, albeit on a limited basis. It is simply not credible that the horse rescue and her role in the horse rescue slipped Respondent’s mind when she was responding to the CDR. The evidence shows that Respondent purposefully minimized her ADLs as a means of exaggerating or hiding her true condition. c. Other matters as justice may require. Respondent has not expressly raised any other mitigating factors or issues for me to consider with regard to the SSA IG’s proposed CMP. A $15,000 CMP, which represents $5,000 for each of three false statements or representations that Respondent made, is reasonable in light of the nature of the statements, Respondent’s high level of culpability in making the statements, and the absence of any financial evidence or other mitigating circumstances. Justice requires the consideration of no other matters in this case.19 19 I do not accept the repugnant argument that Respondent’s exercise of her rights to due process related to both the CDR review and the CMPs, should be considered to justify an increased CMP. SSA Br. at 20-21. Citizens should not be punished for exercising the rights guaranteed by the Constitution as granted by the Congress and the Commissioner. 38 III. Conclusion For the foregoing reasons, I conclude that Respondent made three false statements or representations of material fact during her CDR from January through March 2013. Maximum CMP of $5,000 per instance, a total CMP of $15,000, is reasonable. She put GREAT emphasis on a few statements made back in May 2014. 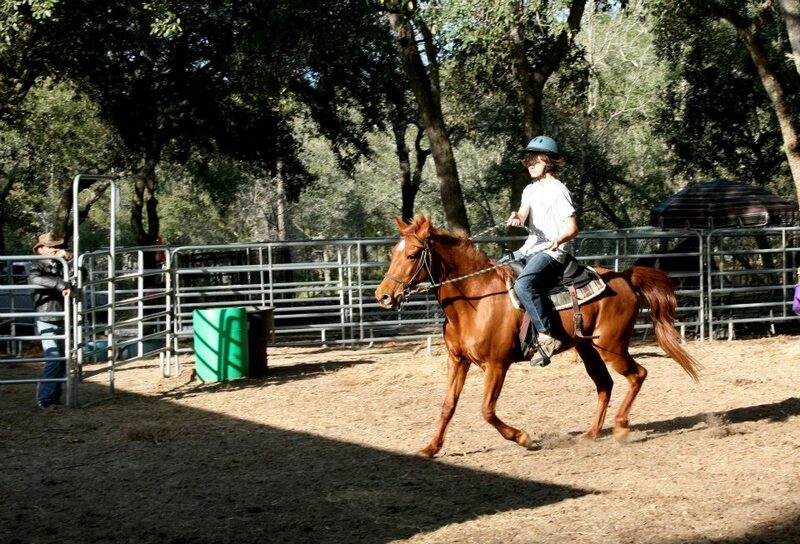 Carrie Young States: “I refuse to lower my standards of horse care. 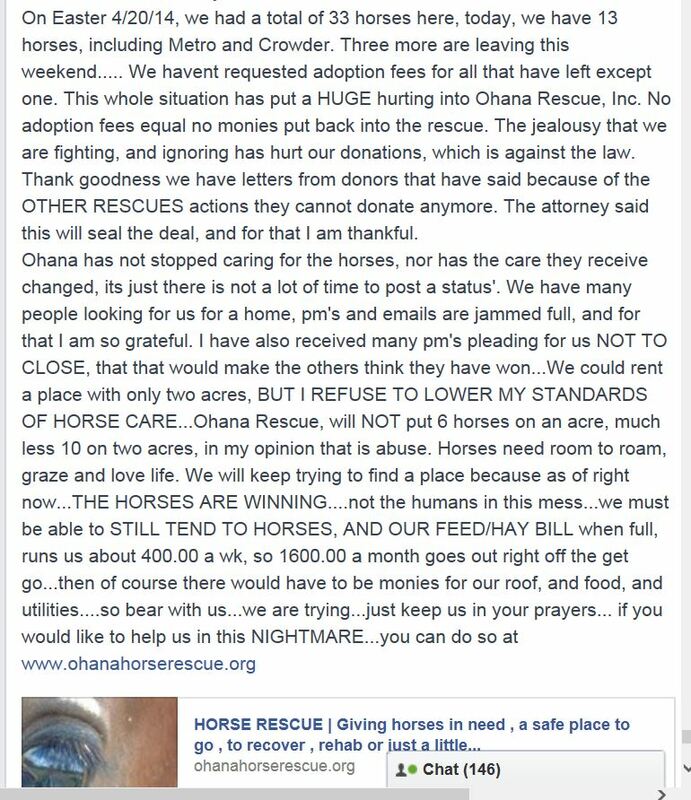 Ohana Rescue will NOT put 6 horses on 1 acre, much less 10 horses on 2 acres, in my opinion that is abuse. Horses need room to roam, graze and love life. 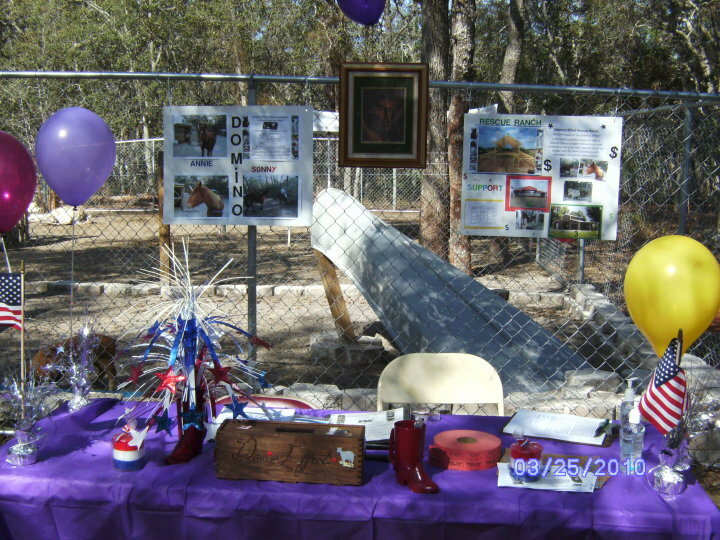 In August 2011, Ohana Rescue came to Brooksville, Florida. Many of us knew of Carrie Young through Facebook, some of us actually knew her, and some of us were about to really see a side of her they wish they had never seen. I knew Carrie Young only as an acquaintance on Facebook, both of us running a similar operation. We welcomed her to town and invited her over to meet face to face. 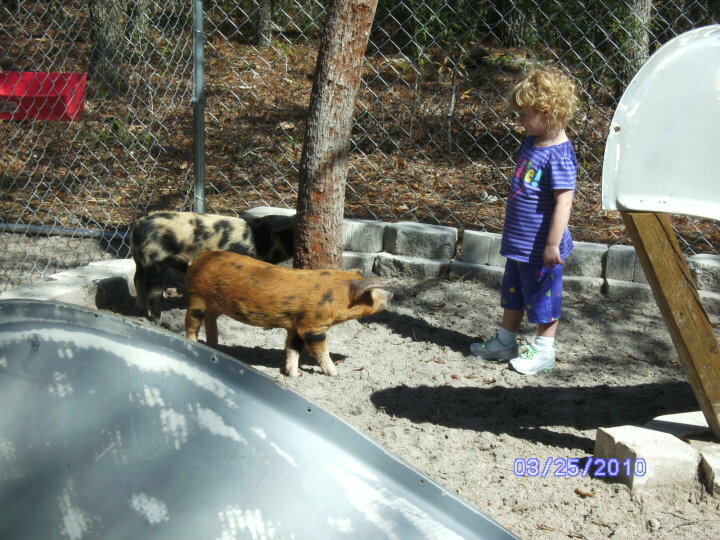 While they were here, they counted hooved animals on our property and later filed a complaint against us with the Hernando County Animal Control. We are zoned 100% agriculture on 2 acres and are not governed by a “hoof limit” in our area. After this, Carrie Young started attacking DERR through verbal comments, group defamation, and posting Facebook Notes to smear our reputation. 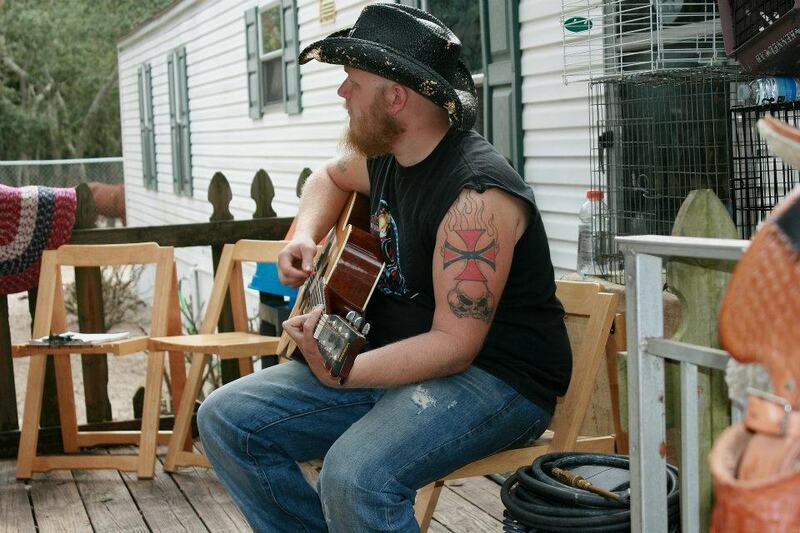 Carrie Young had started a hate group campaign to smear the DERR for residing on 2 acres. Carrie Young went to the Hernando County Board of County Commissioners to try and change our zoning. She even started a petition of falsehoods to outrage the community, so she could spearhead officials into changing laws. 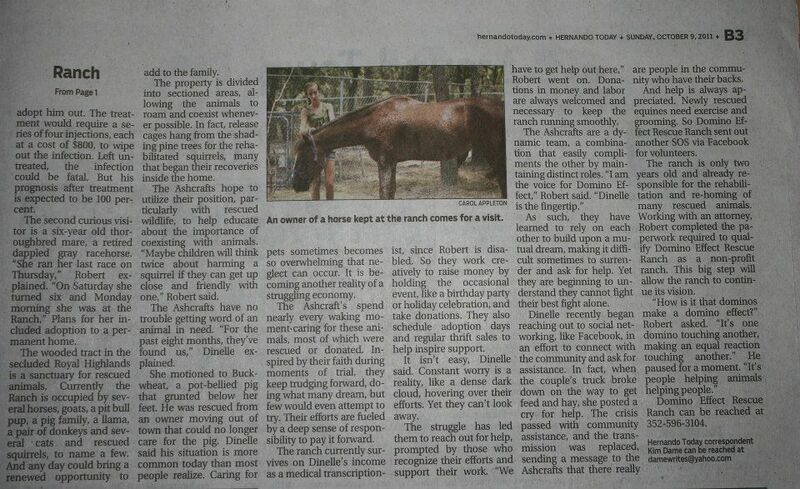 She also had a friend of hers do an article against us in the Horse & Pony News. 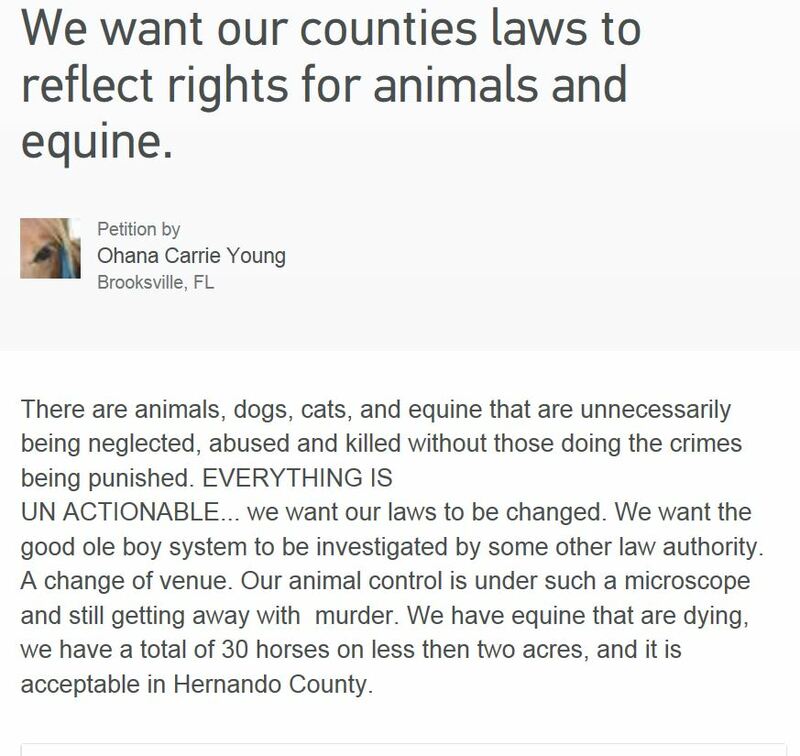 Another friend, Maryann Tobin, wrote multiple articles against DERR and many people were rallied in to call Hernando County Sheriff’s Department, Hernando County Animal Control, Ag officers, Hernando Health, and DOA, including Carrie Young herself. 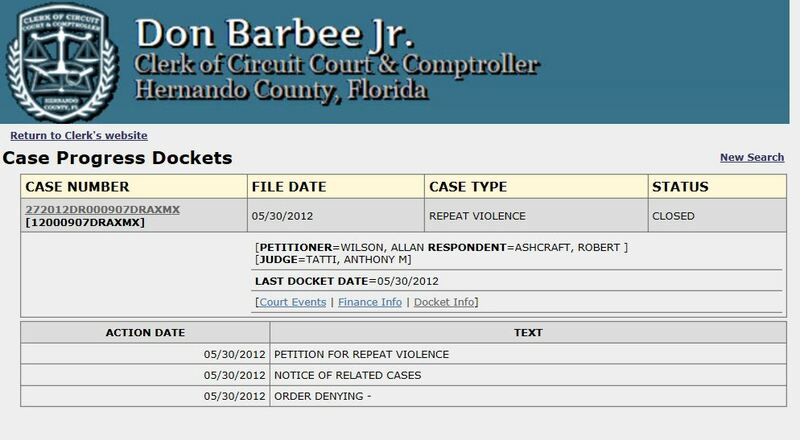 Carrie Young and Allan Wilson even filed a “violence” report against Robert Ashcraft, when Bob has NEVER touched a hair on their heads. The more opposition Carrie Young brought into our life, caused me to research into her past. 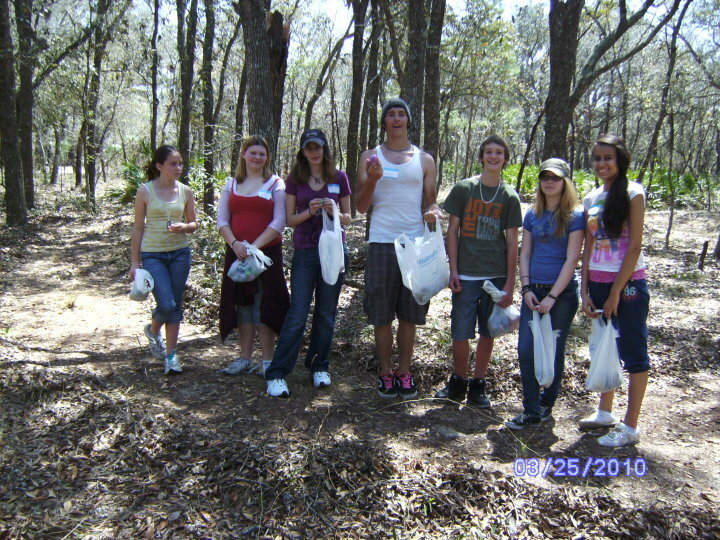 Carrie Young first started Ohana Rescue at 11613 Hammond Drive, Hudson, Florida on a dirt lot consisting of 2.94 acres.